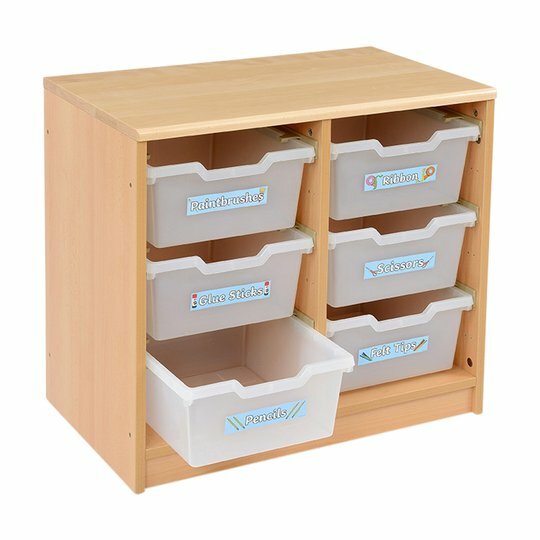 Where space is at a premium and budget constraints prevail, this new and space saving, cost effective combination of storage and work stations has evolved. 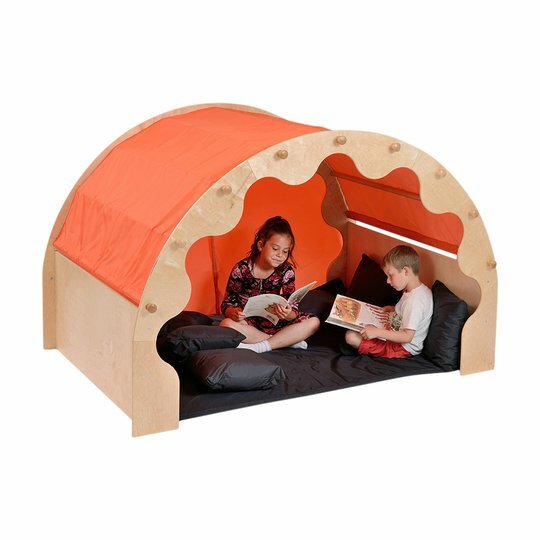 Welcome to the Fusion "Hubs". 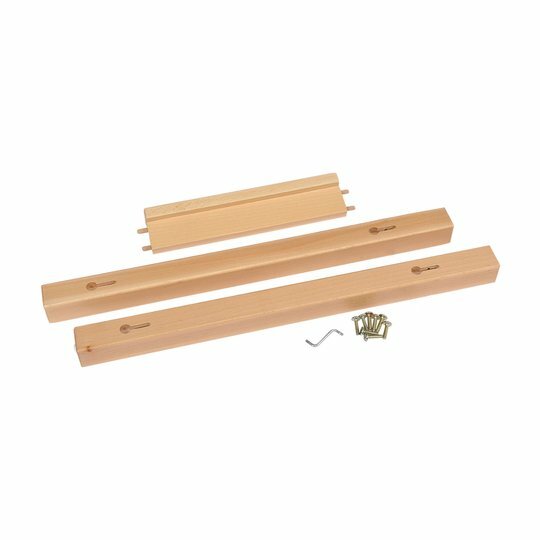 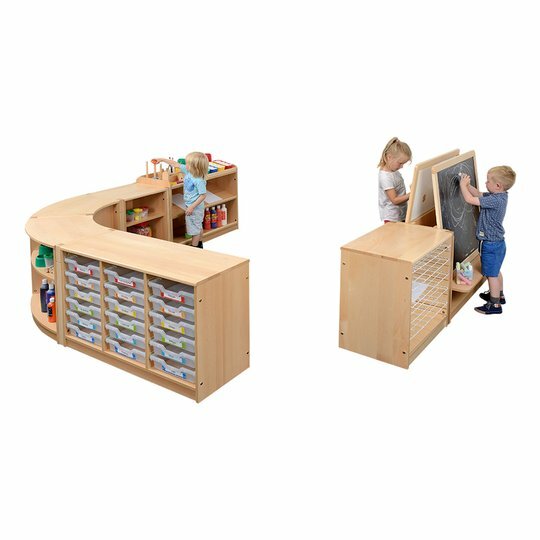 The Fusion range comprises of 4 units that can be placed in line or back to back as an effective way to divide large spaces into smaller distinctive areas. 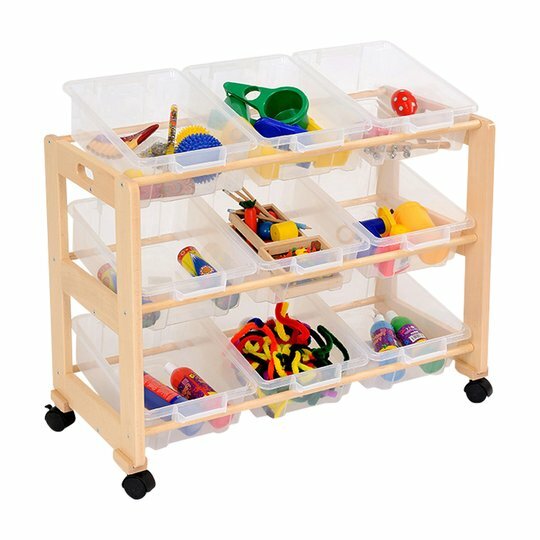 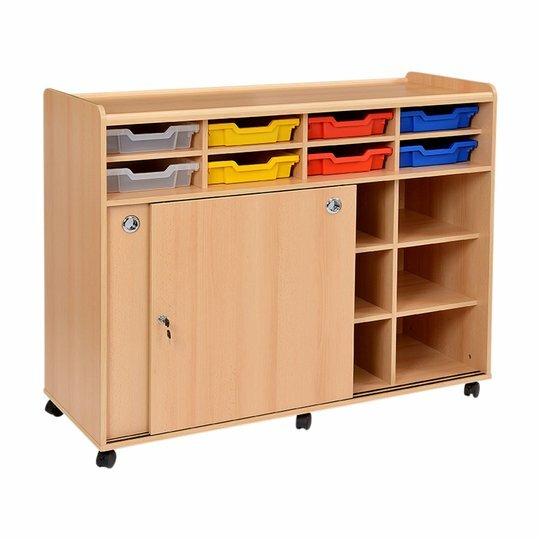 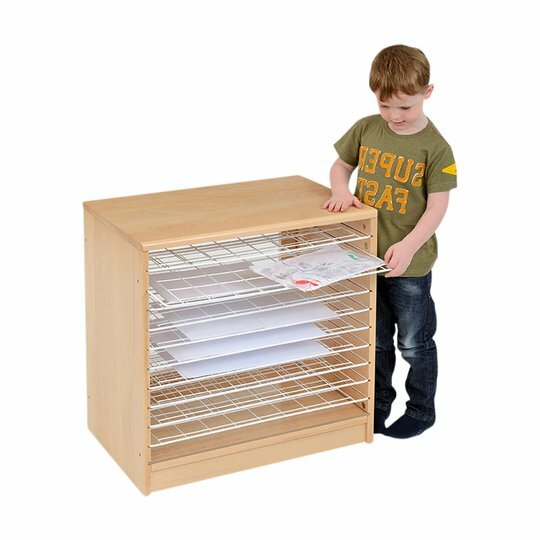 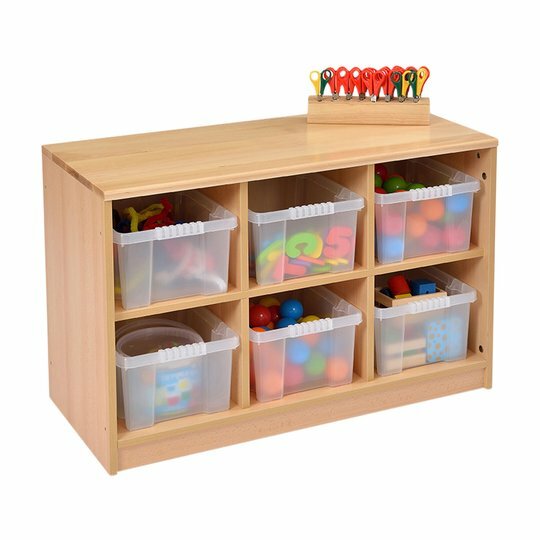 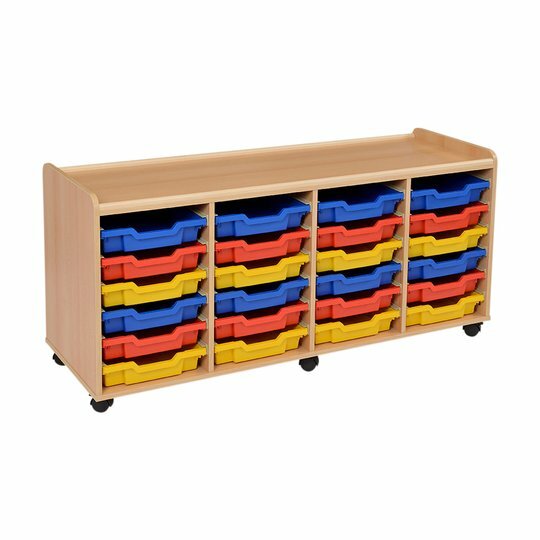 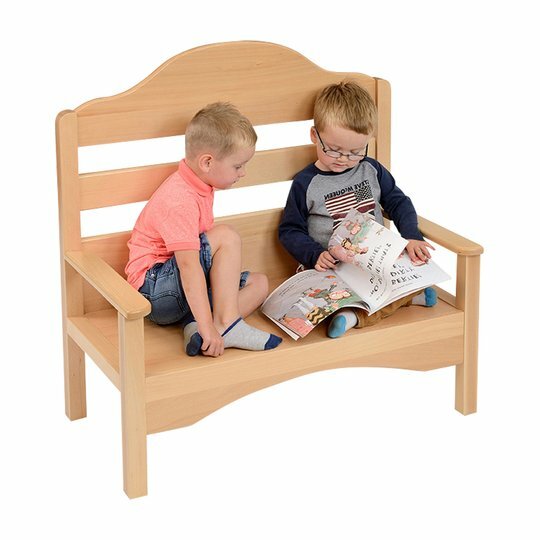 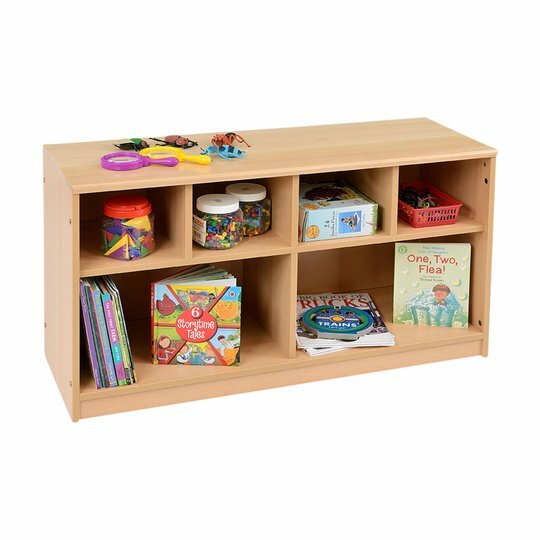 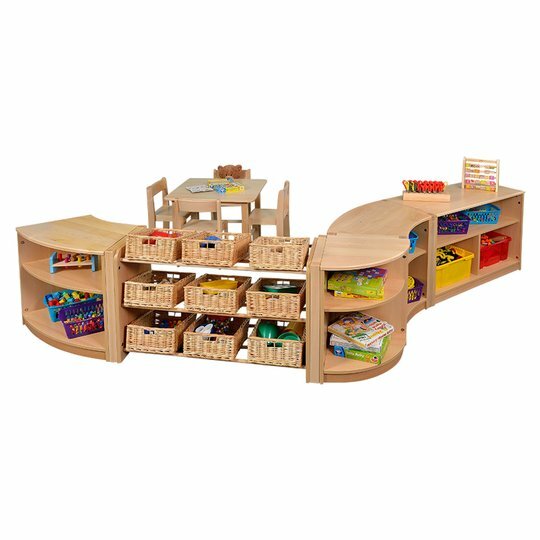 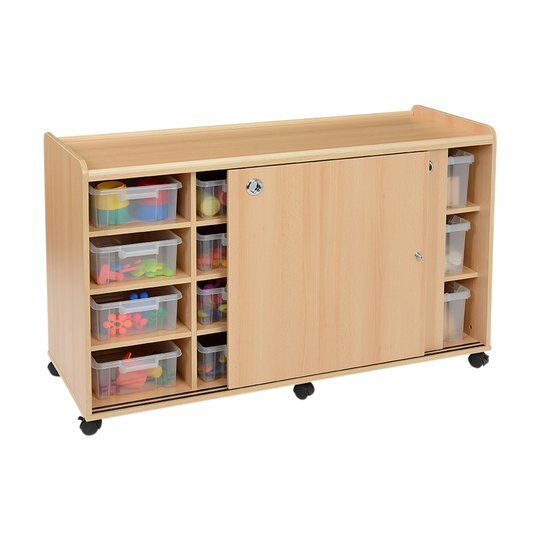 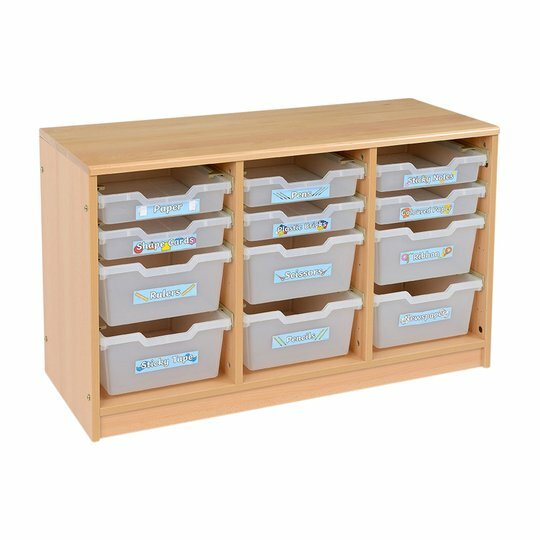 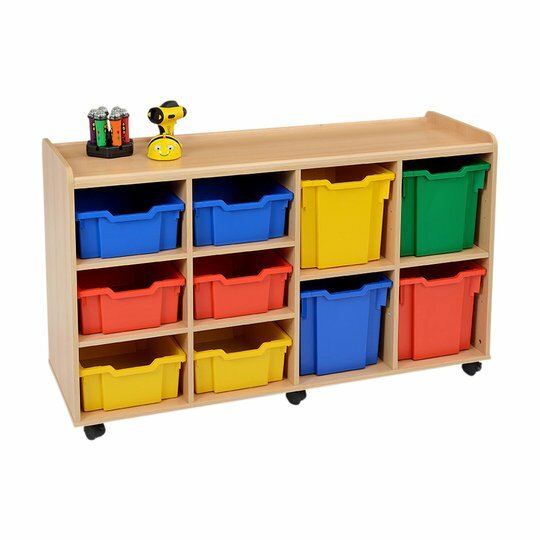 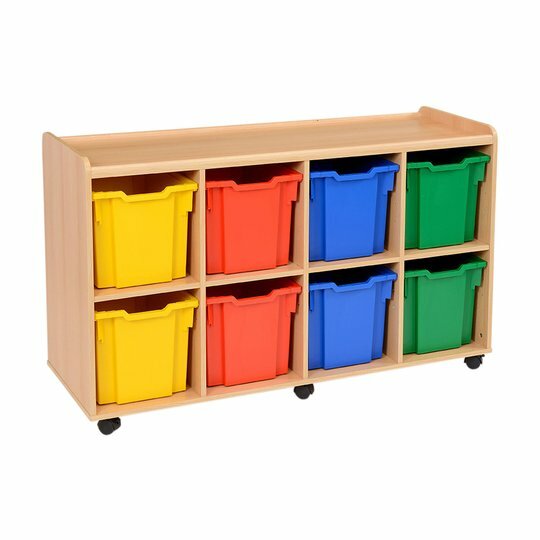 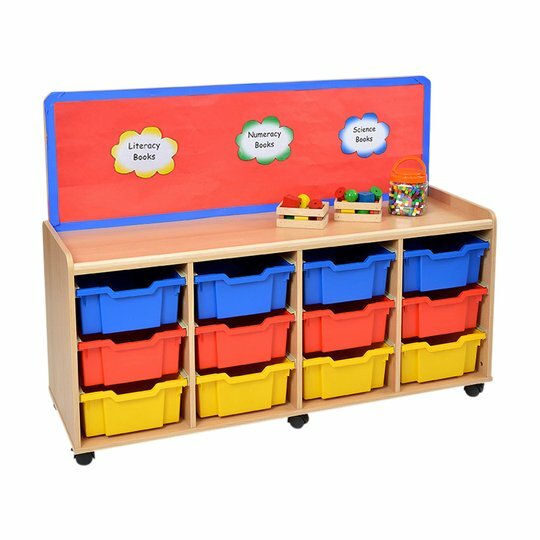 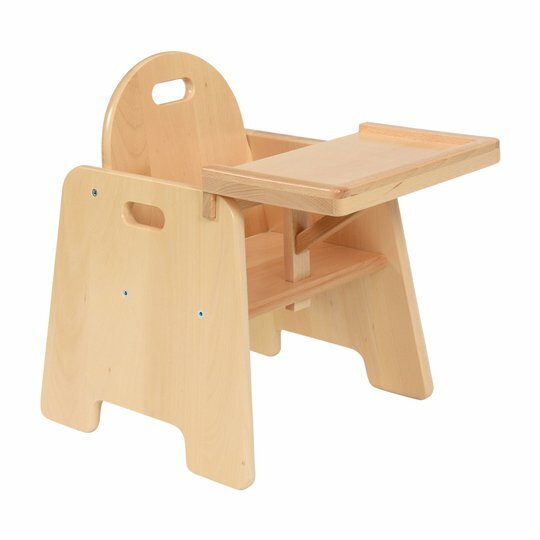 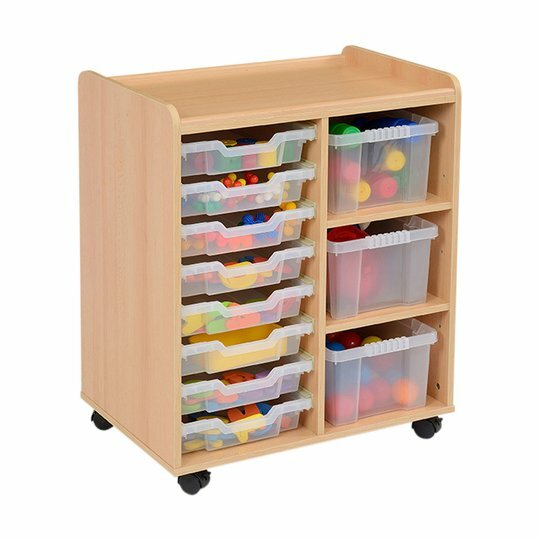 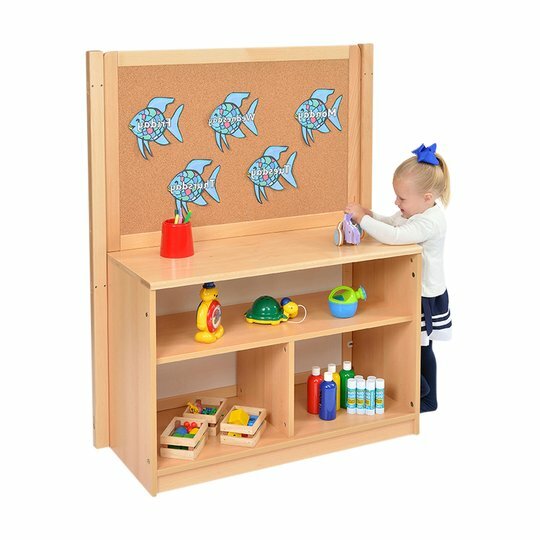 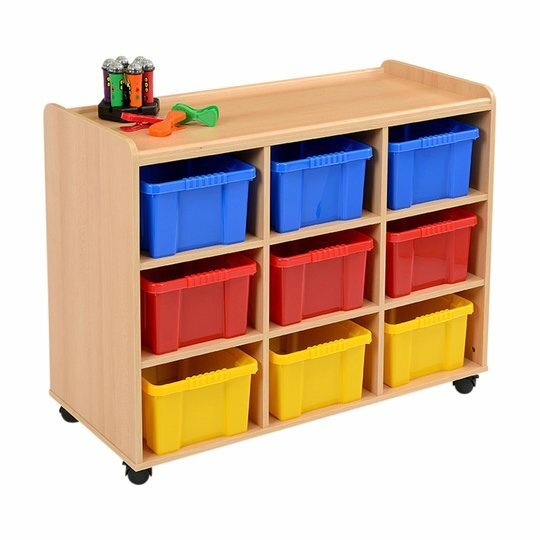 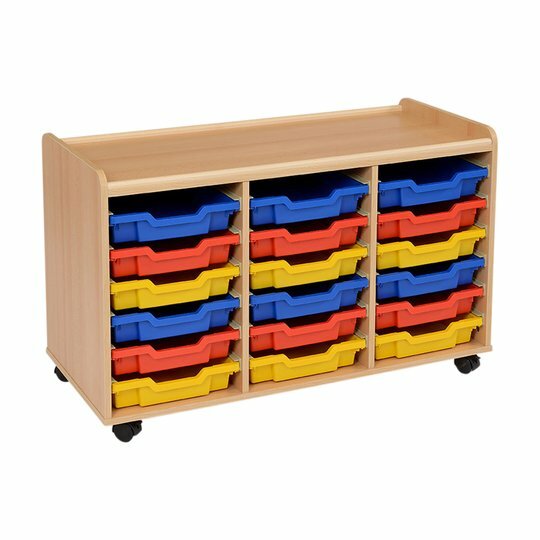 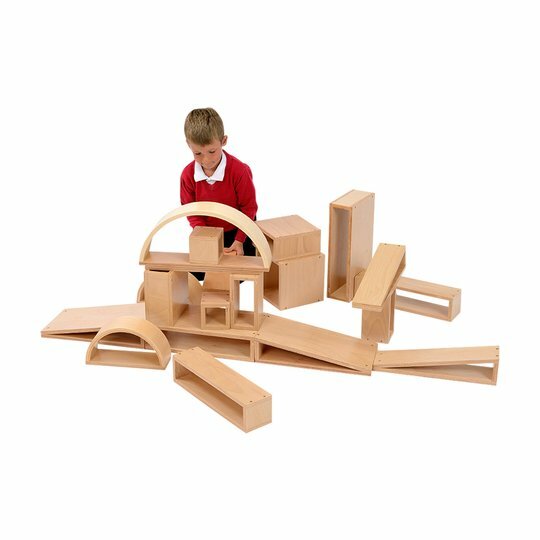 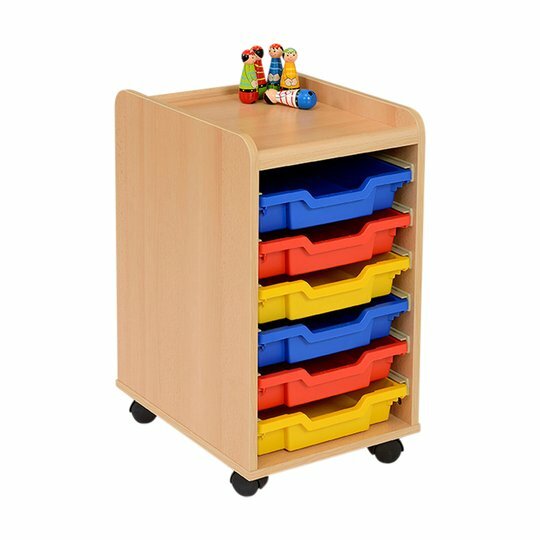 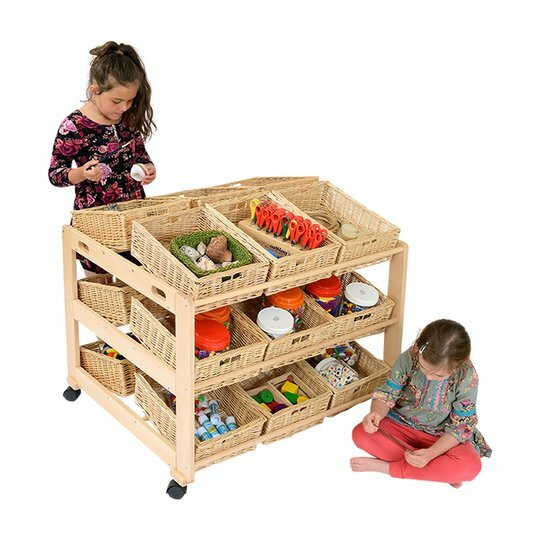 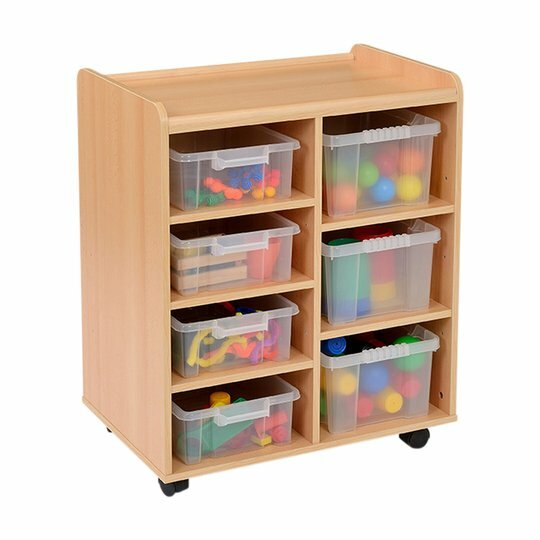 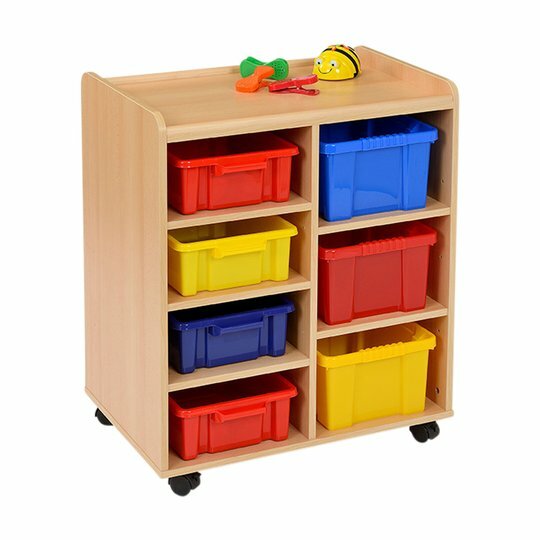 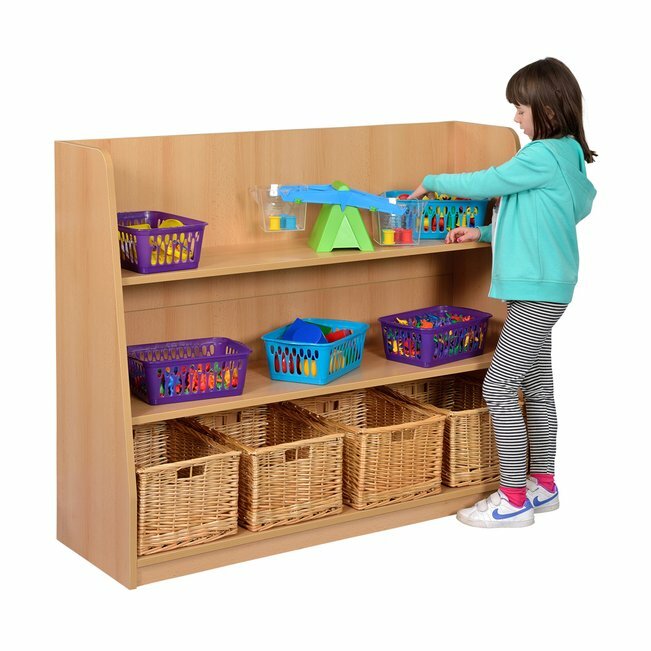 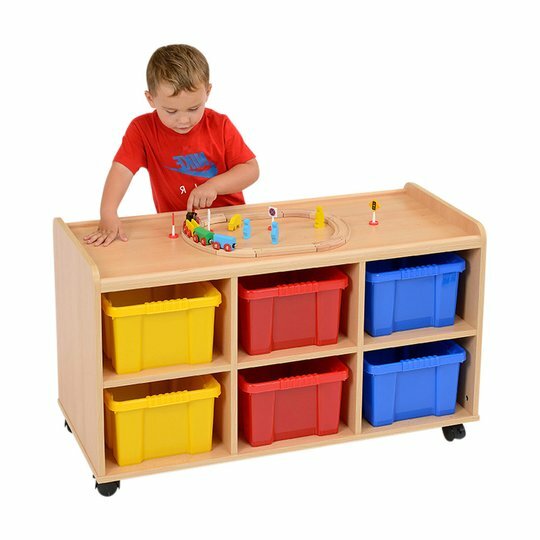 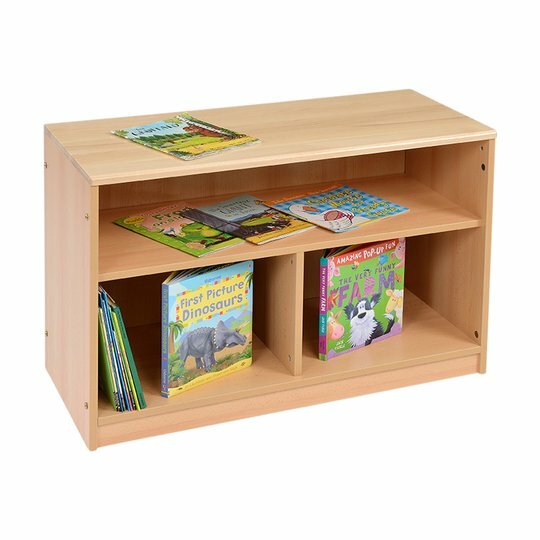 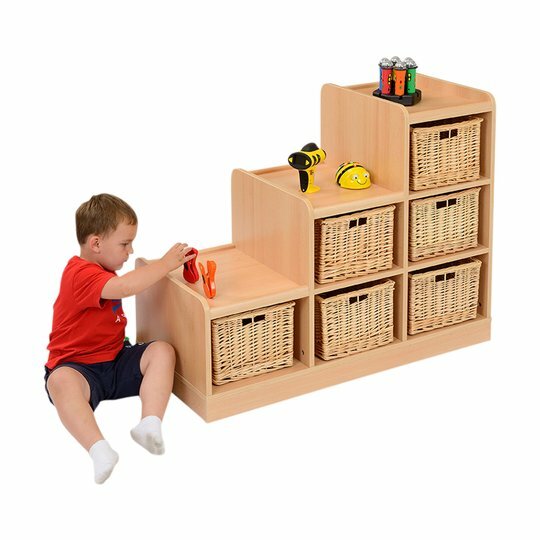 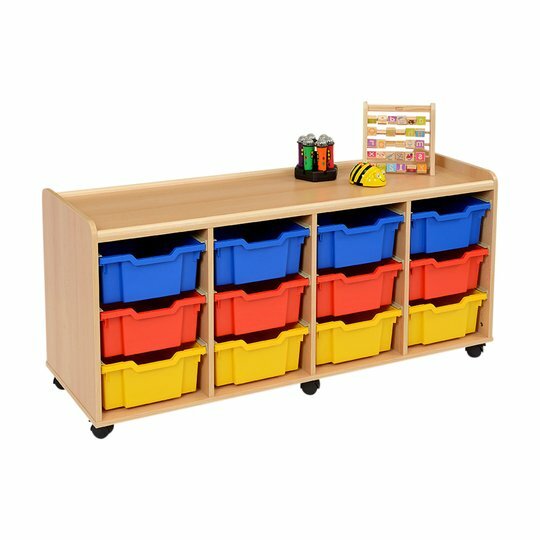 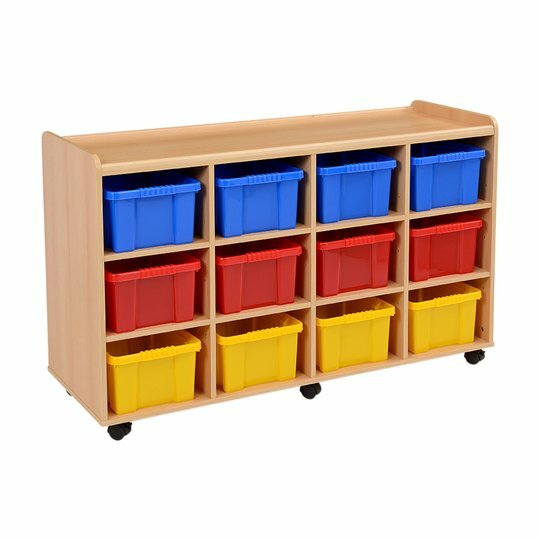 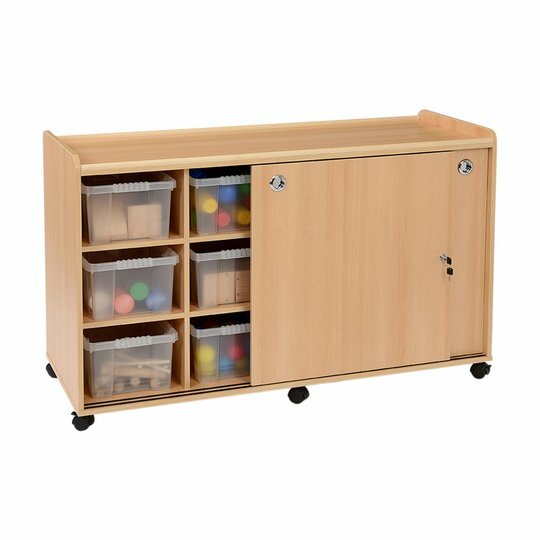 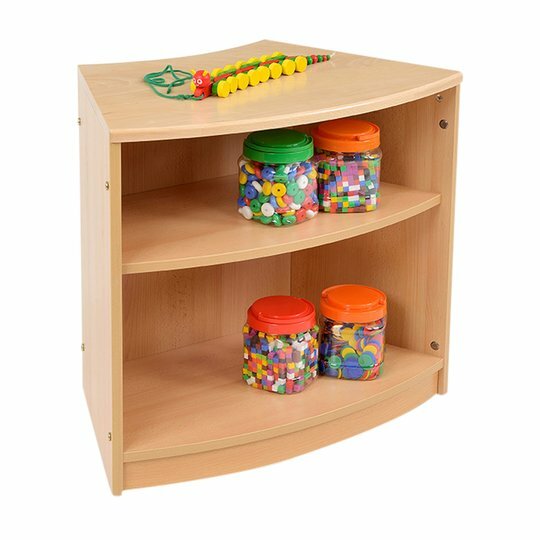 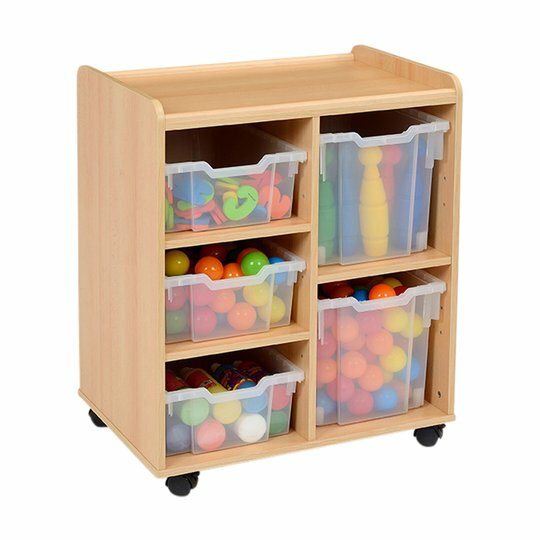 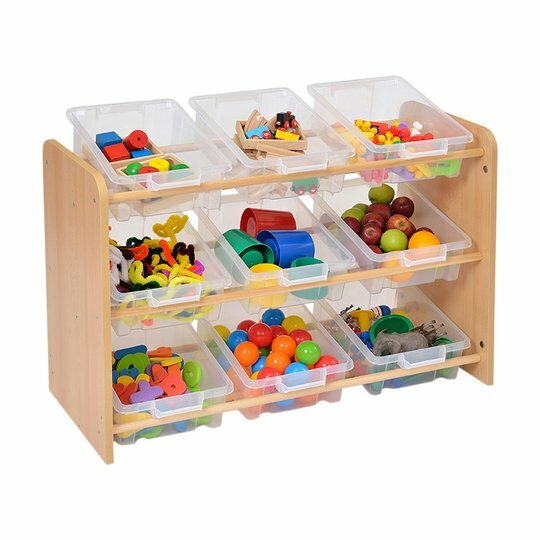 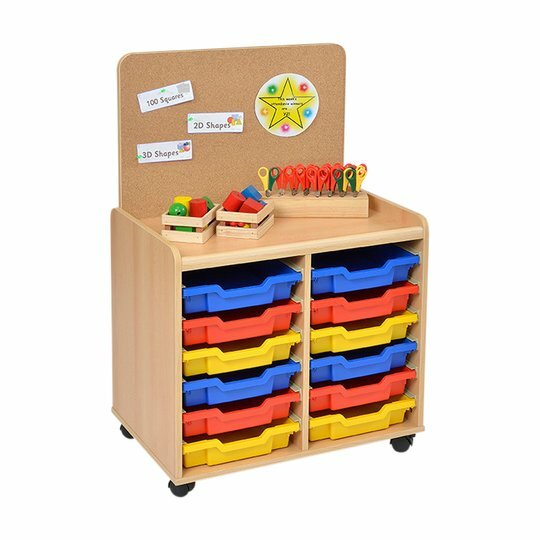 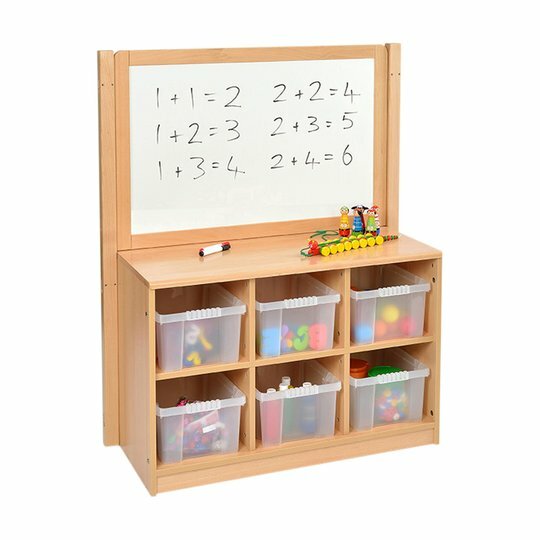 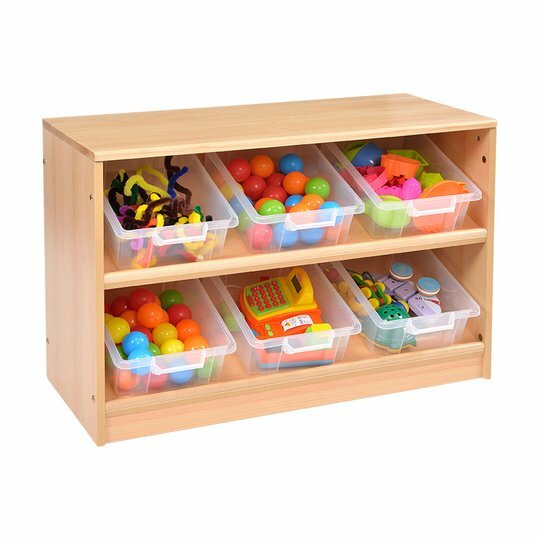 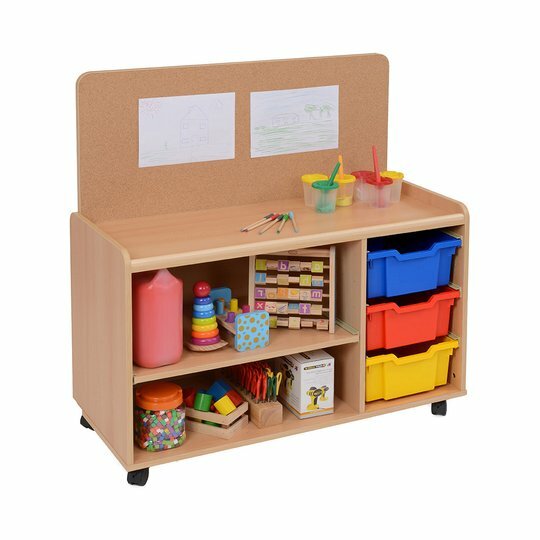 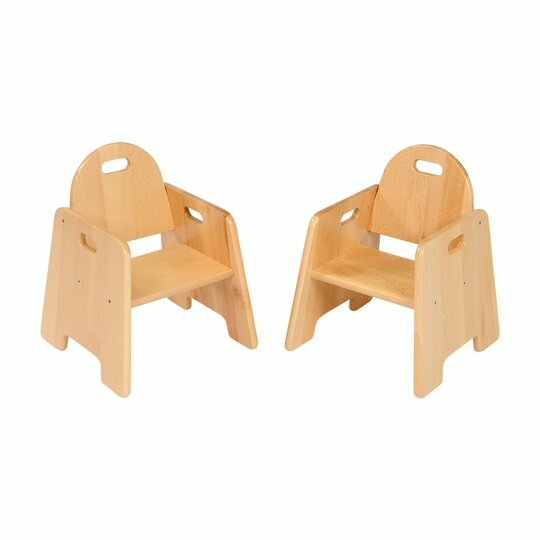 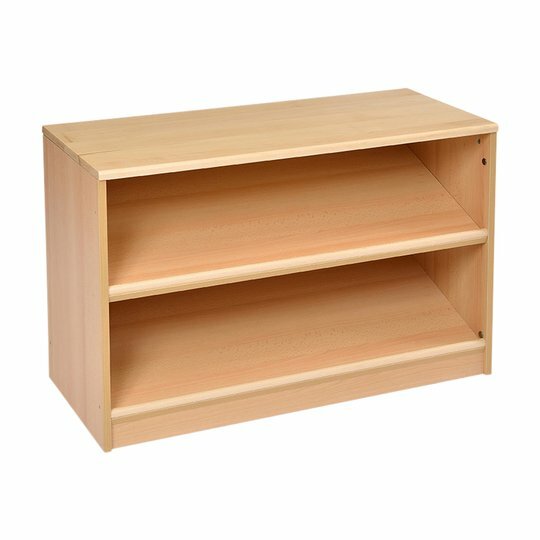 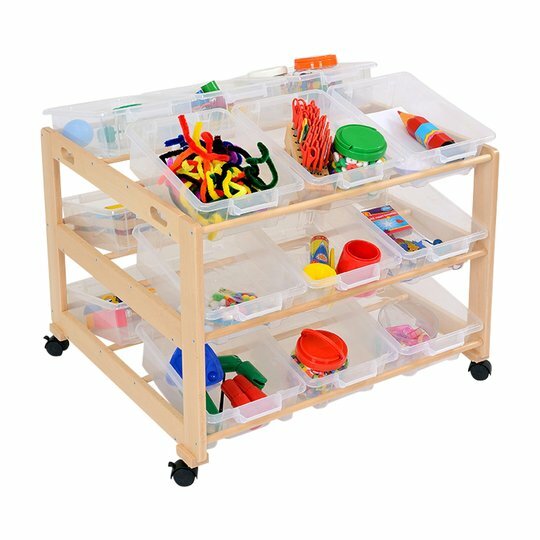 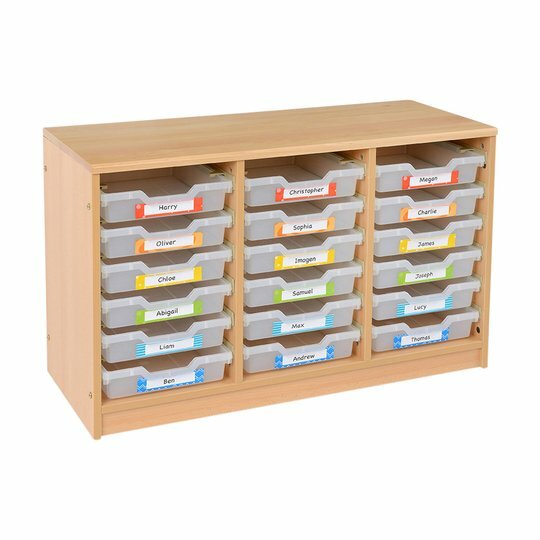 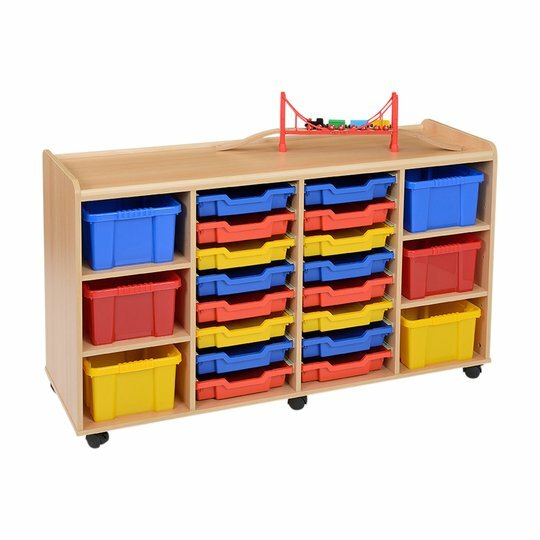 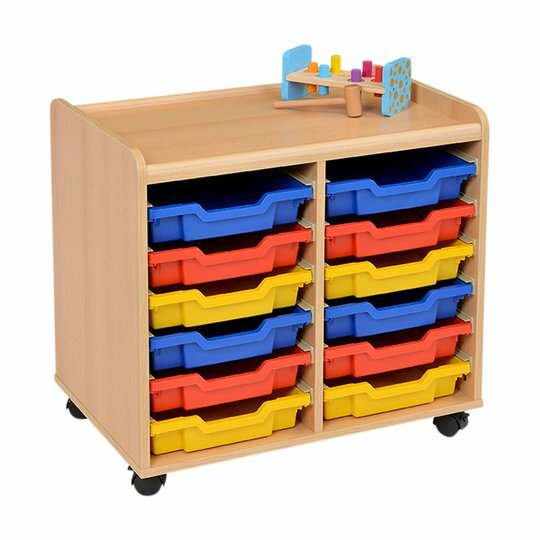 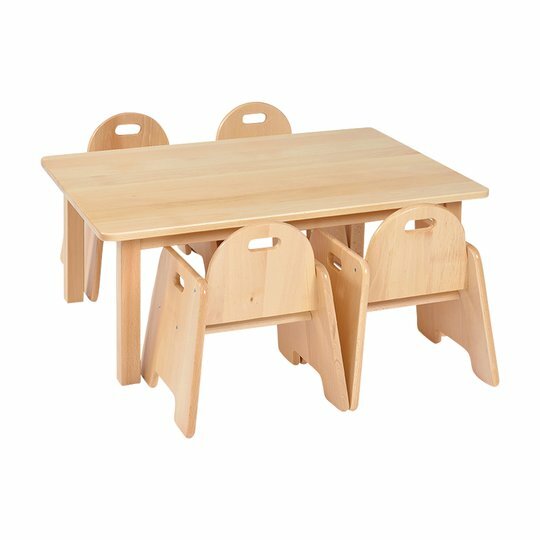 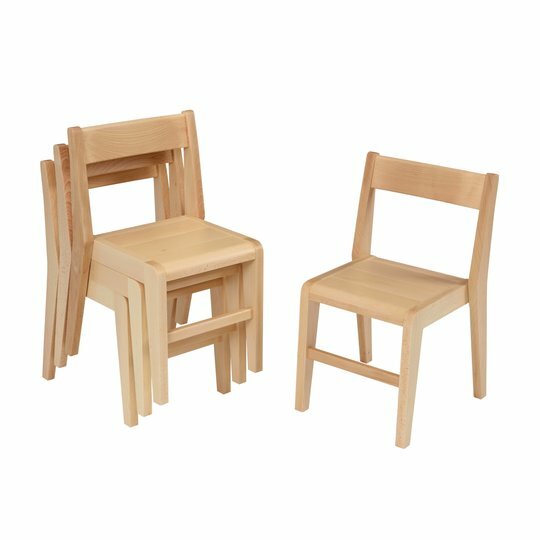 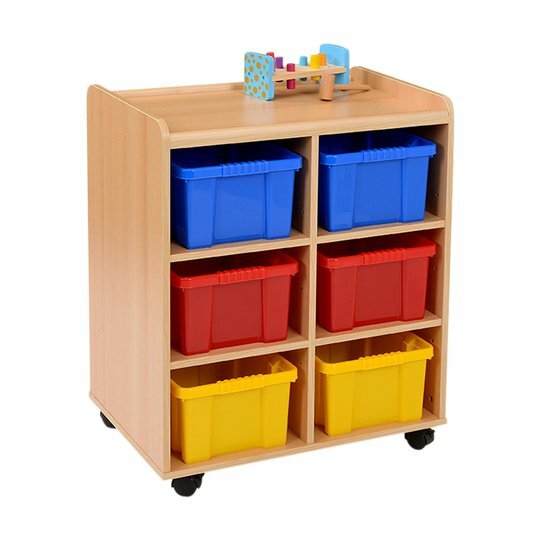 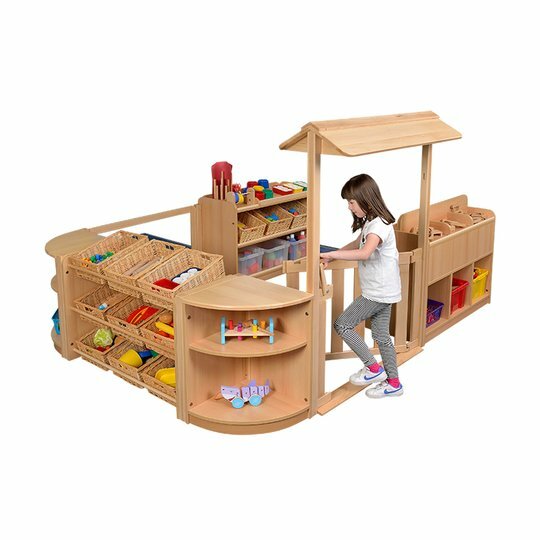 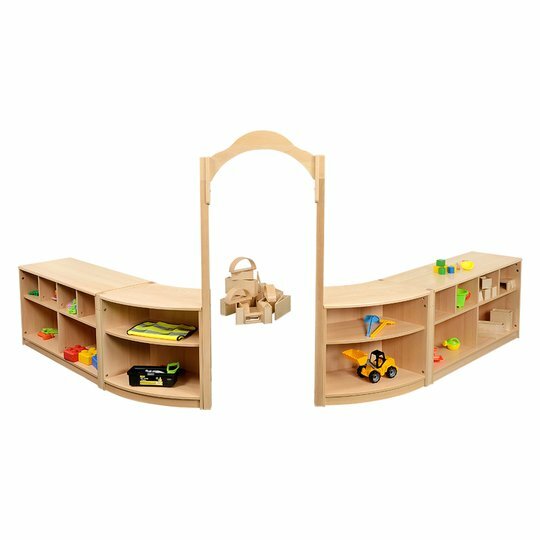 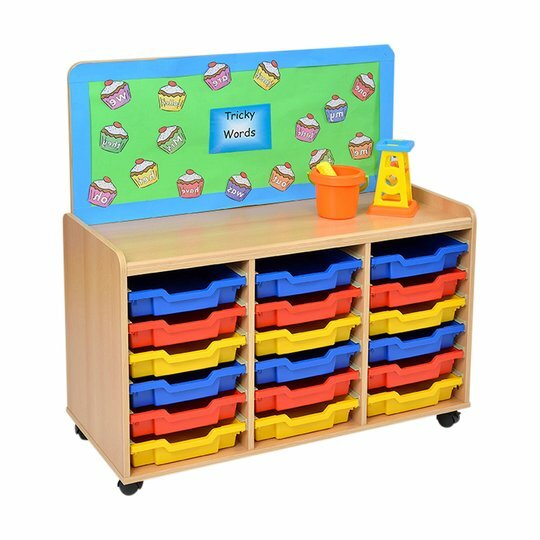 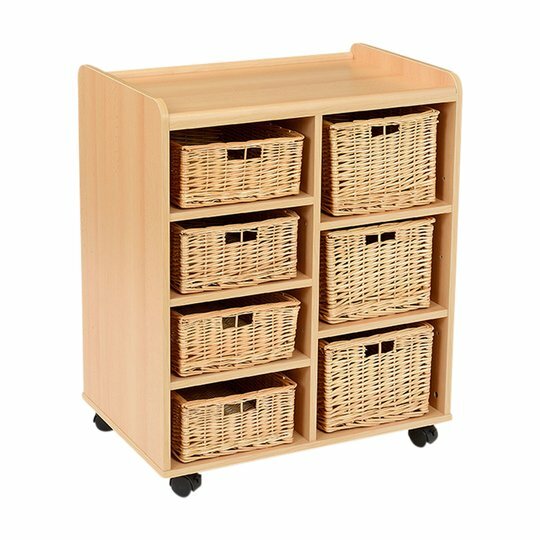 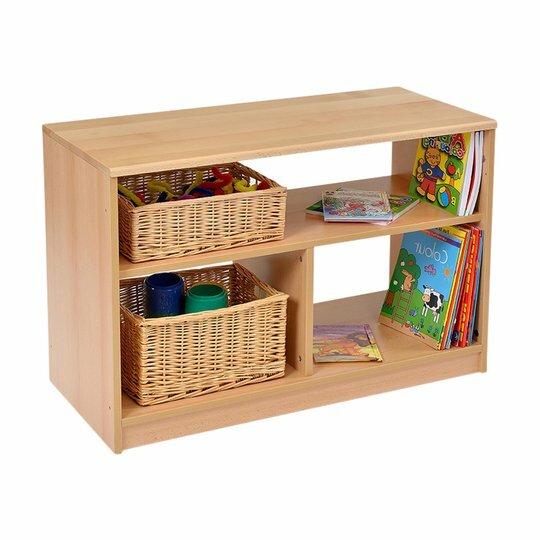 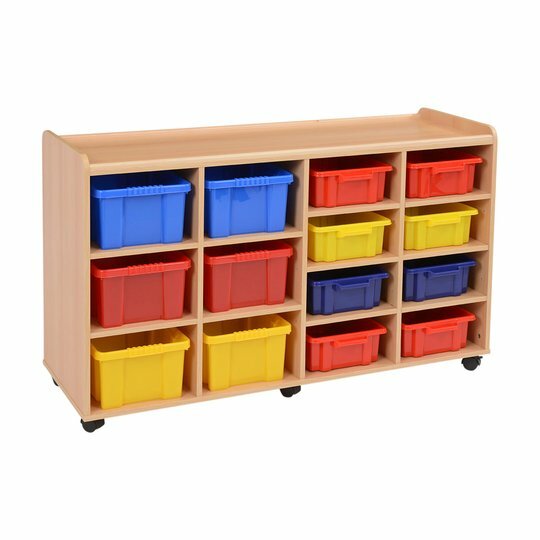 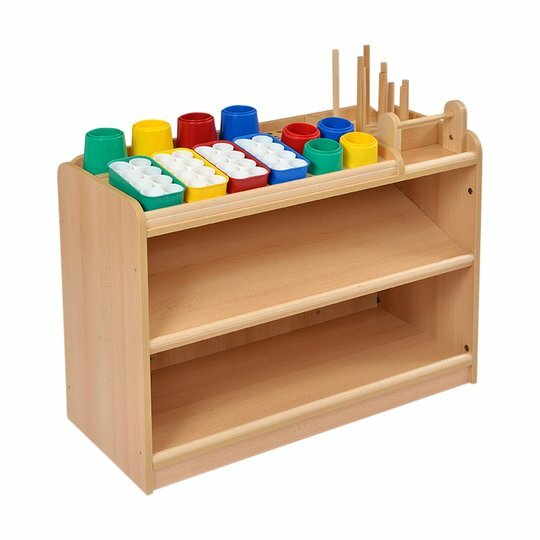 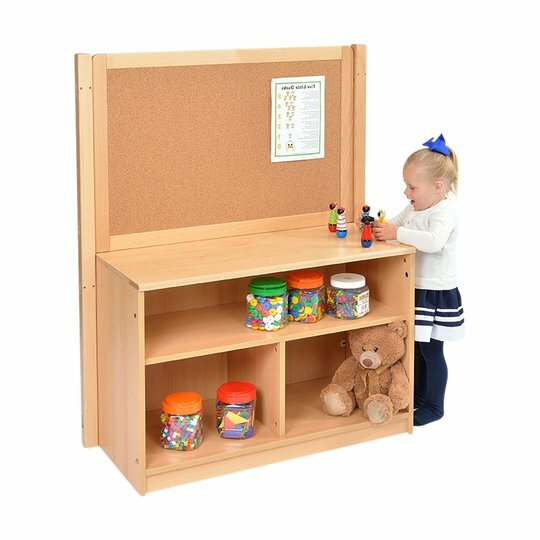 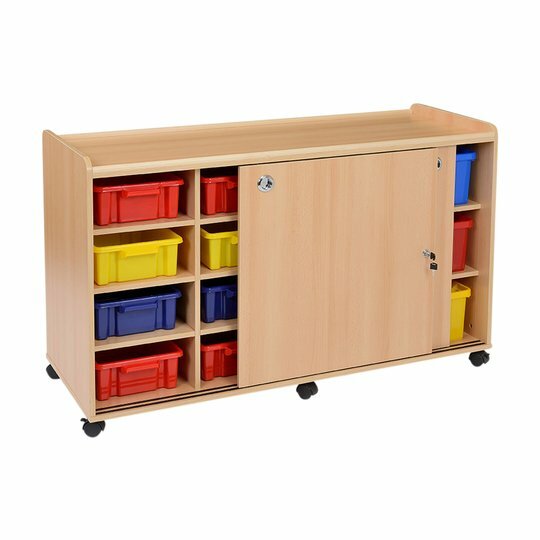 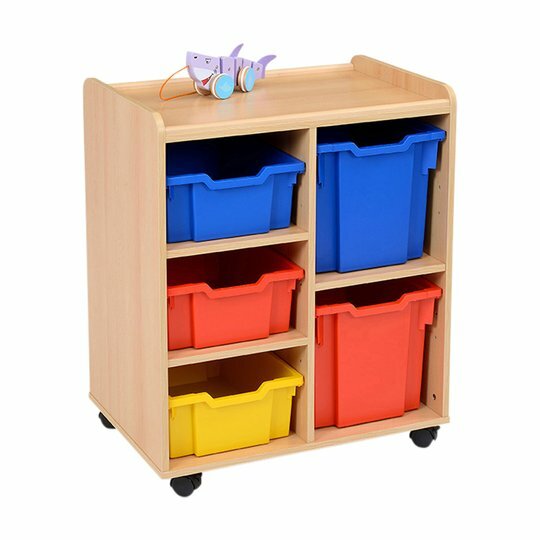 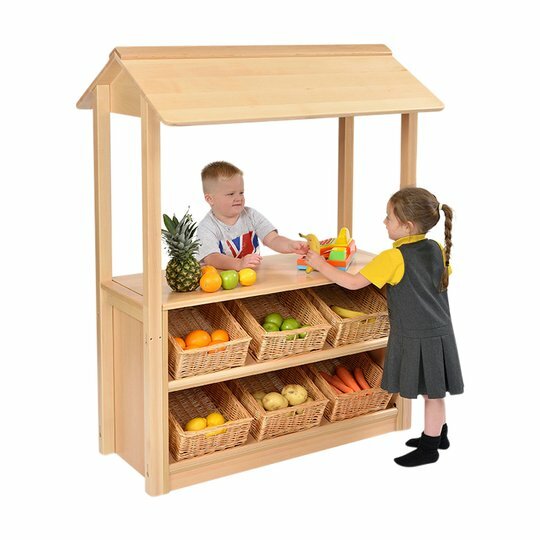 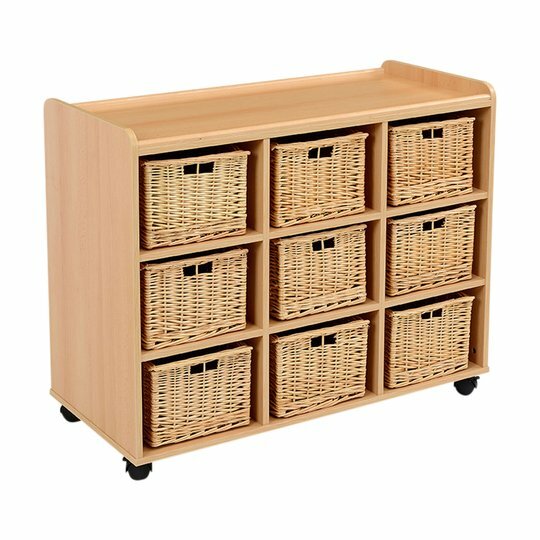 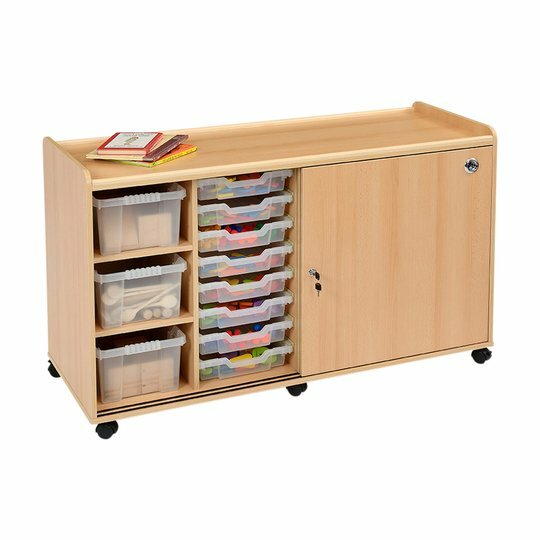 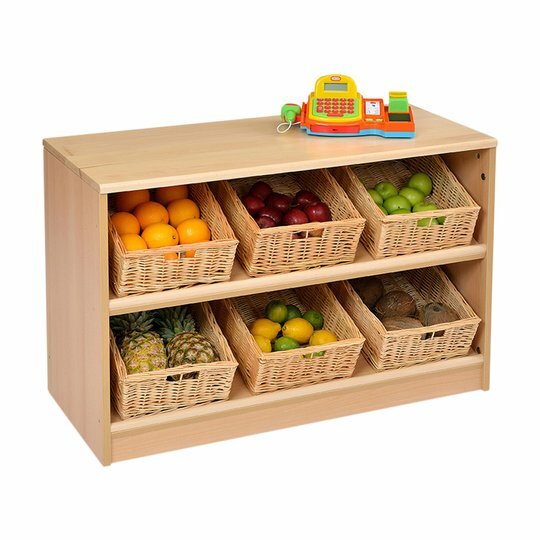 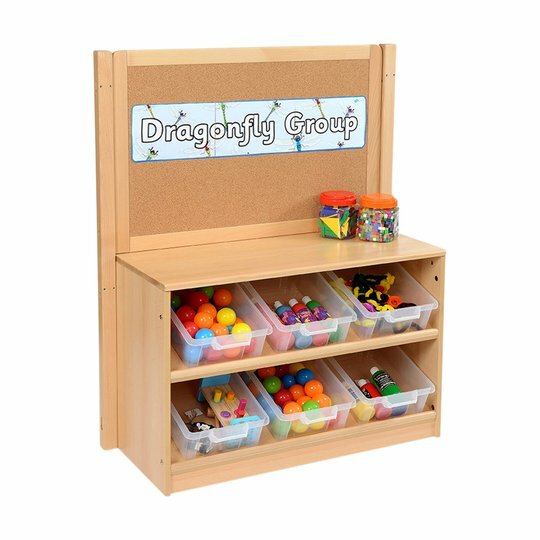 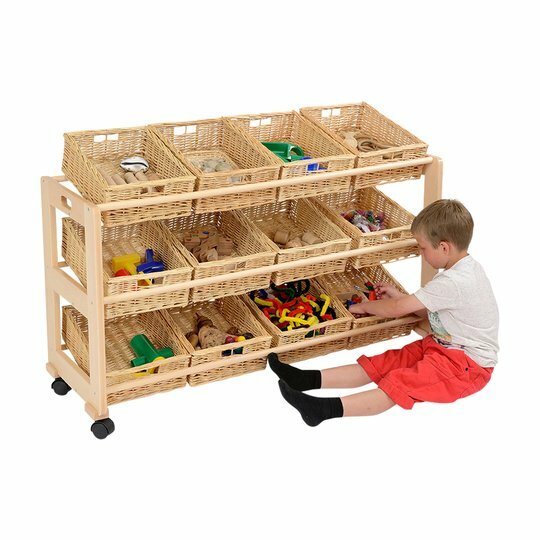 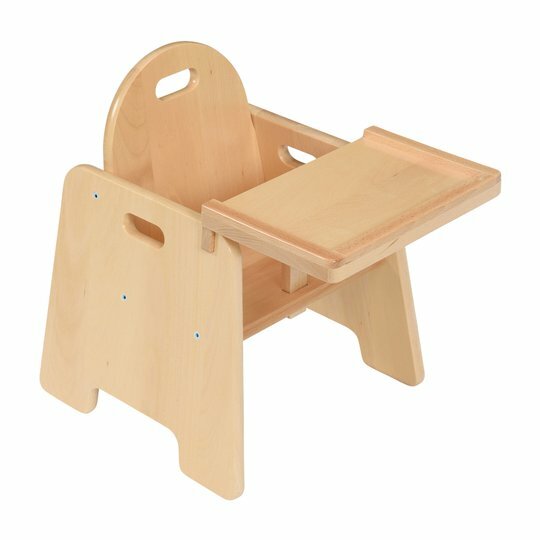 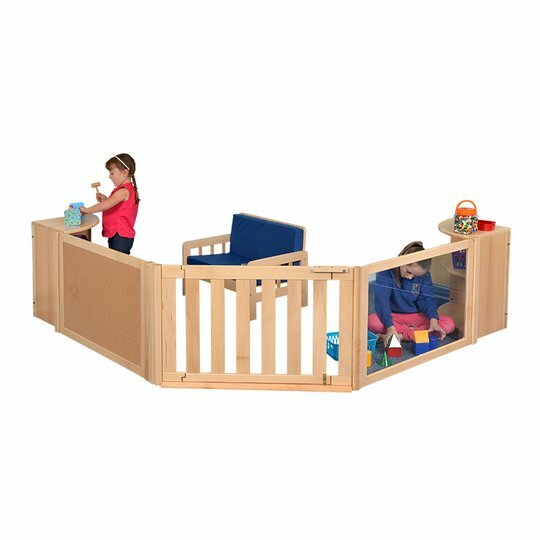 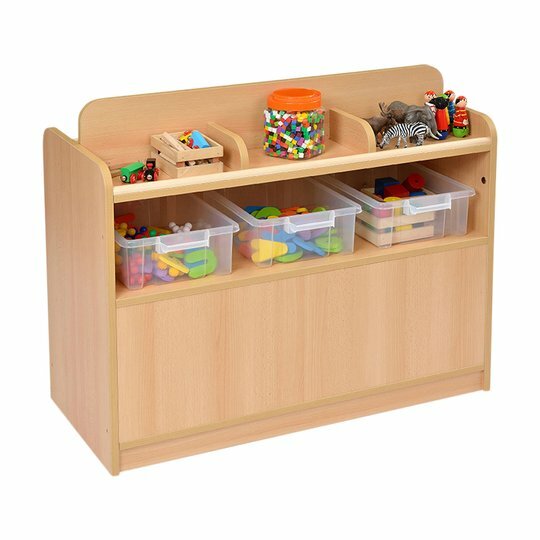 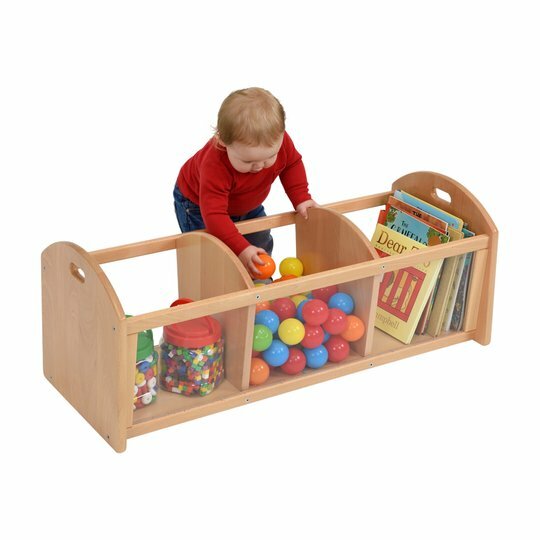 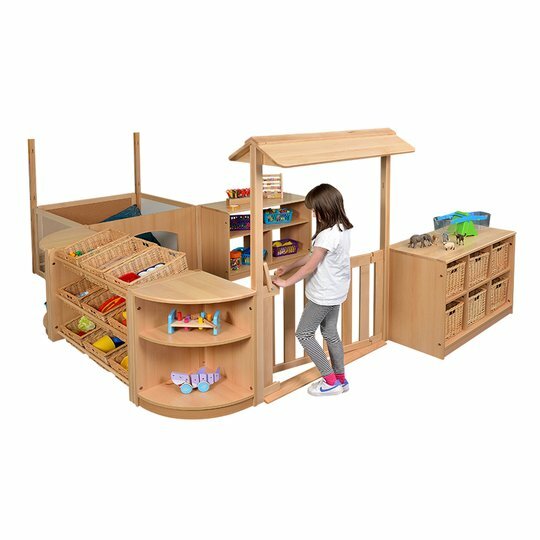 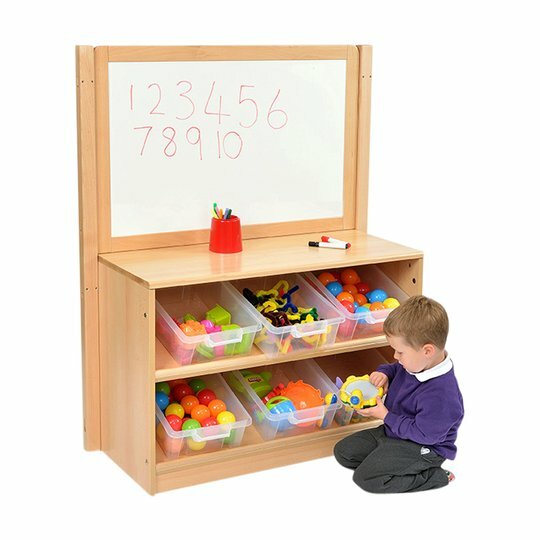 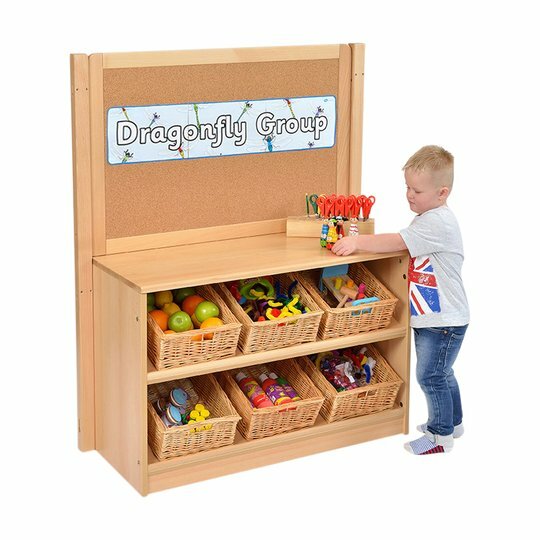 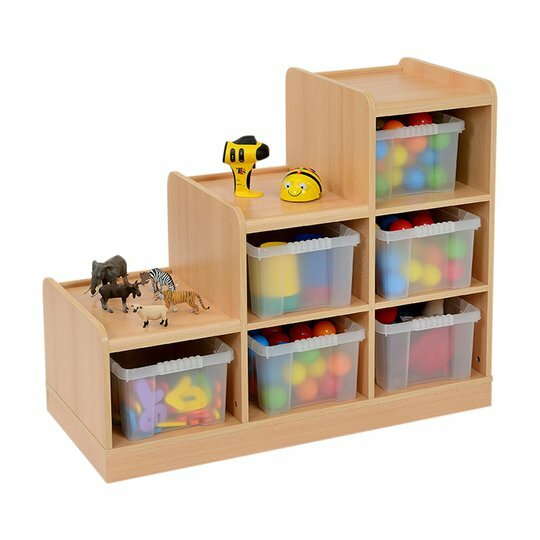 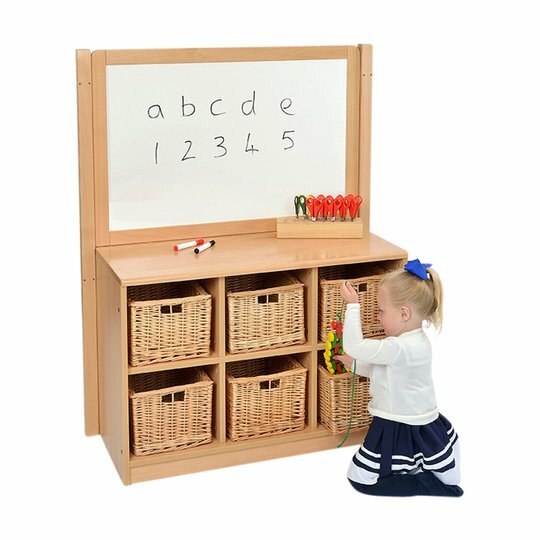 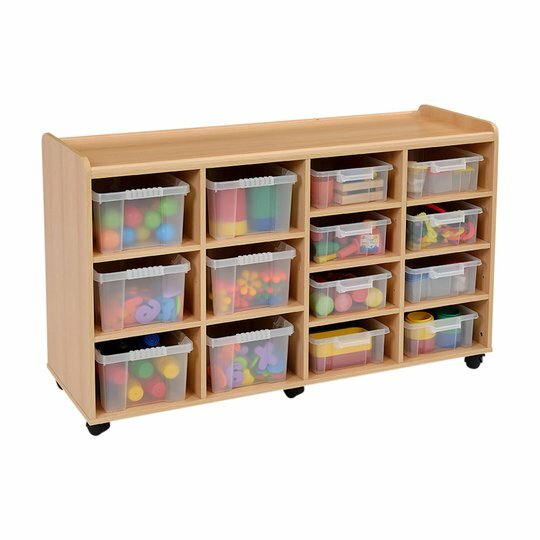 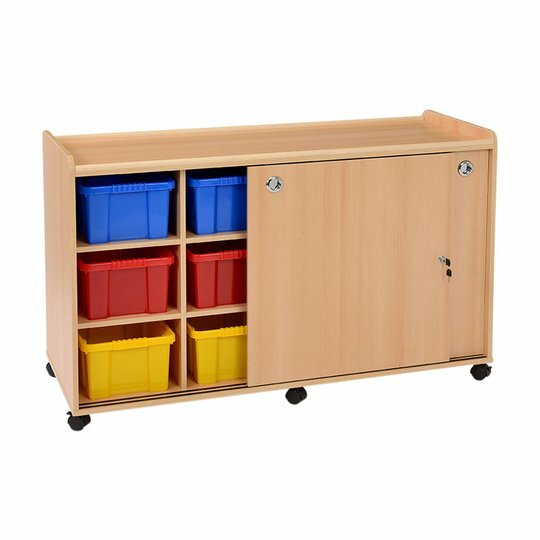 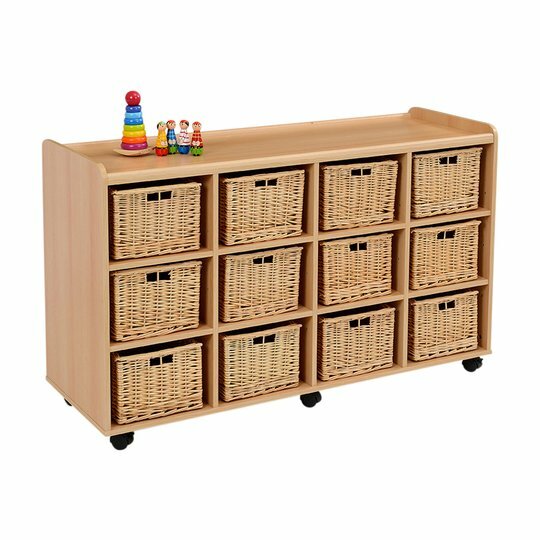 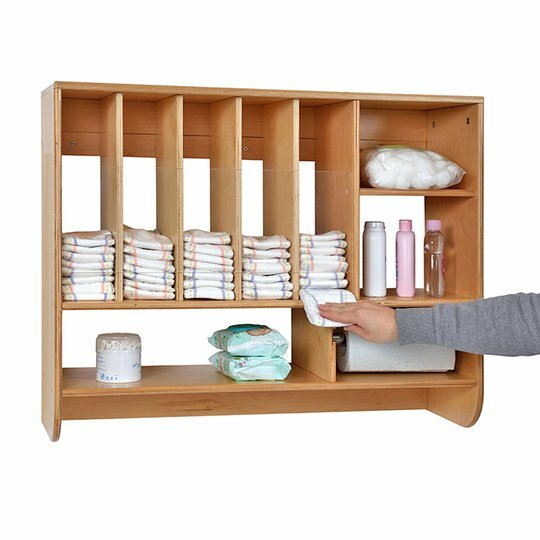 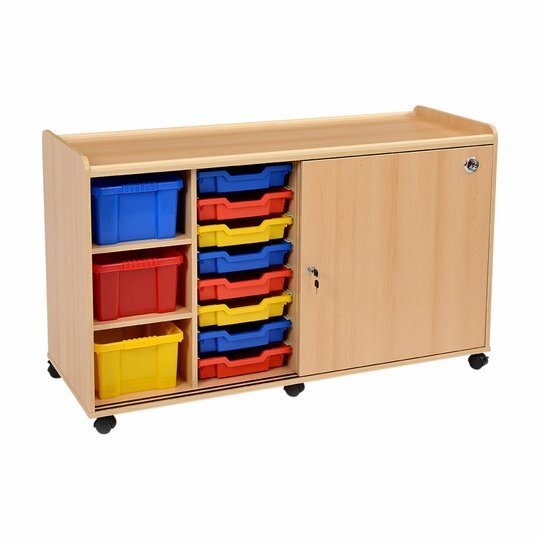 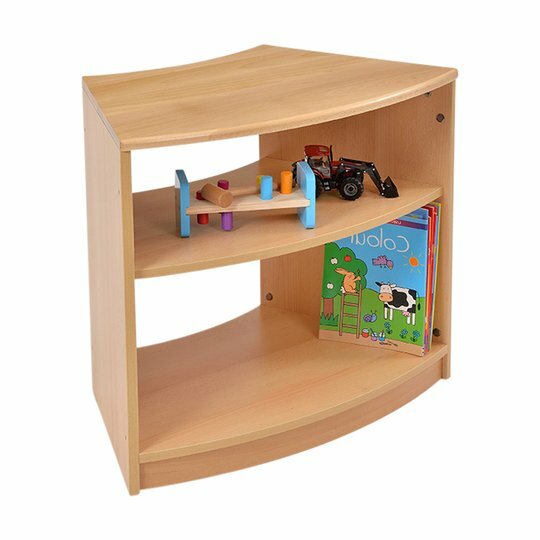 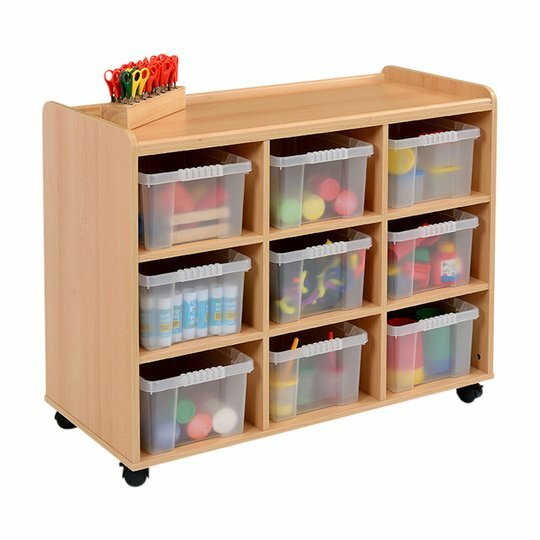 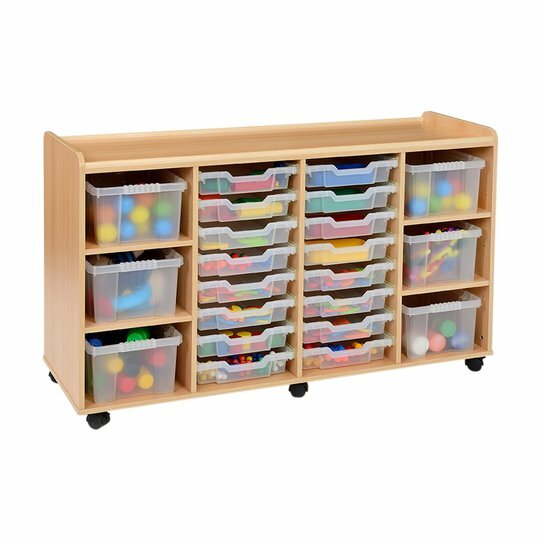 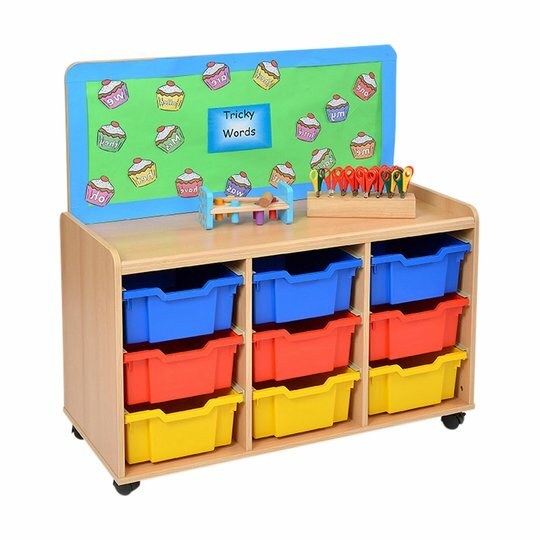 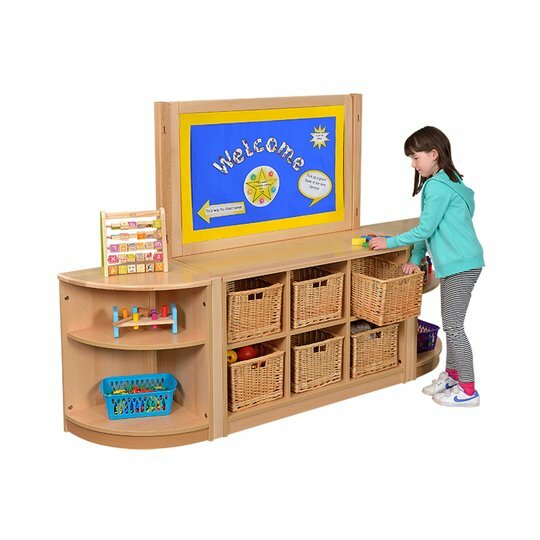 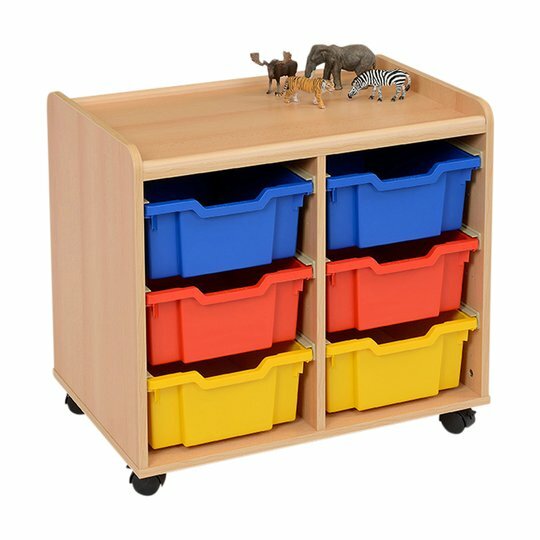 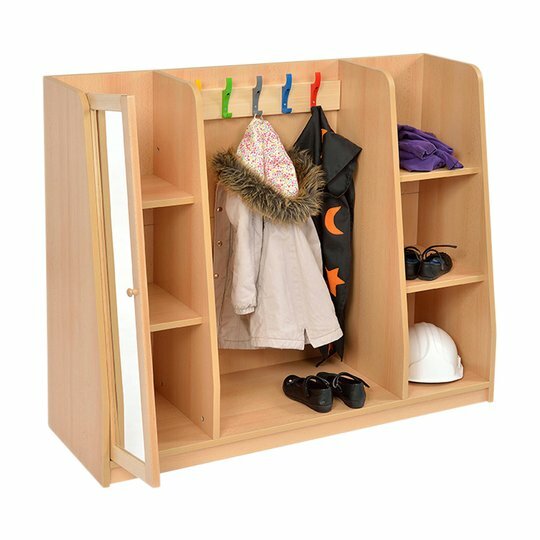 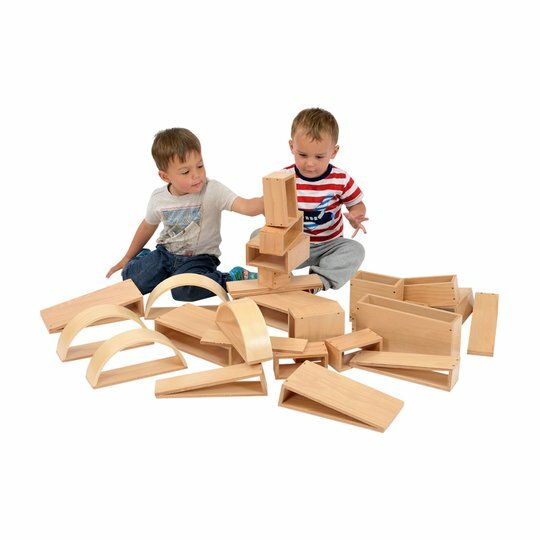 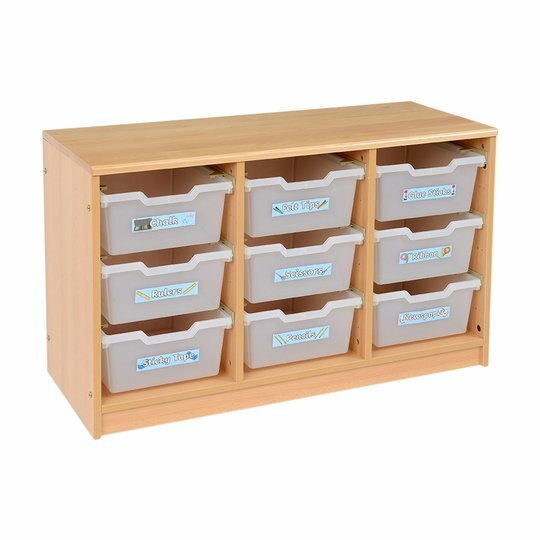 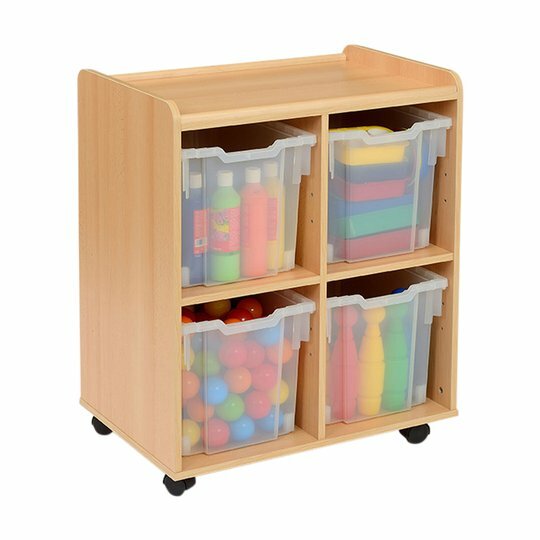 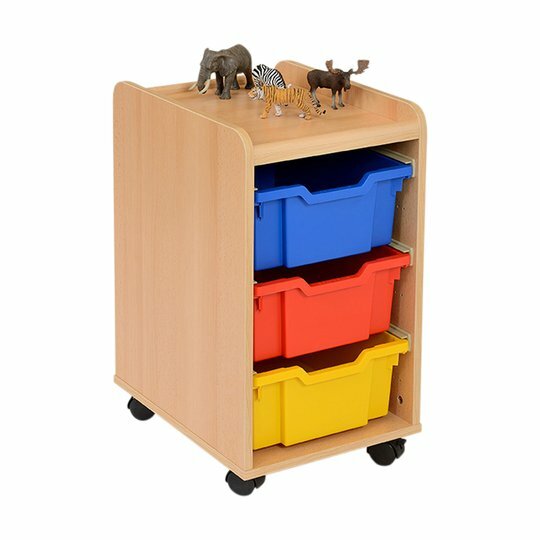 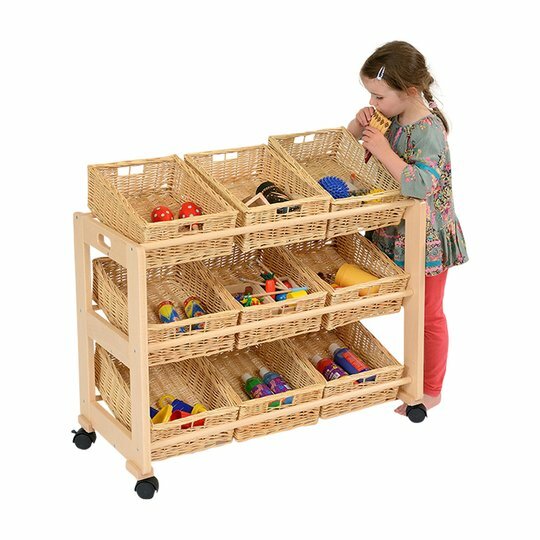 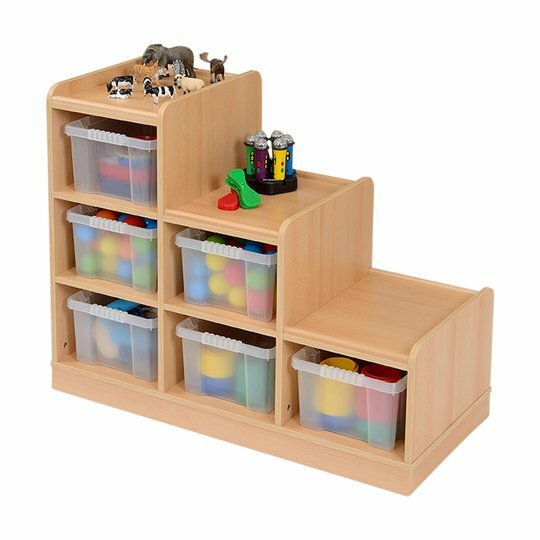 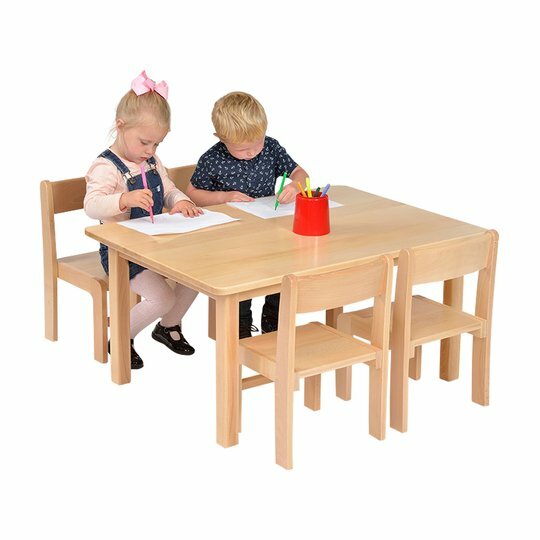 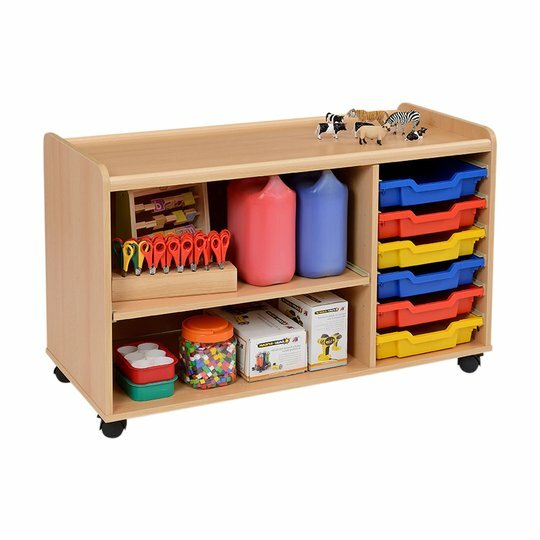 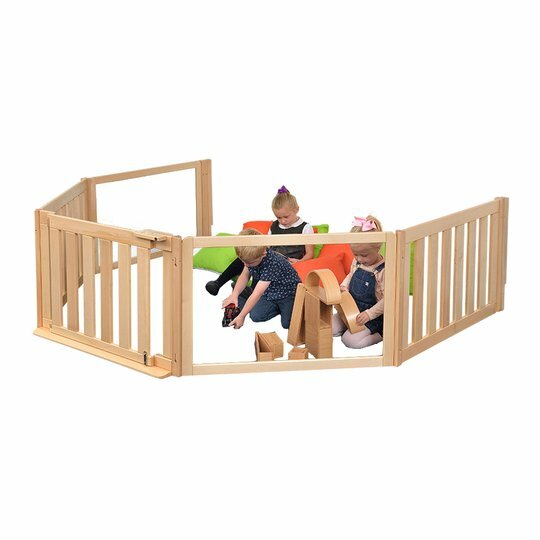 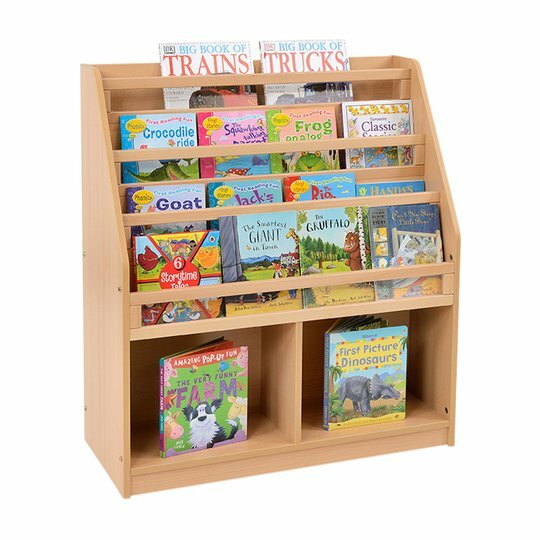 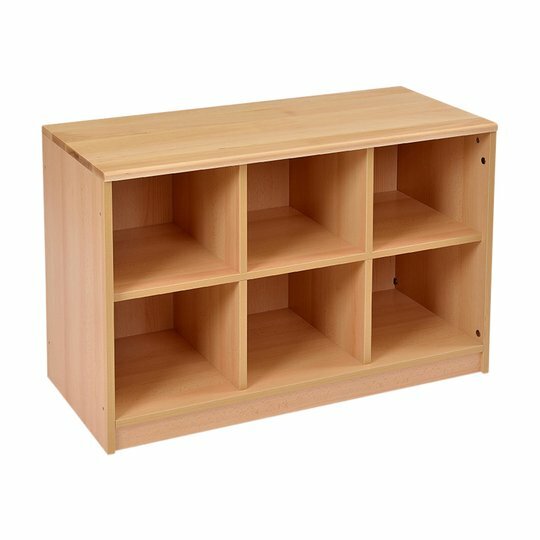 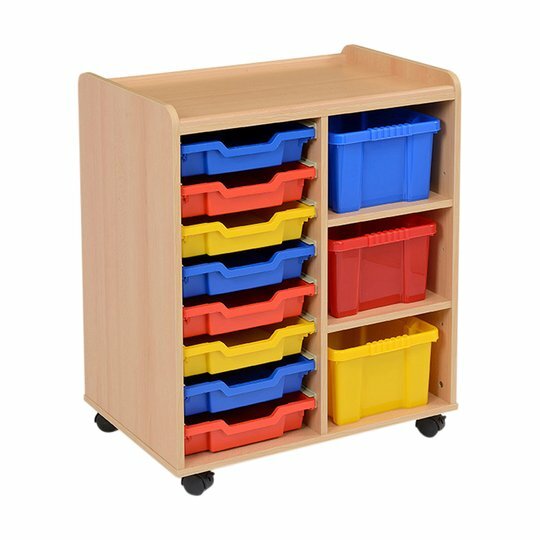 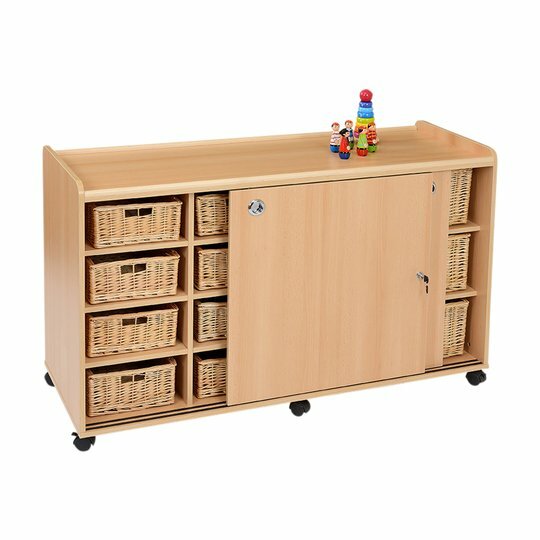 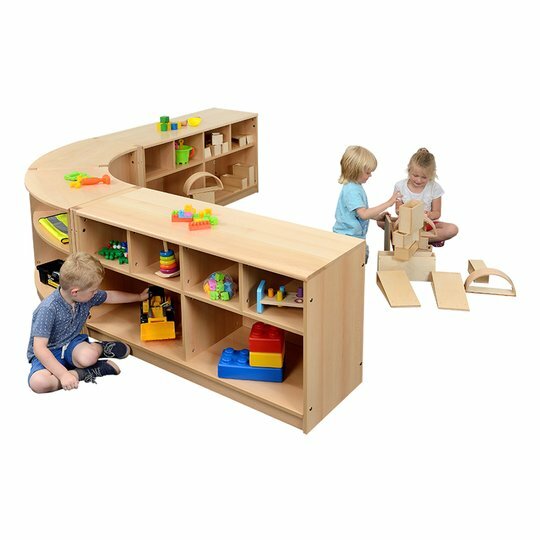 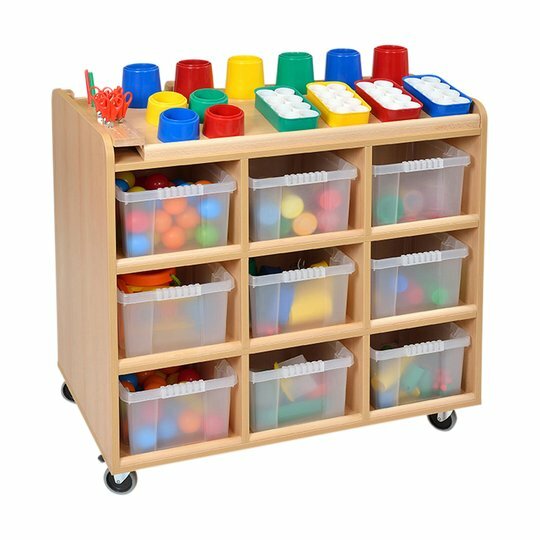 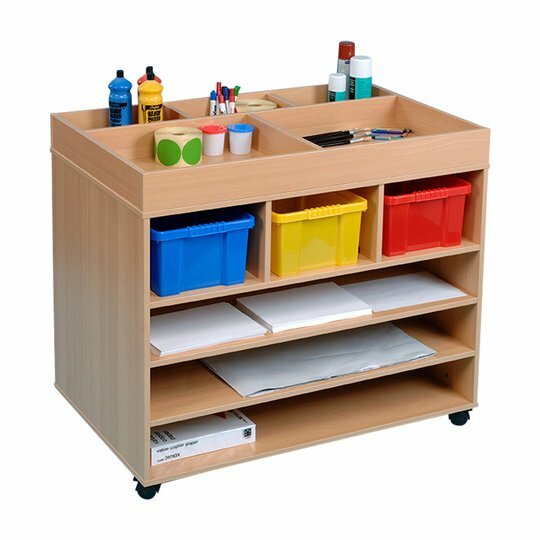 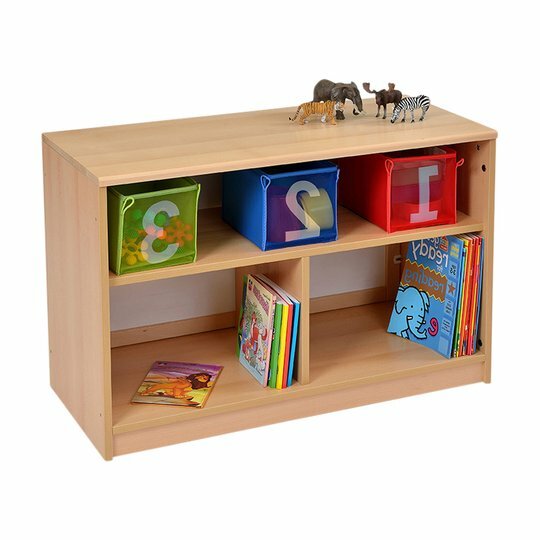 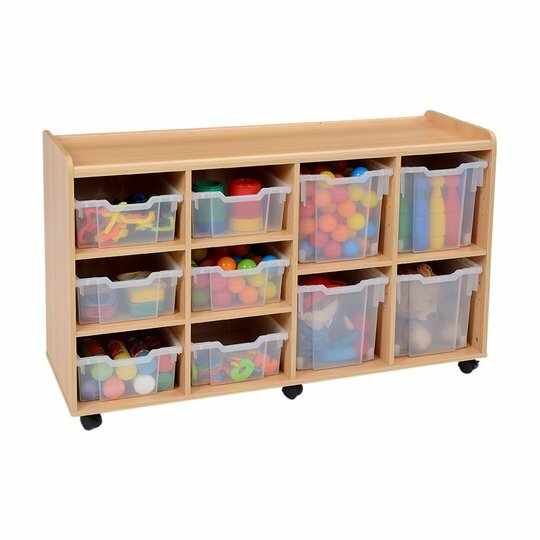 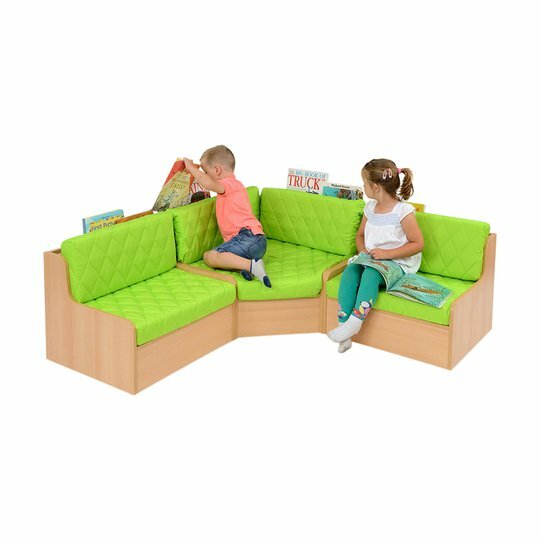 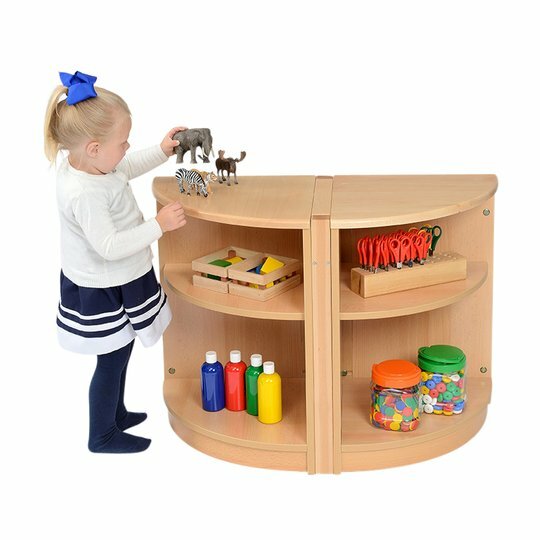 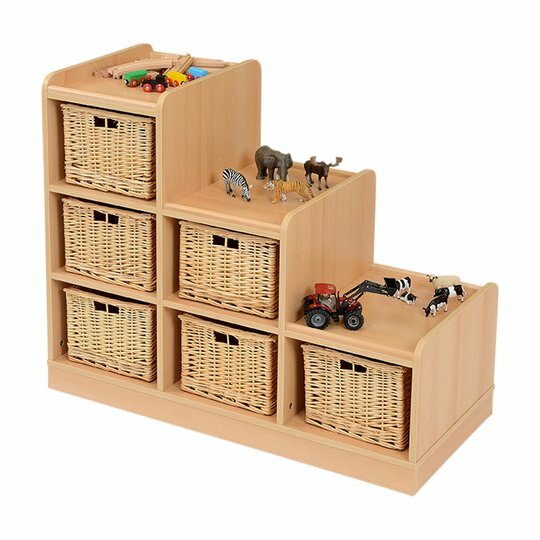 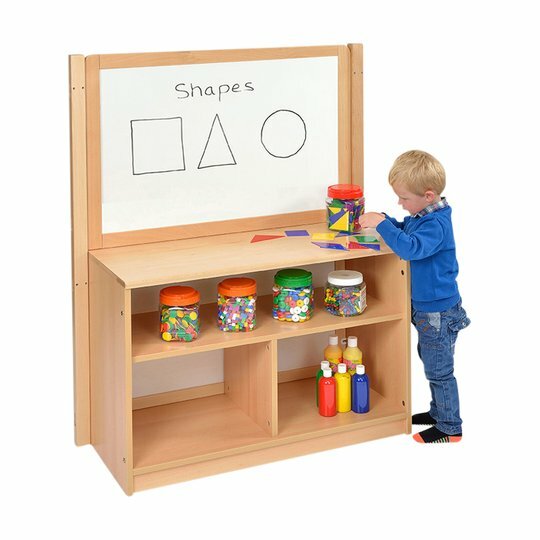 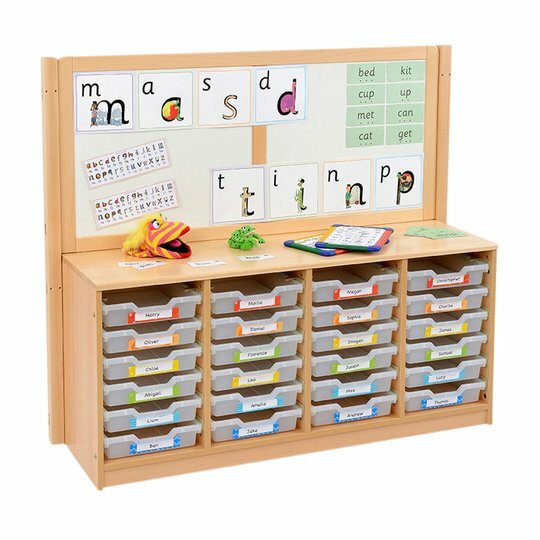 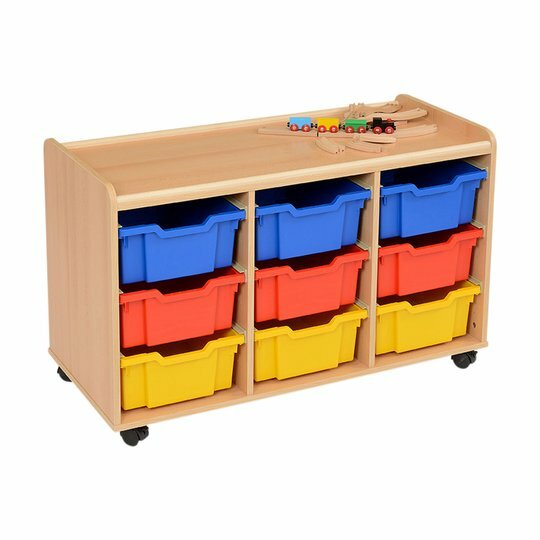 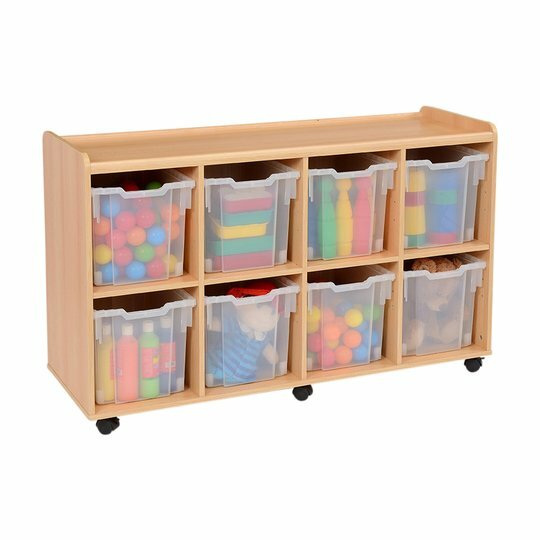 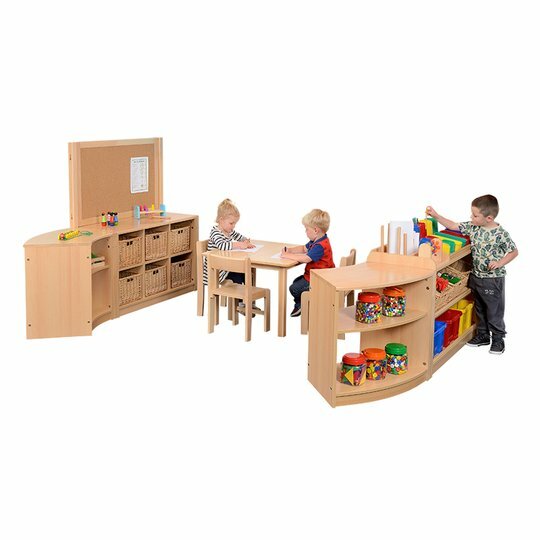 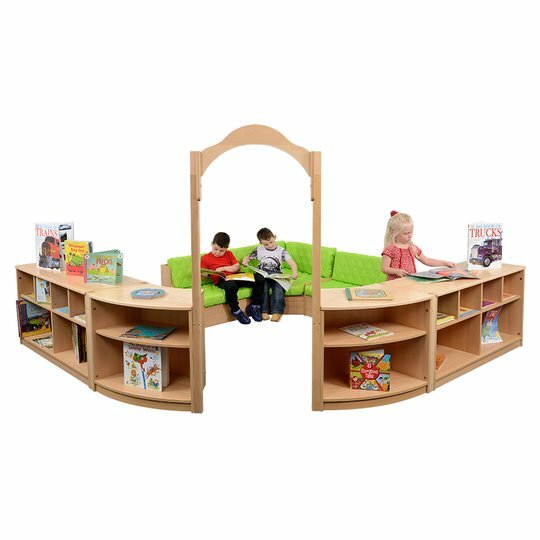 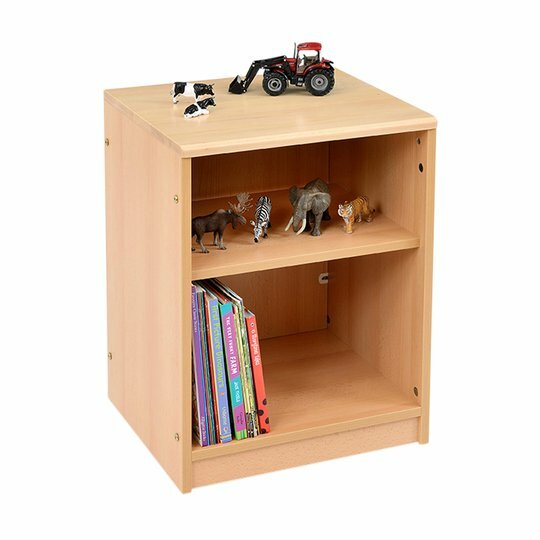 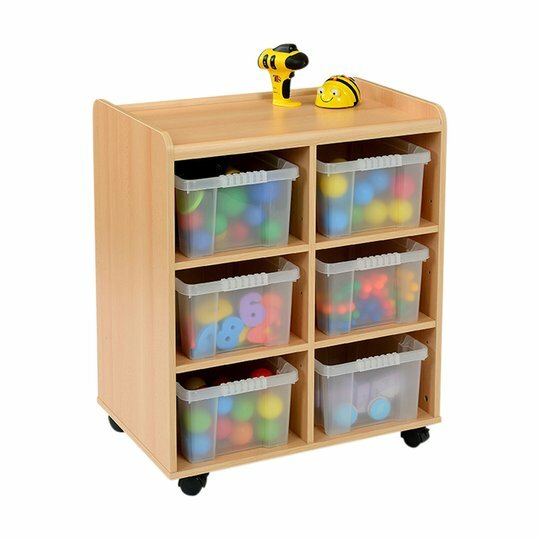 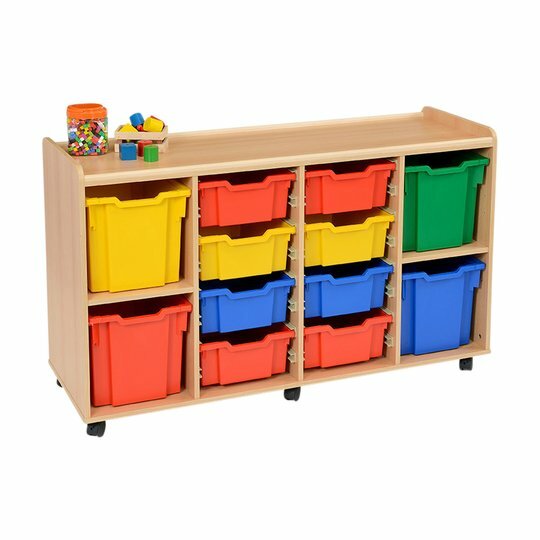 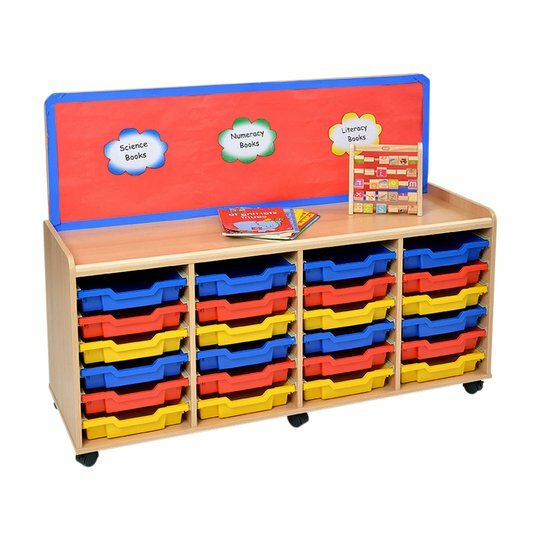 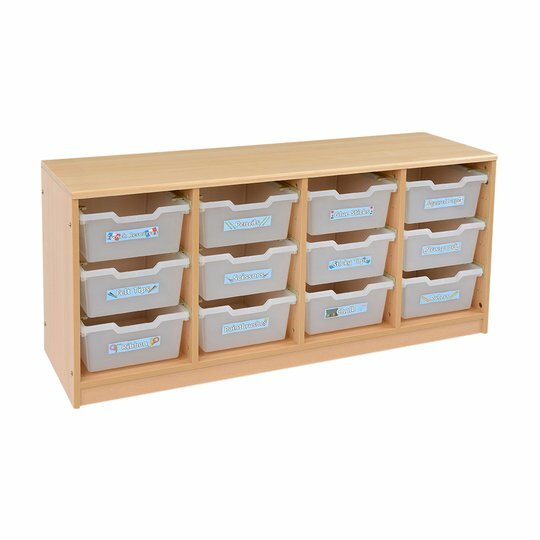 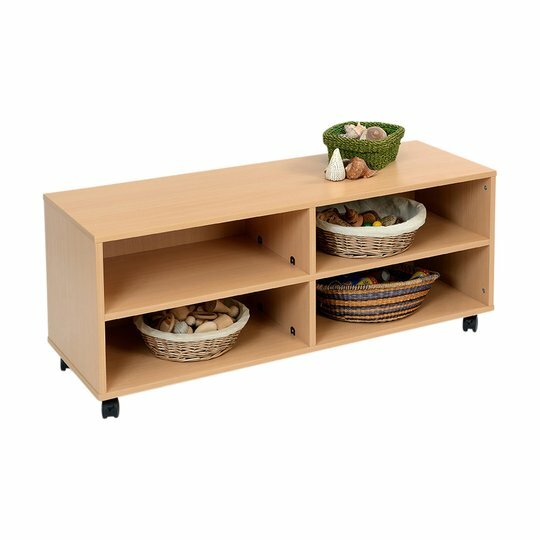 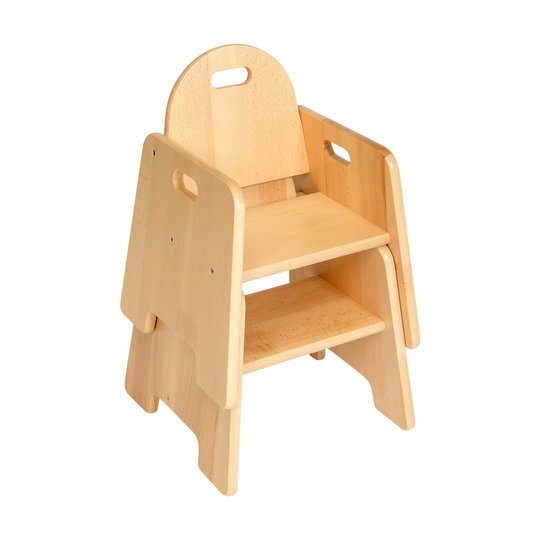 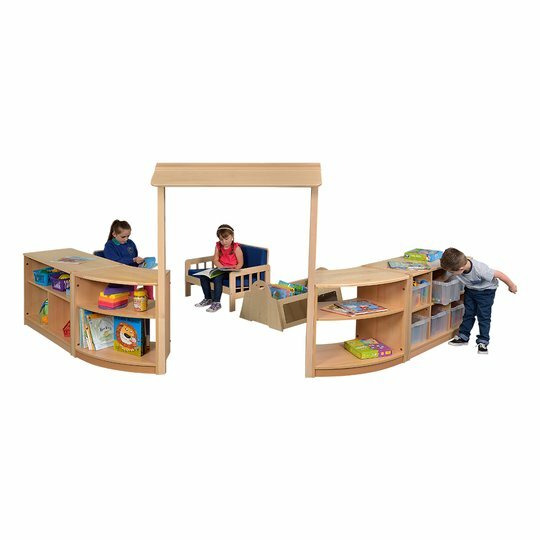 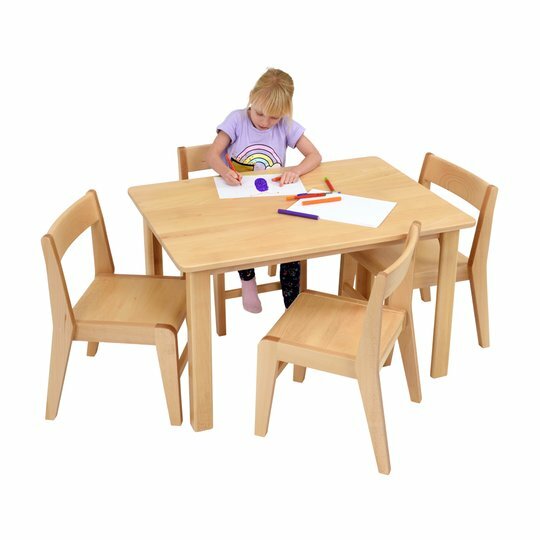 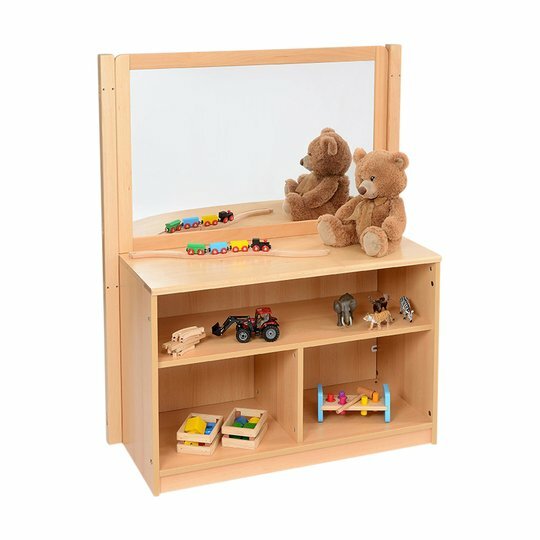 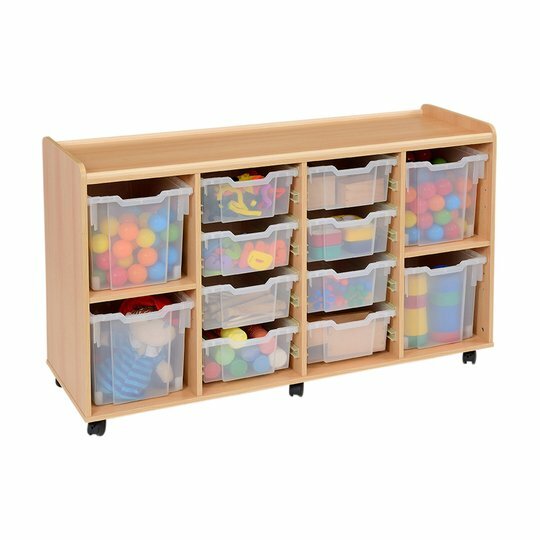 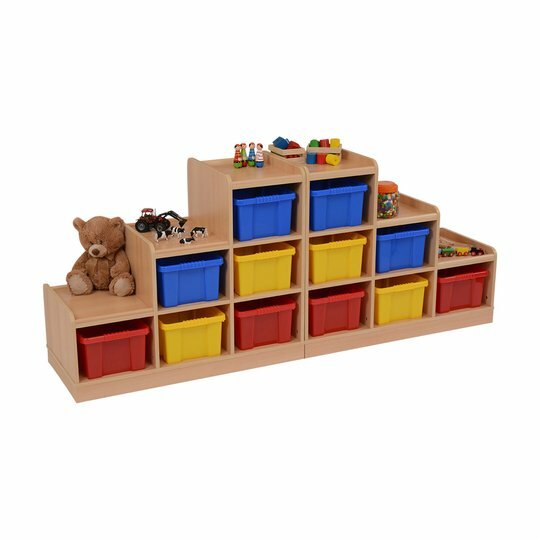 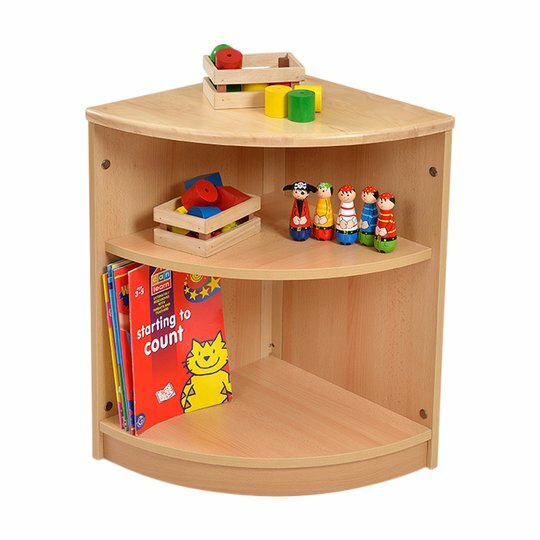 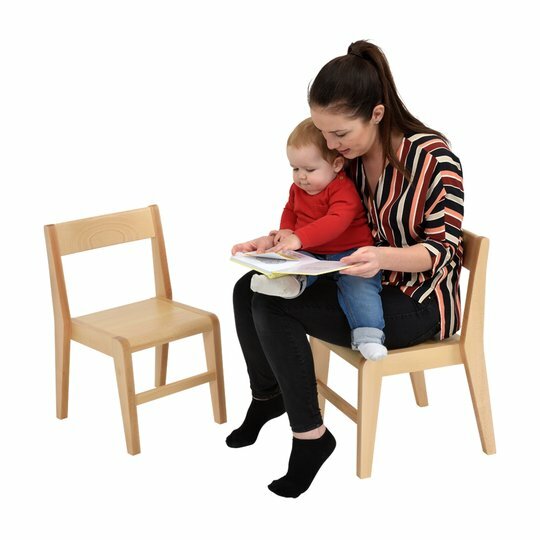 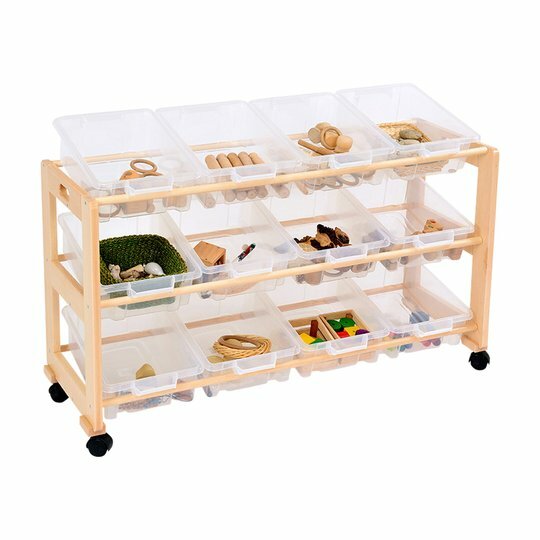 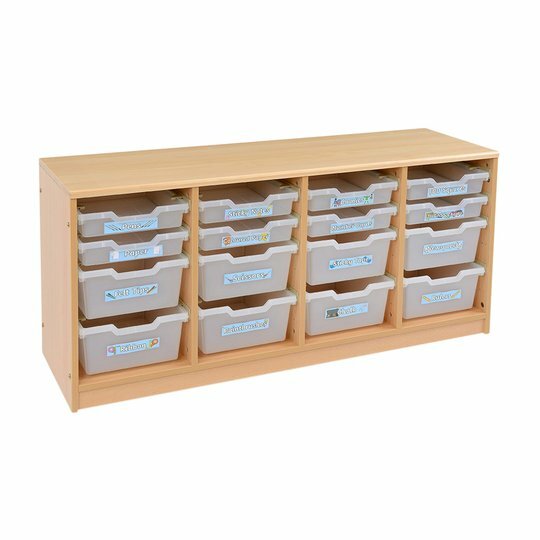 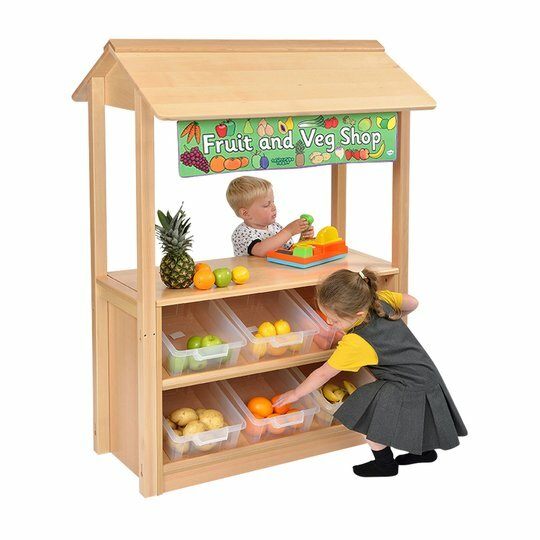 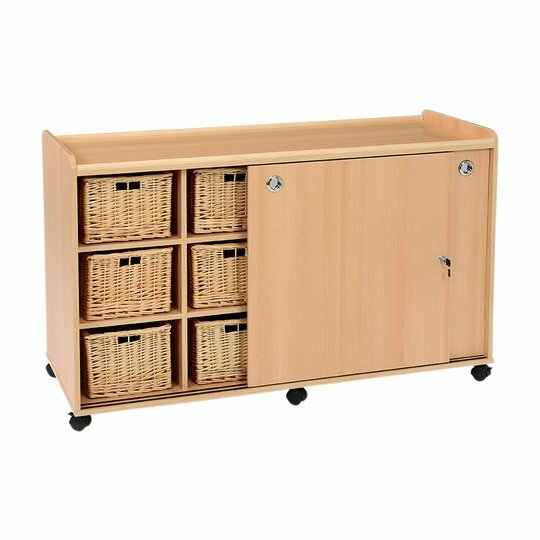 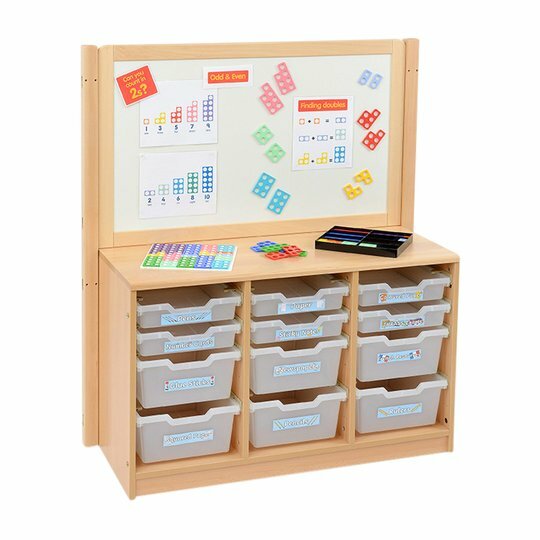 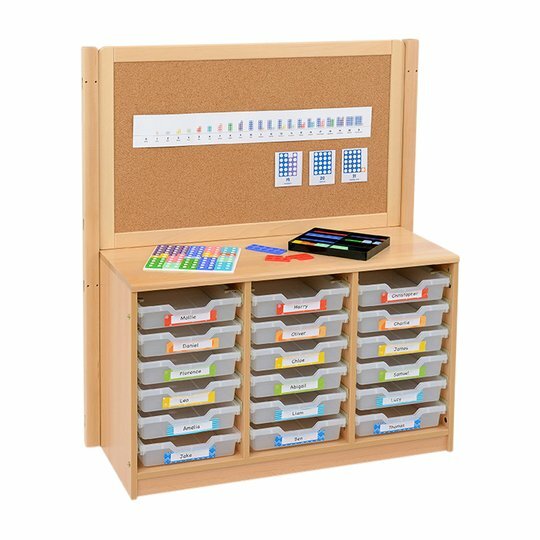 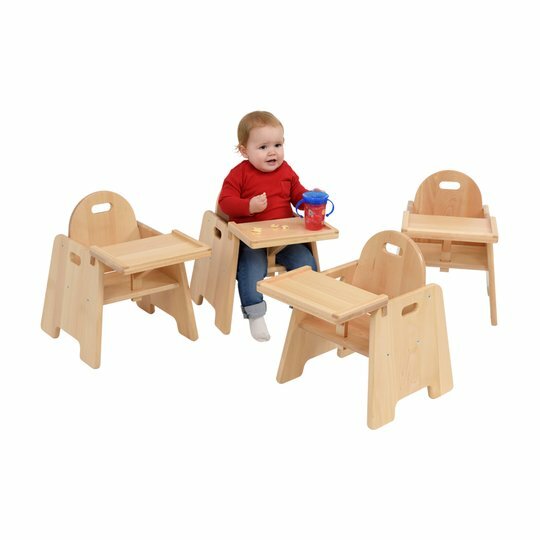 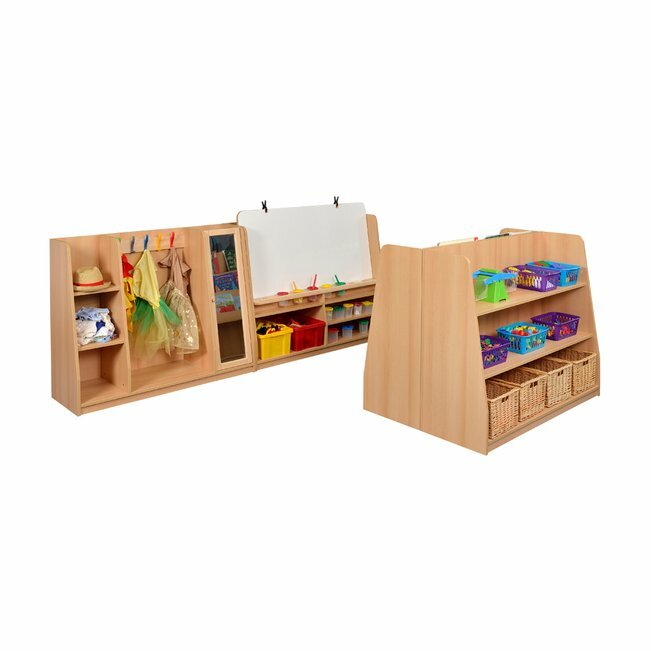 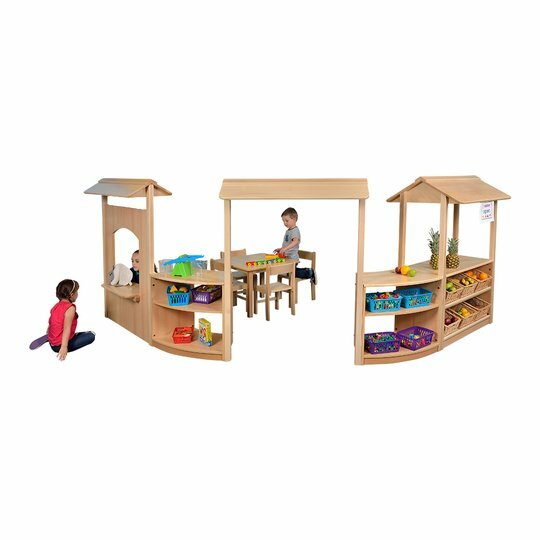 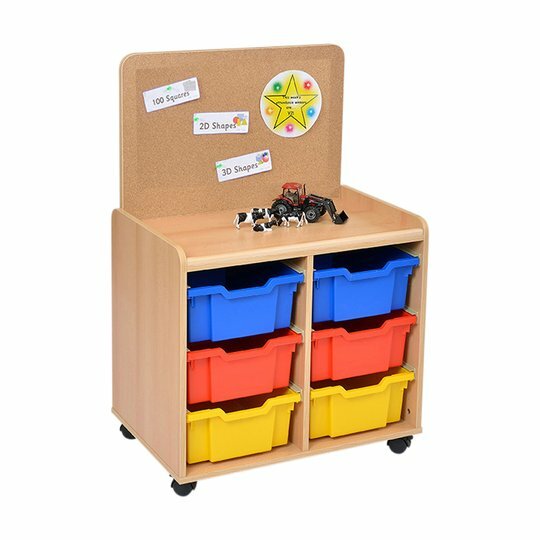 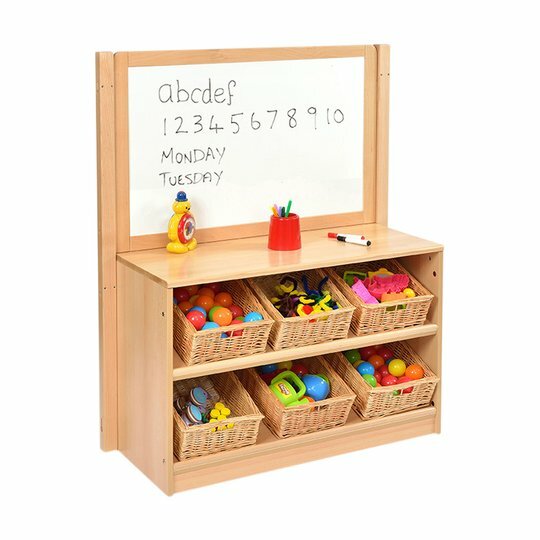 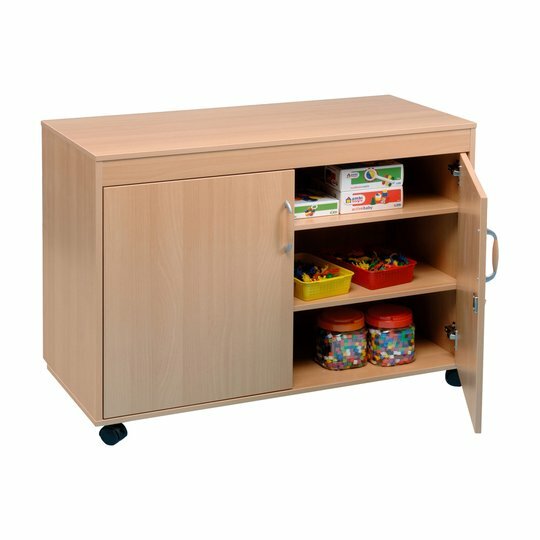 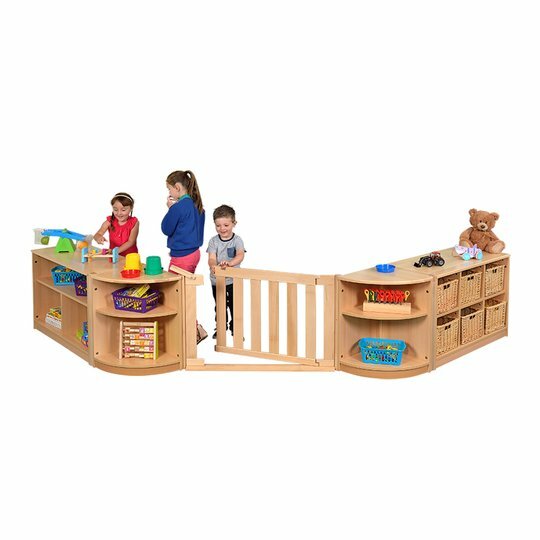 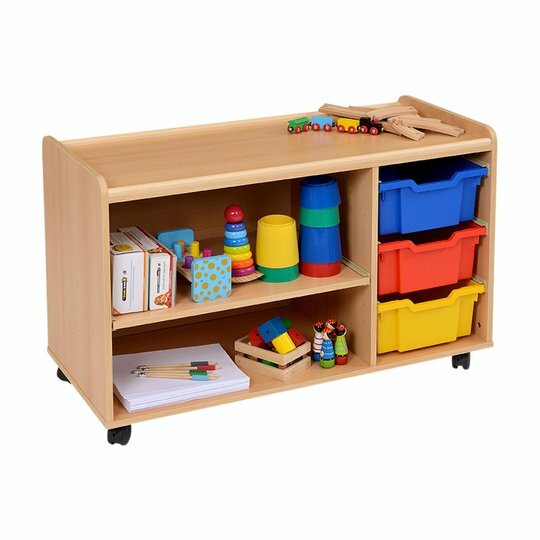 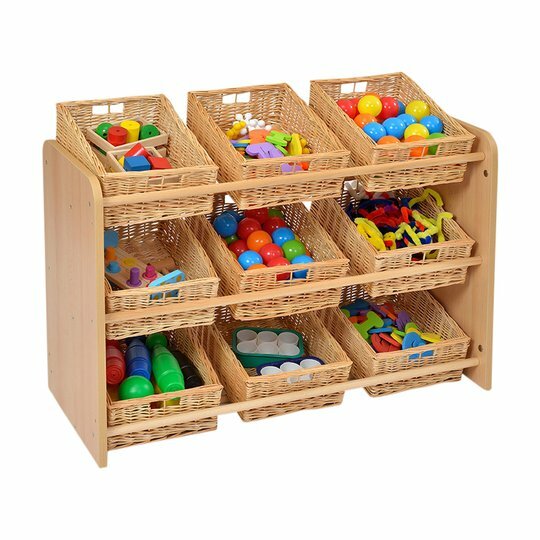 The Open Shelf Unit has 3 shelves offering maximum flexibility to allow the user to optimise varied storage solutions.The Resource Unit is wide enough to allow 2 children to work comfortably side by side and includes multifunctional Storage, Display and Work areas. 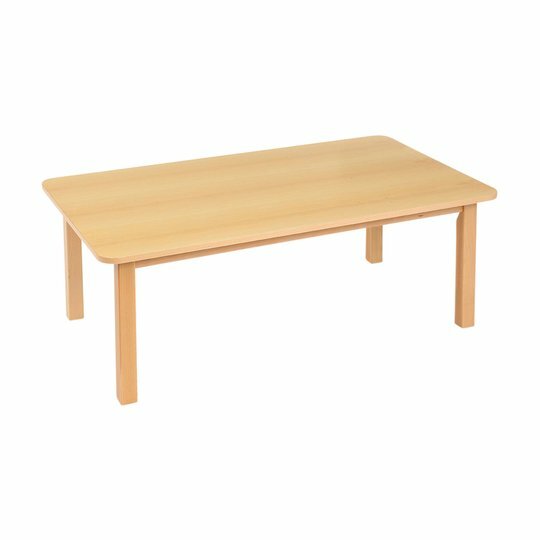 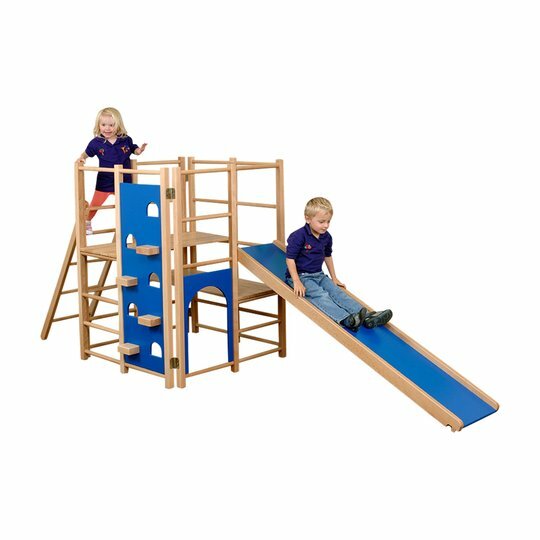 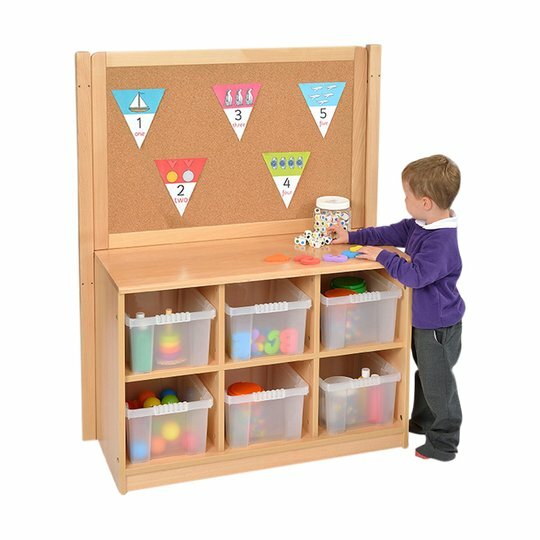 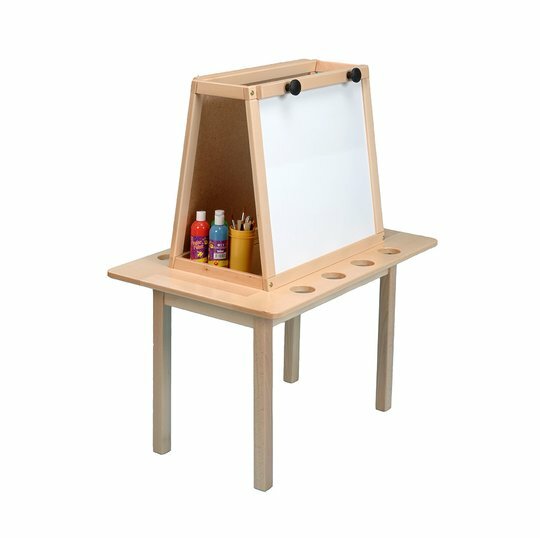 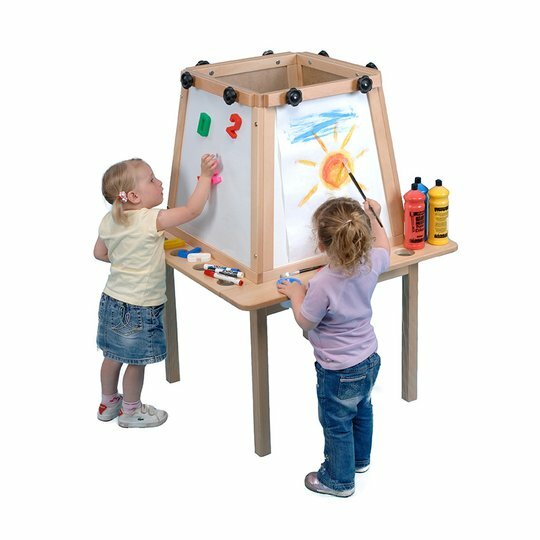 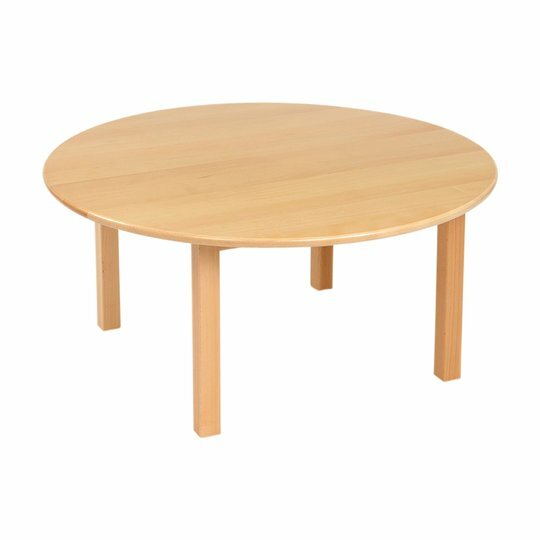 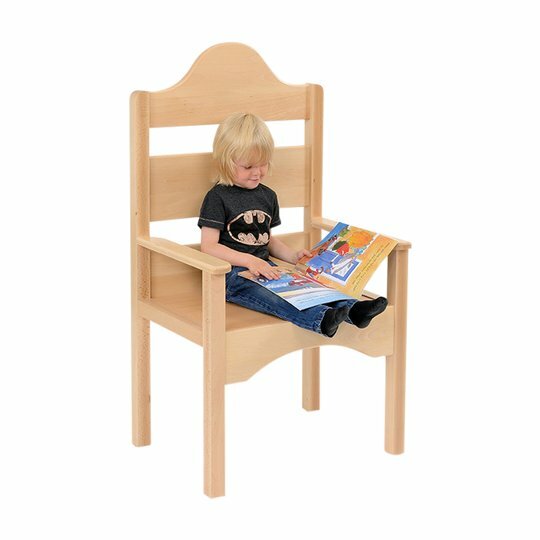 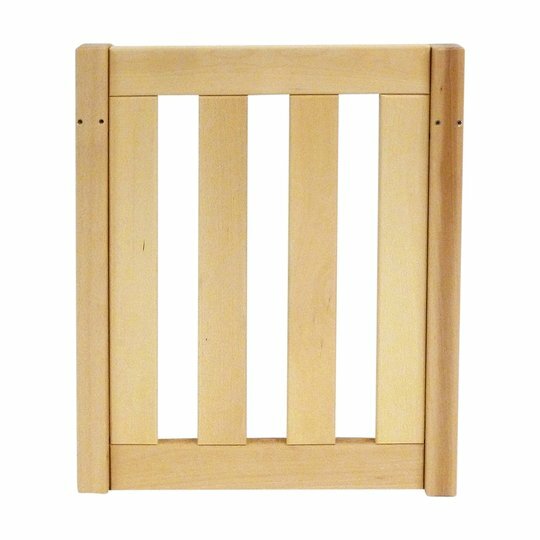 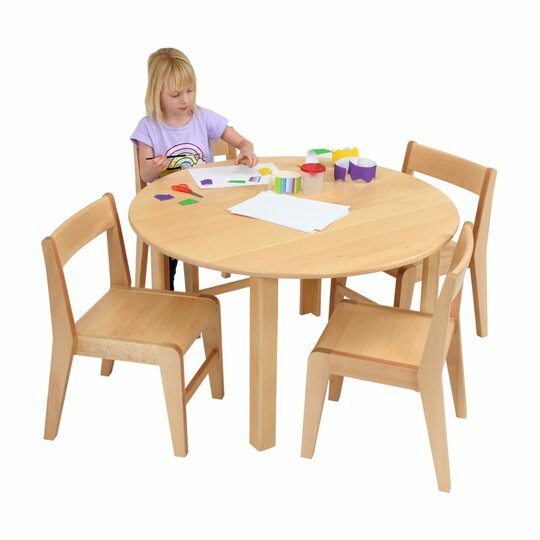 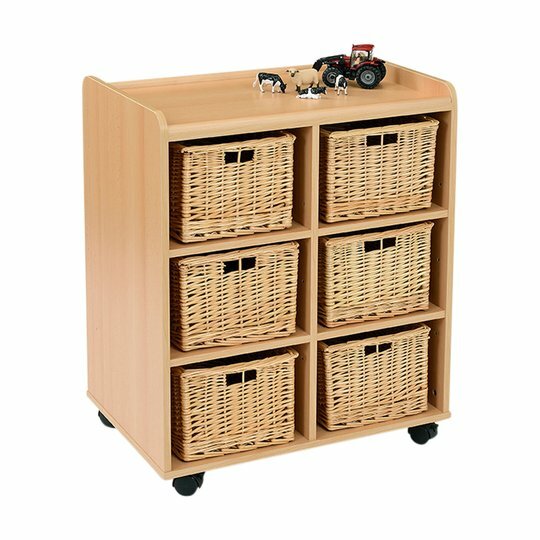 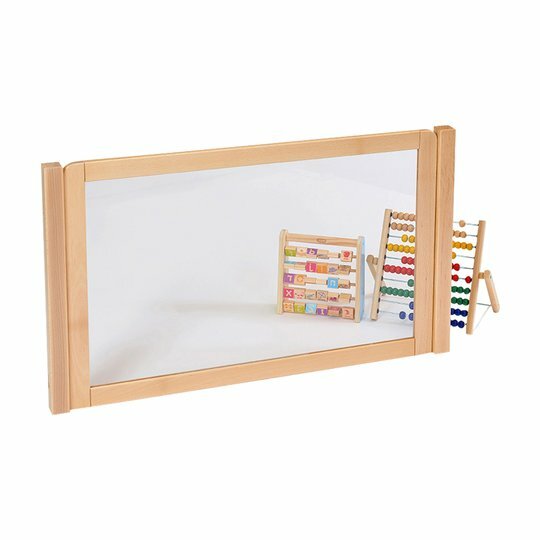 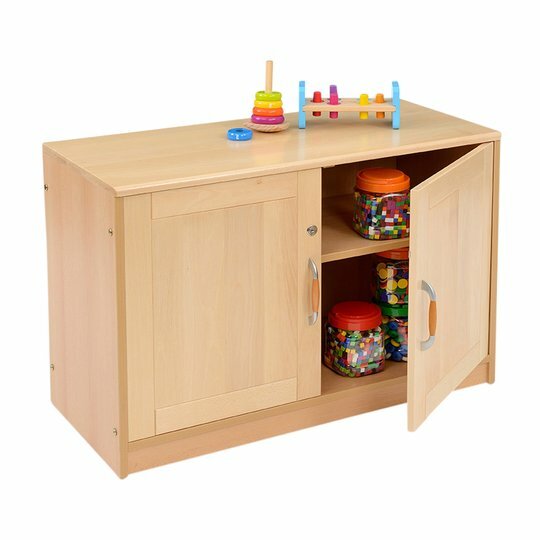 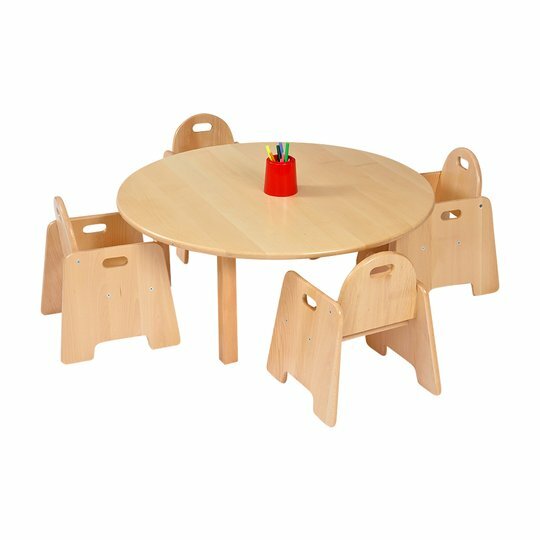 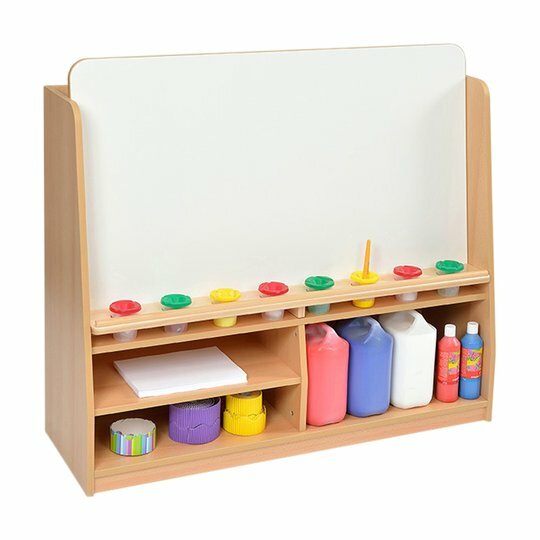 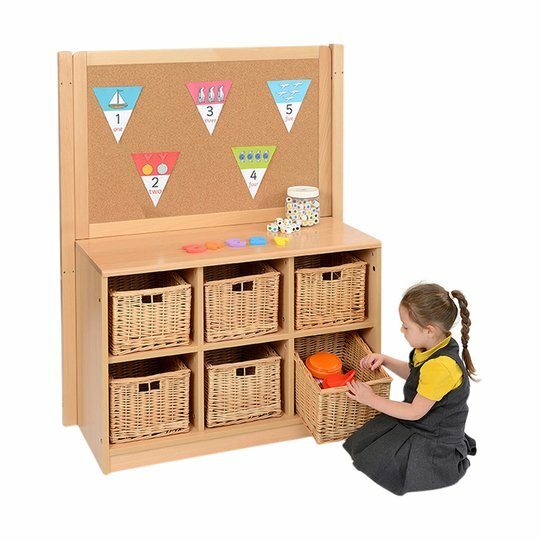 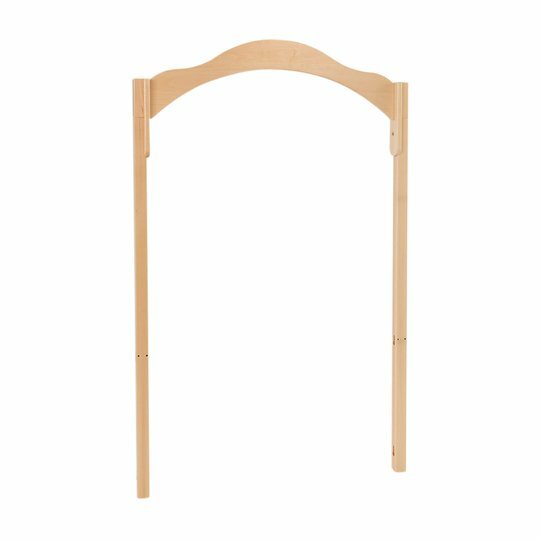 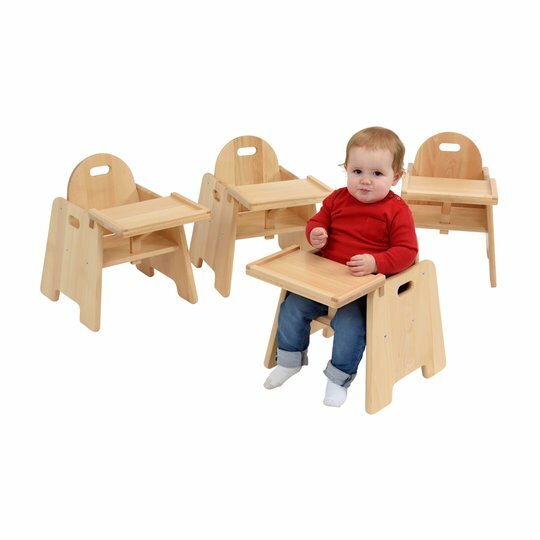 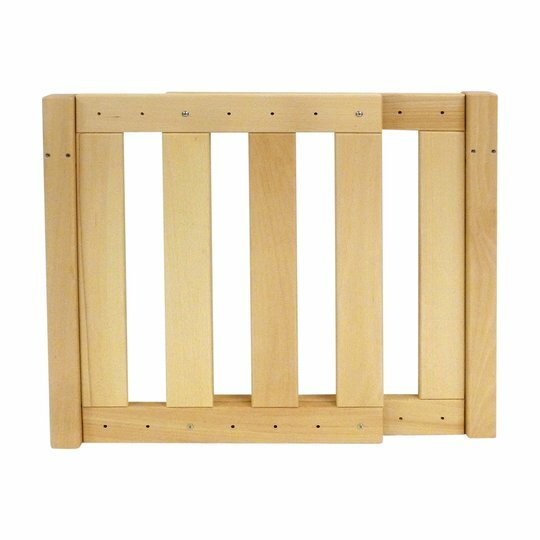 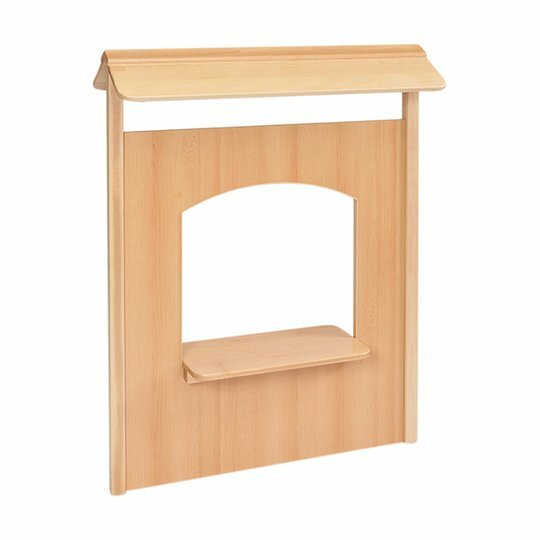 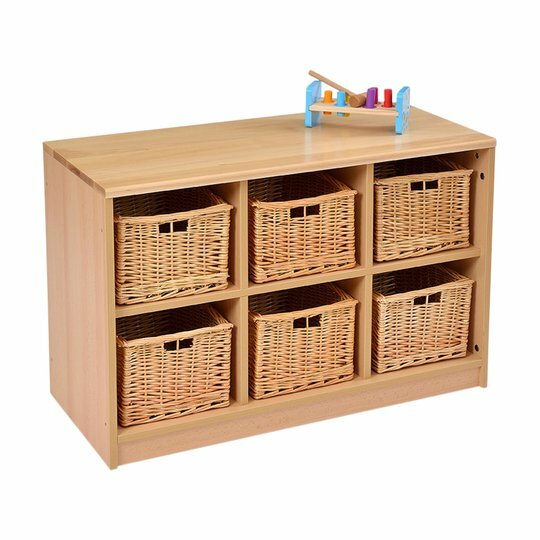 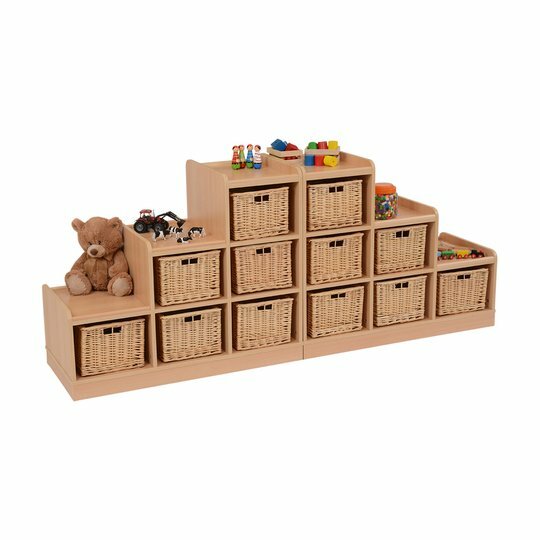 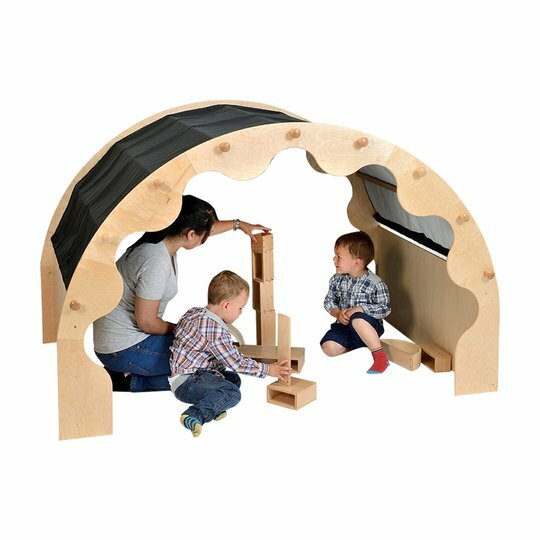 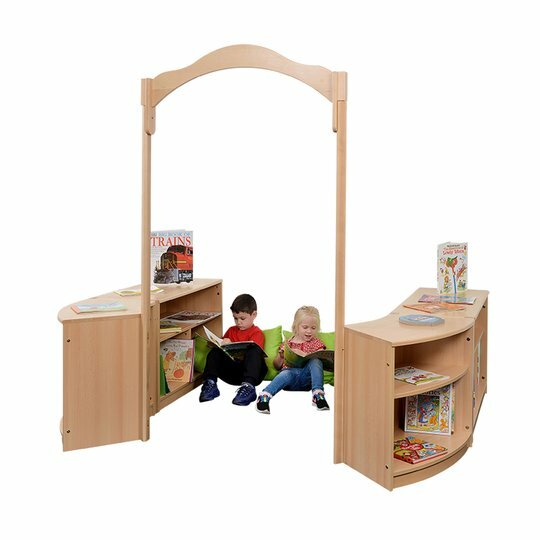 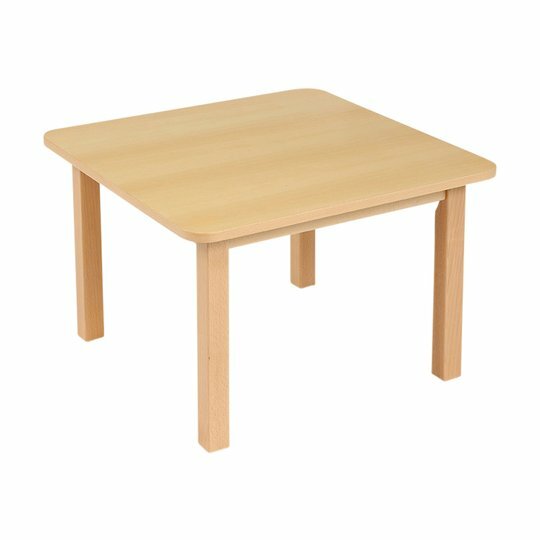 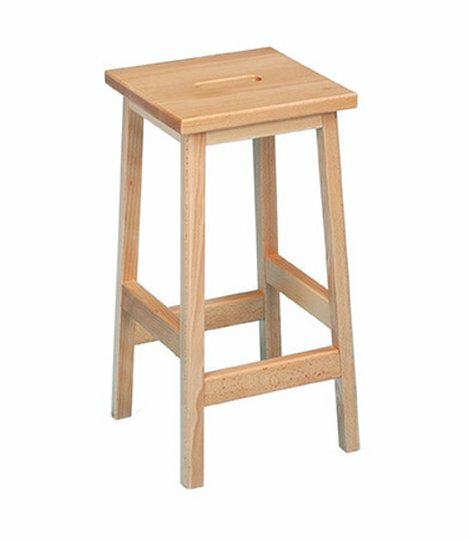 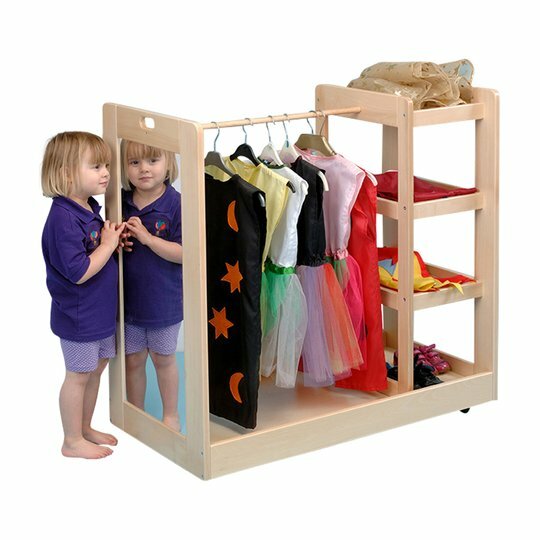 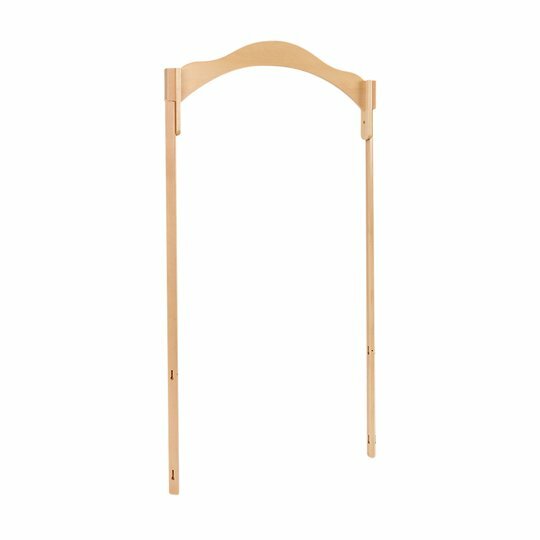 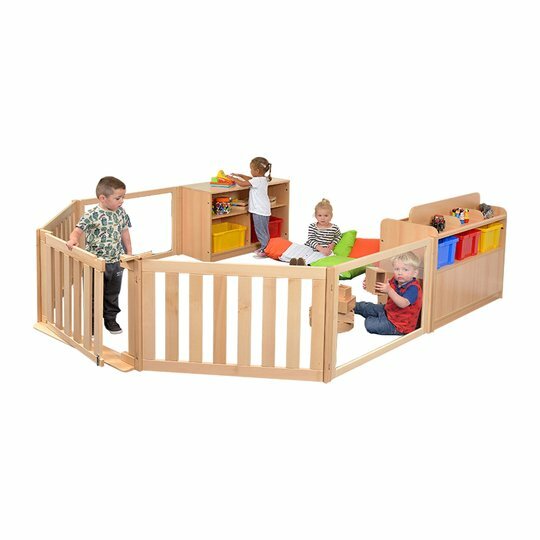 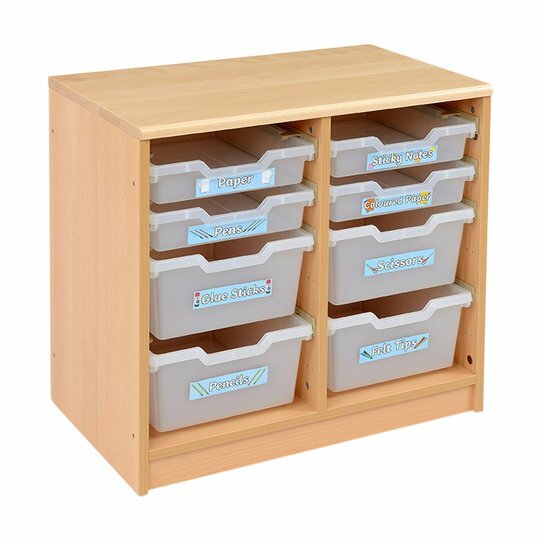 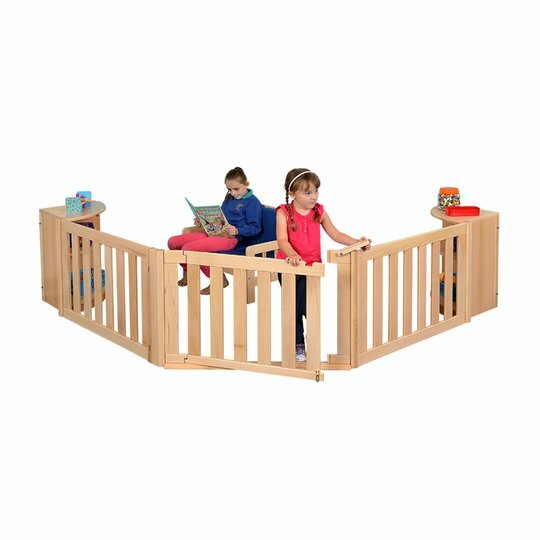 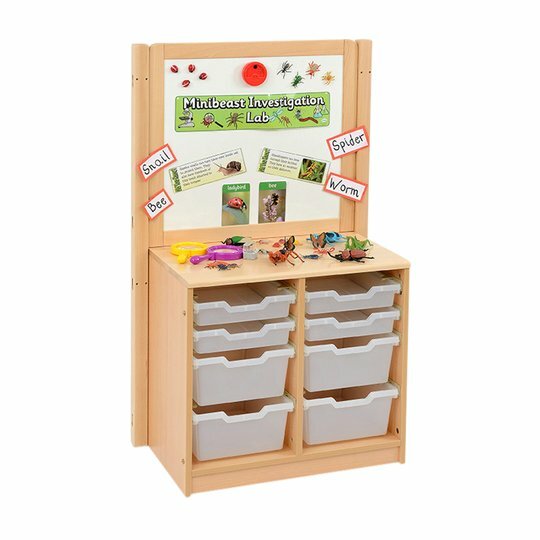 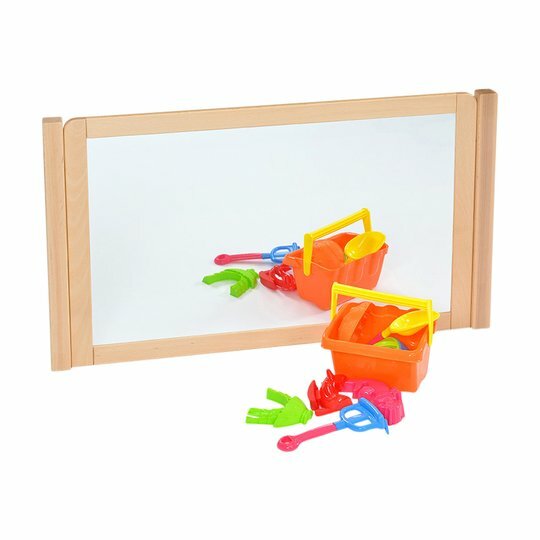 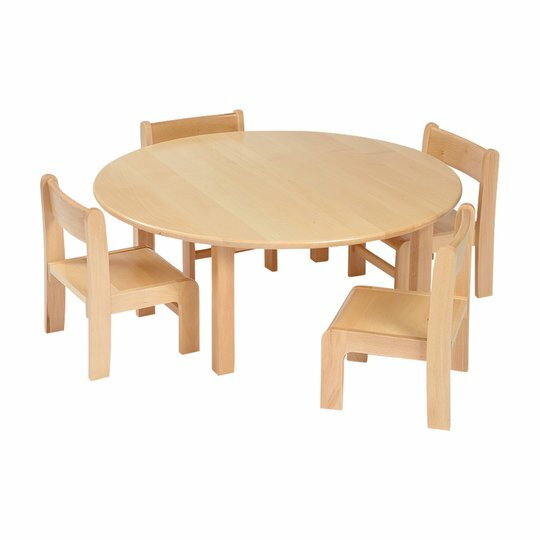 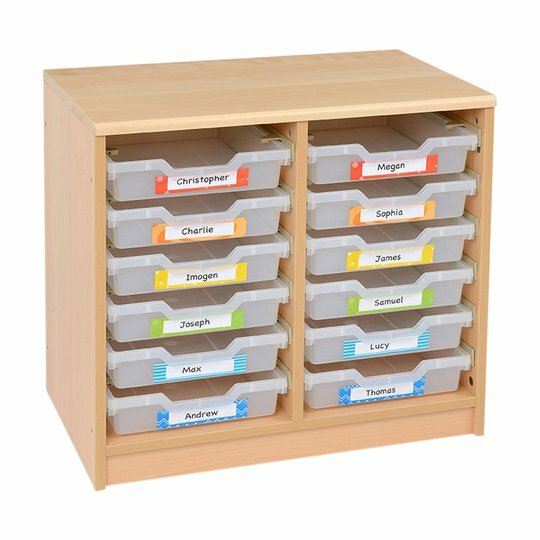 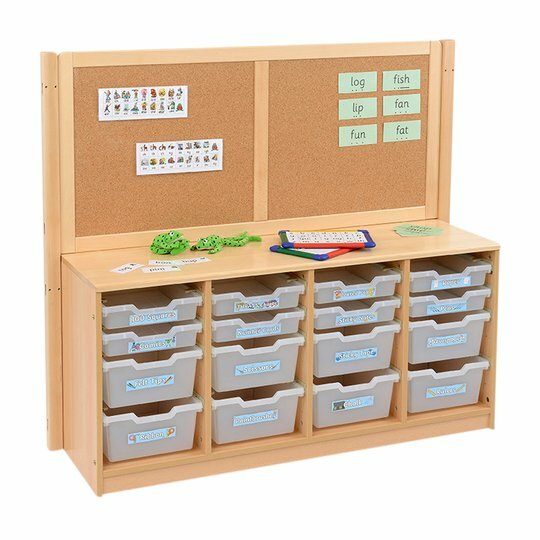 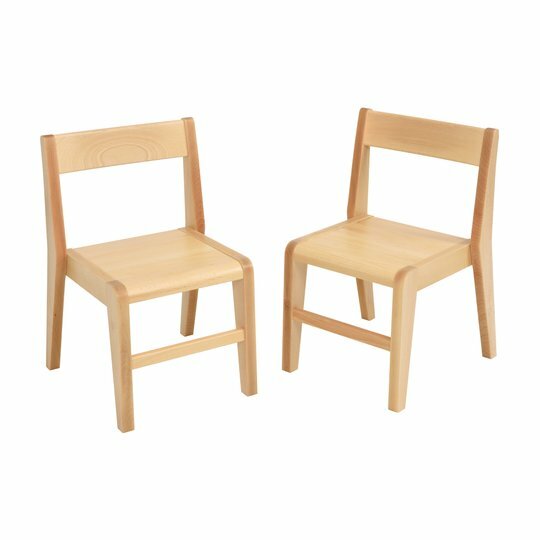 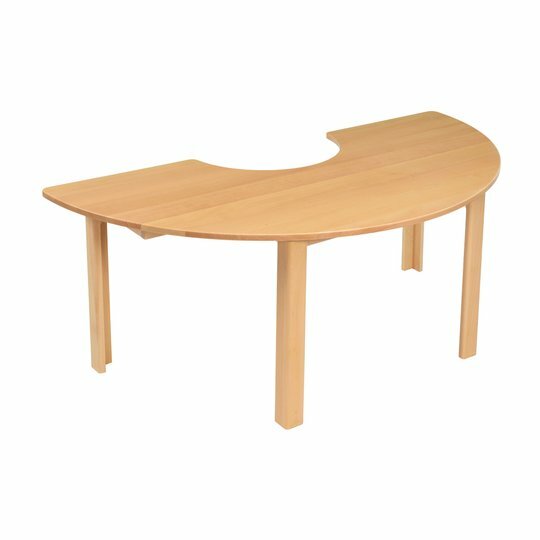 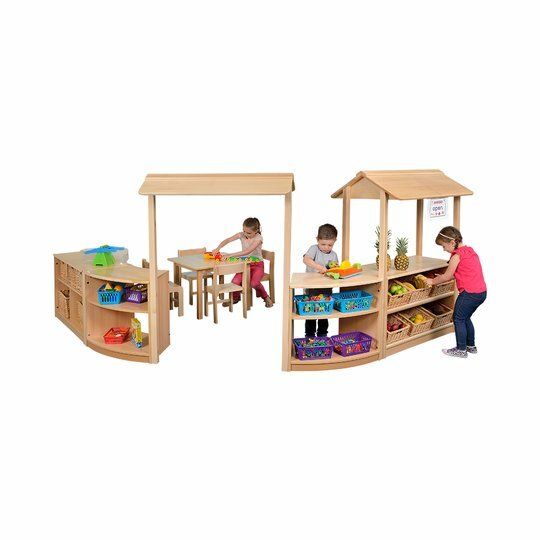 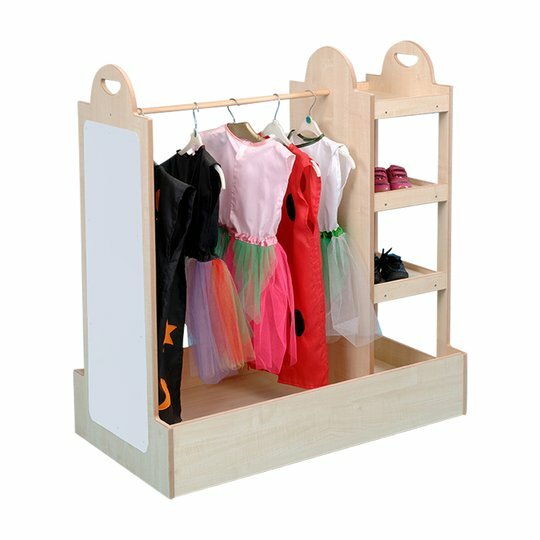 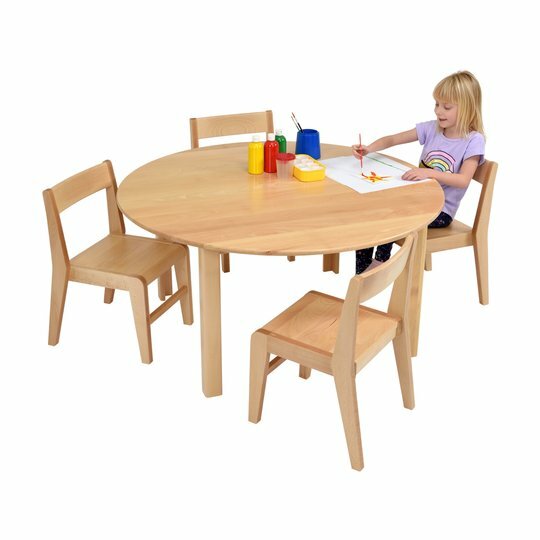 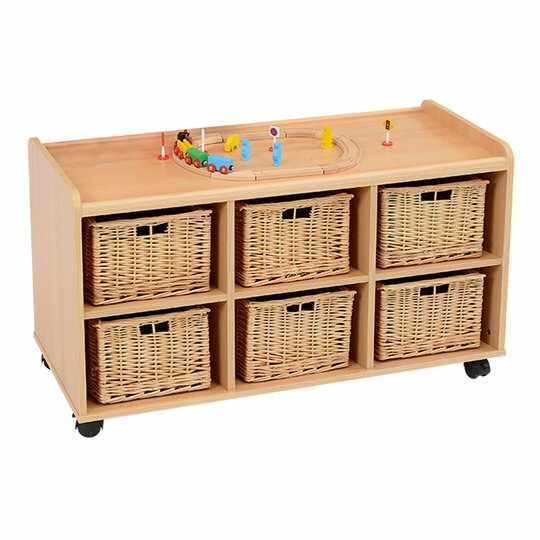 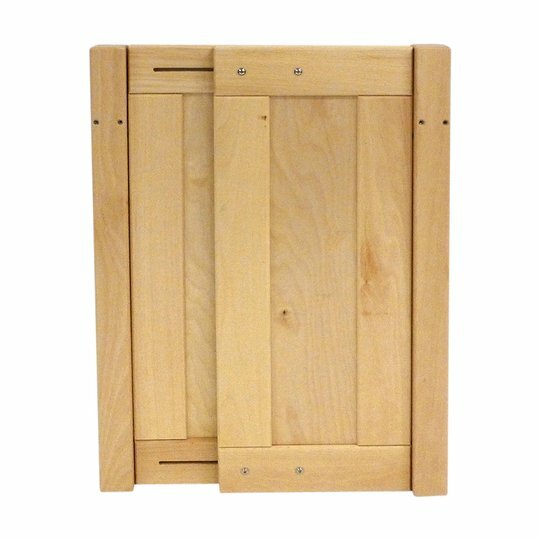 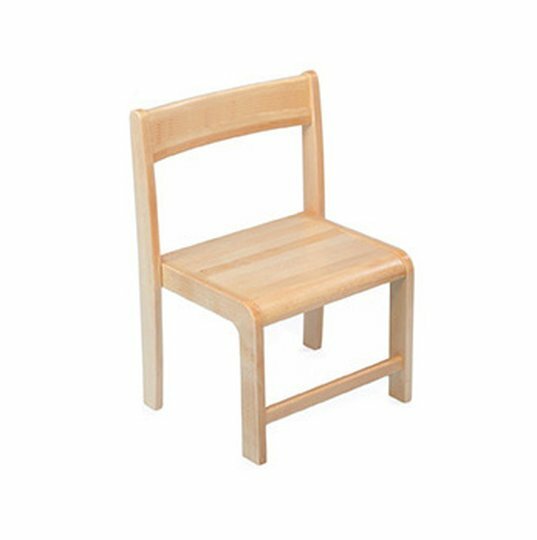 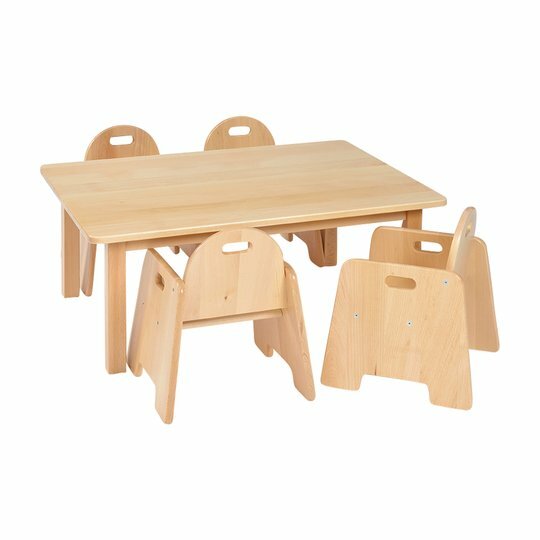 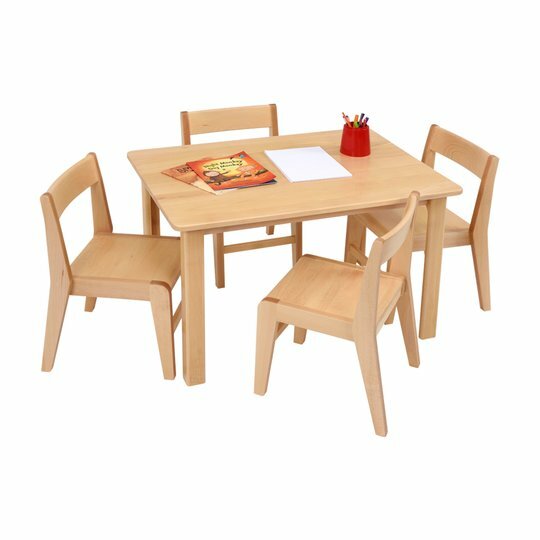 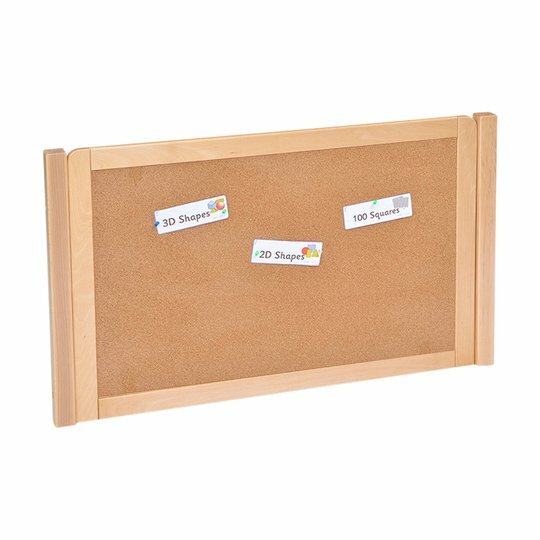 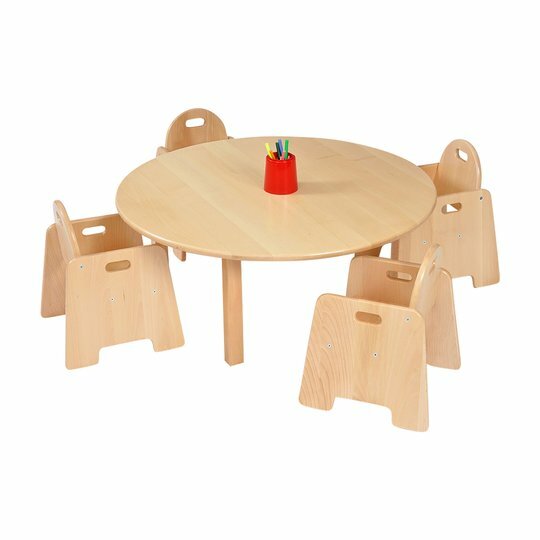 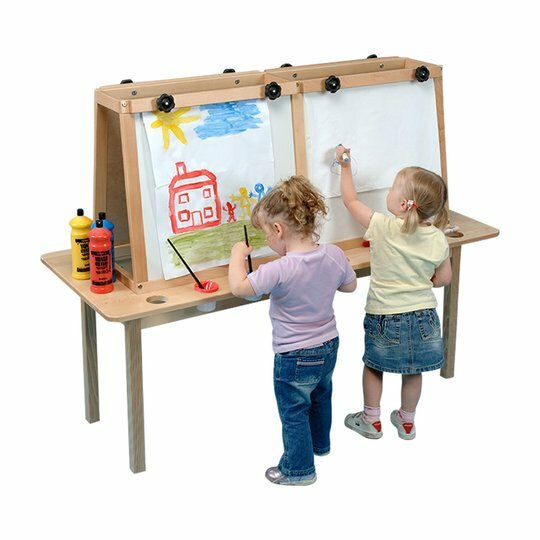 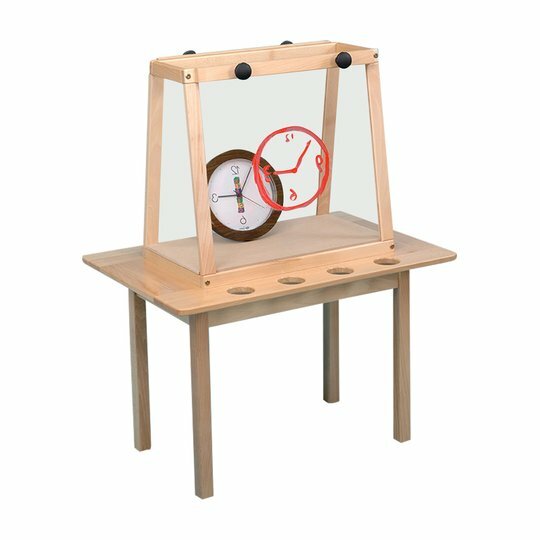 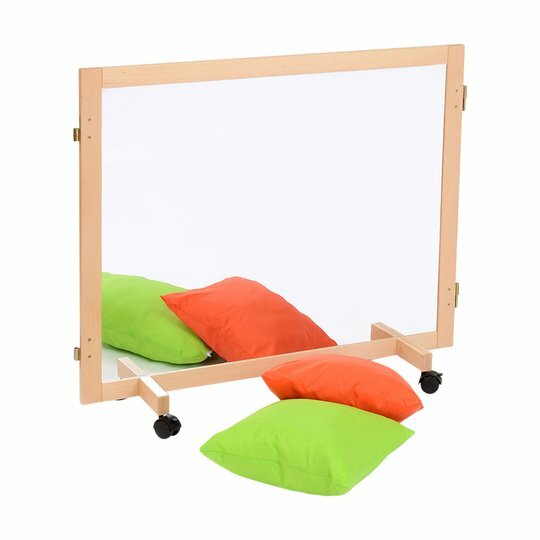 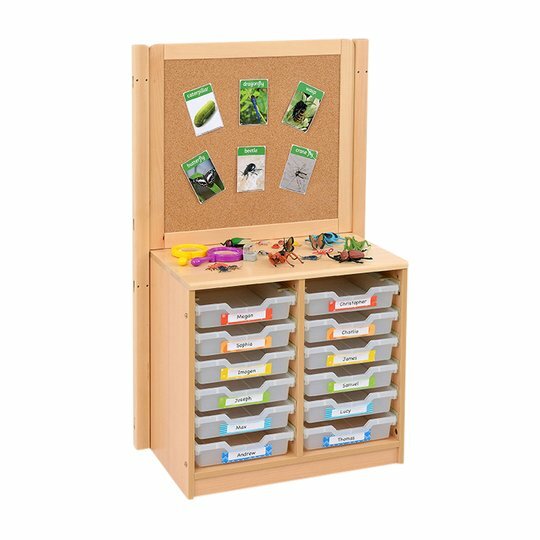 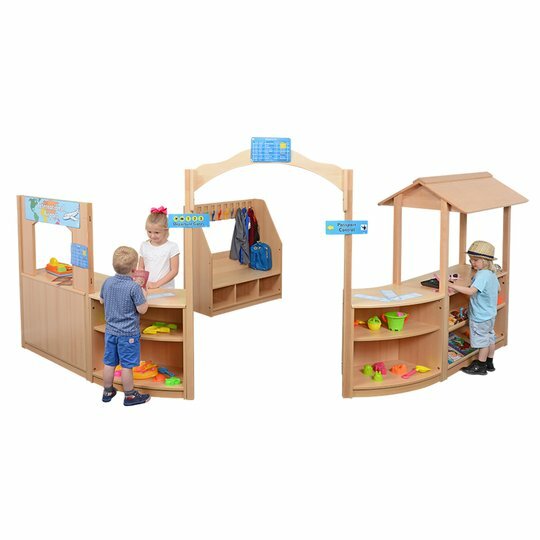 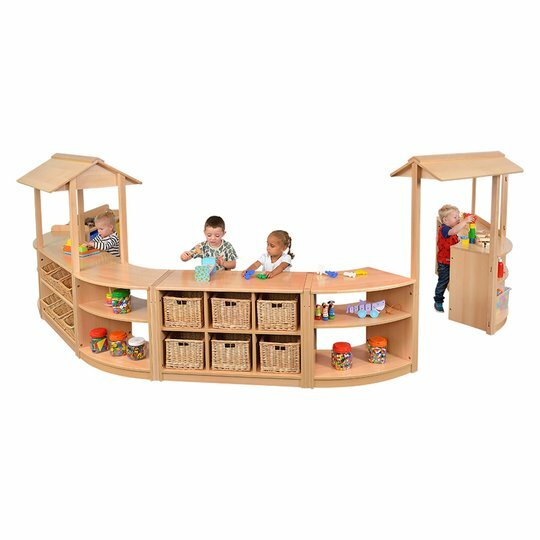 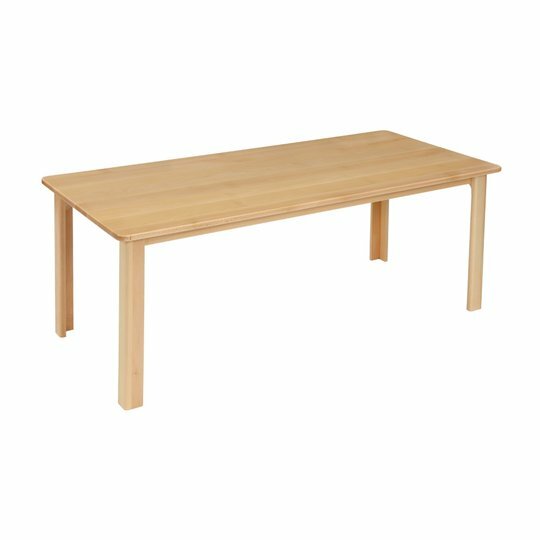 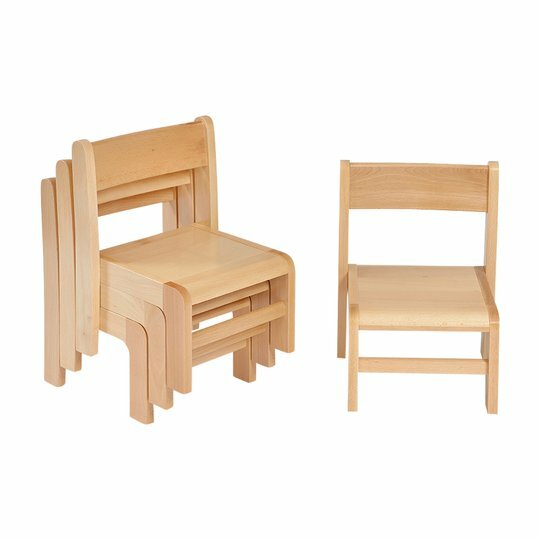 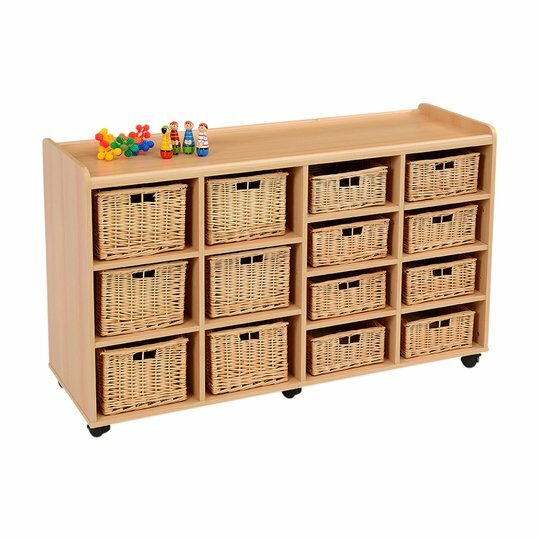 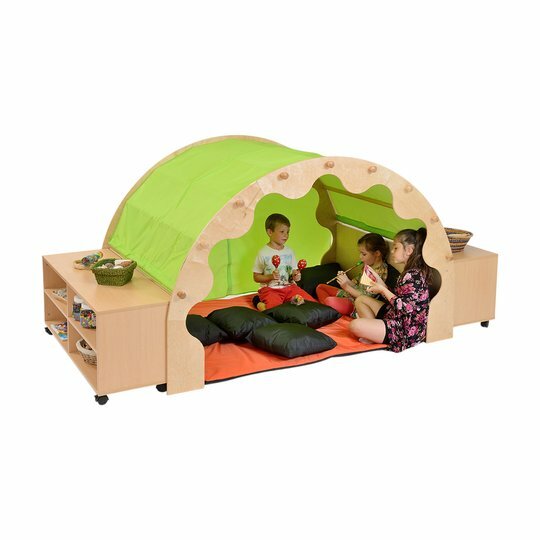 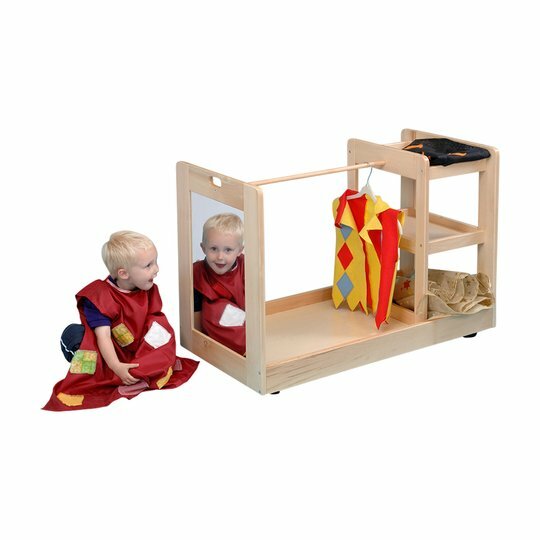 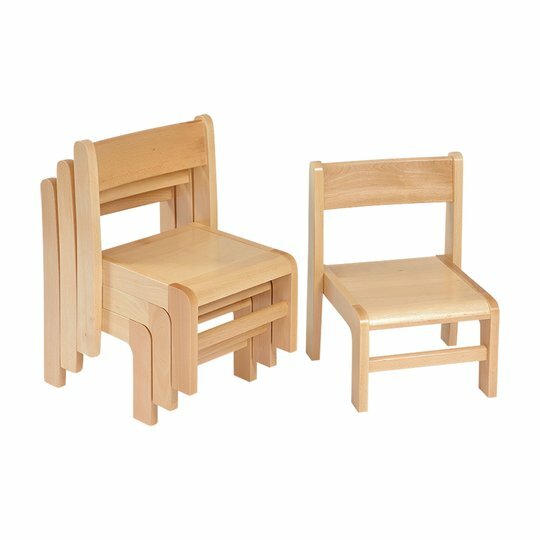 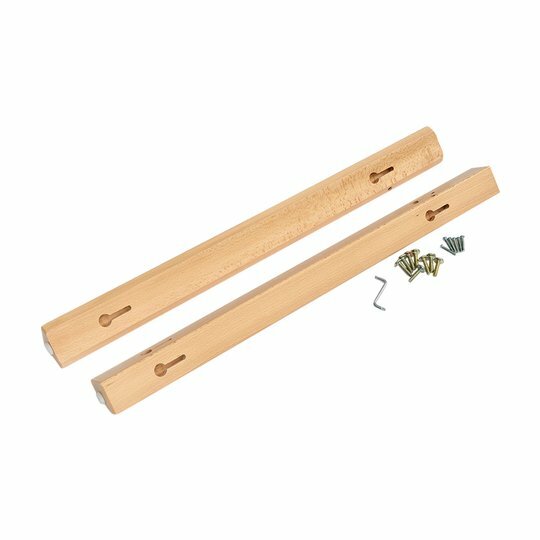 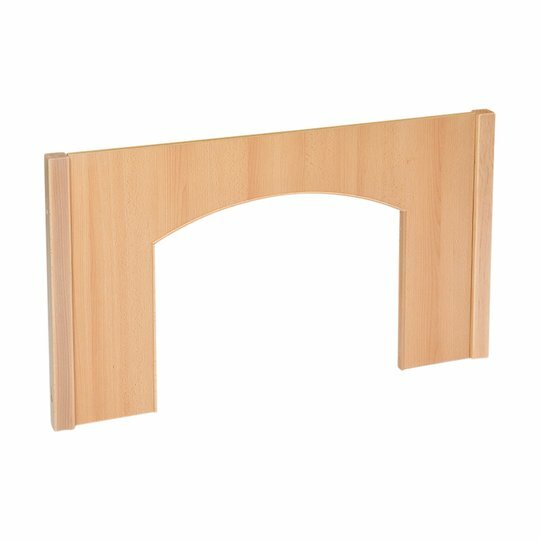 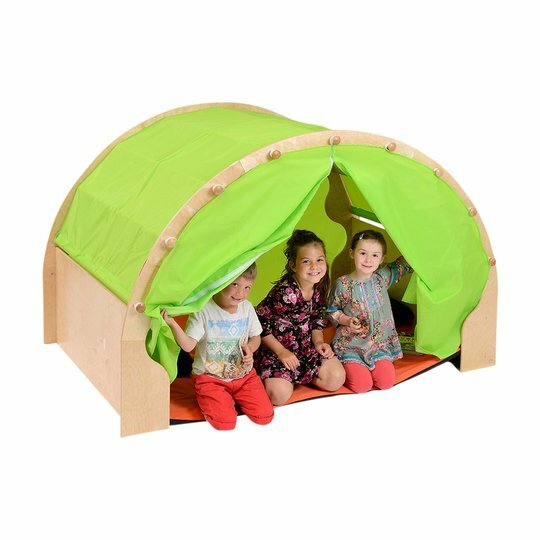 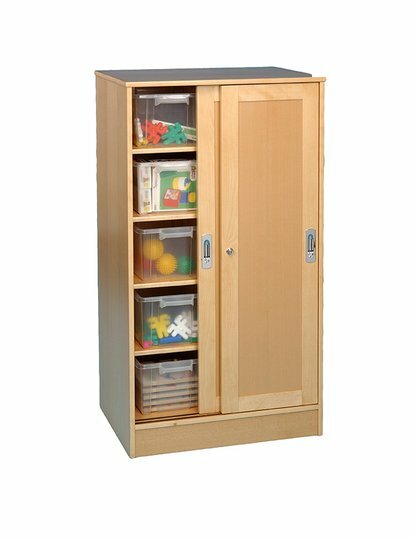 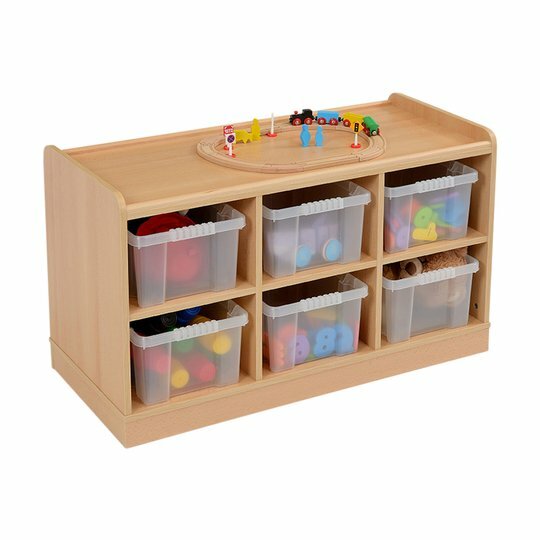 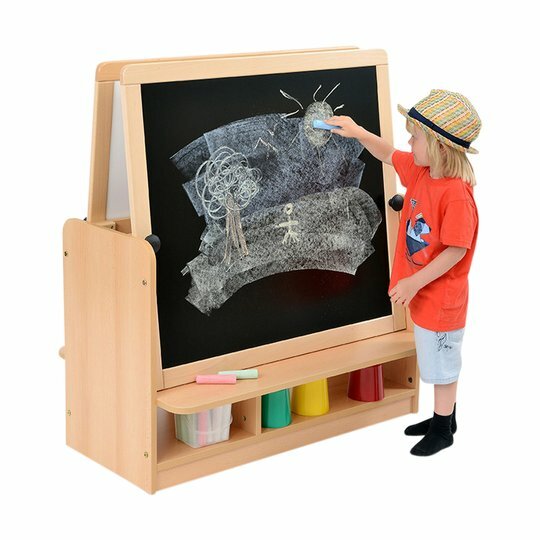 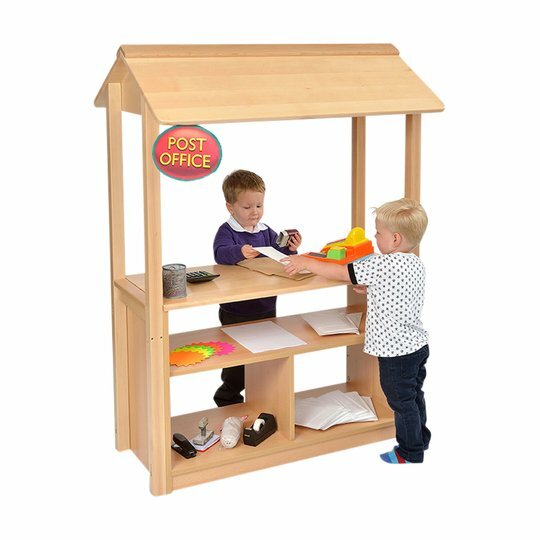 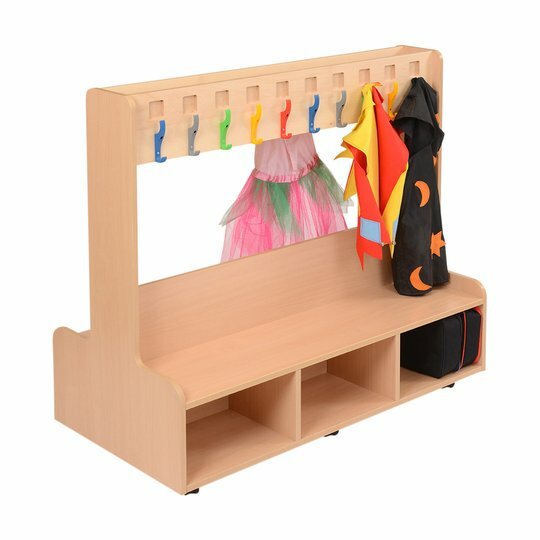 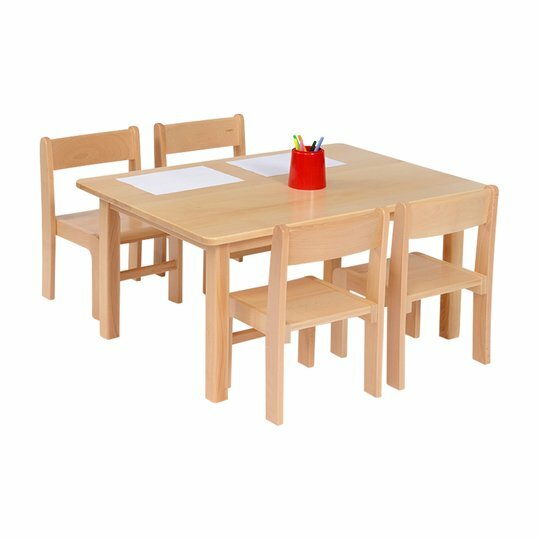 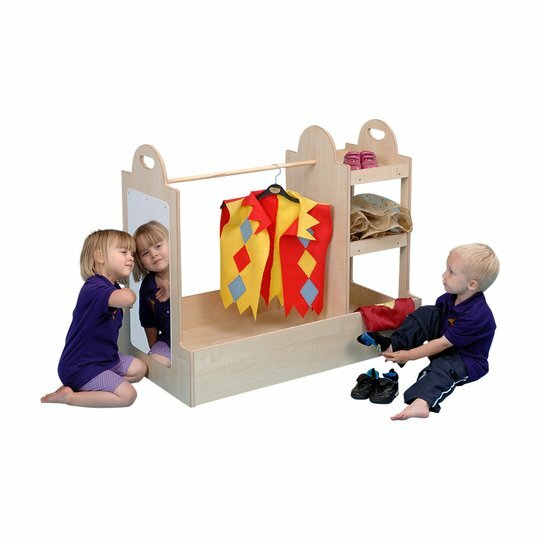 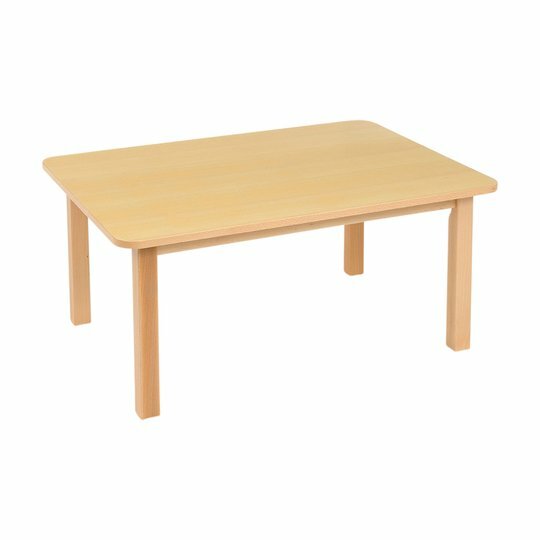 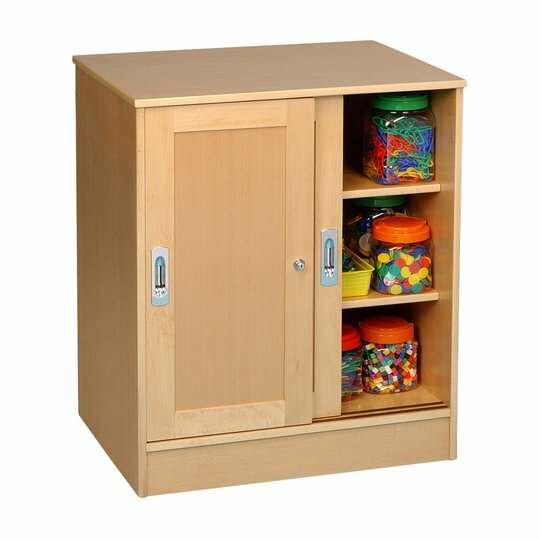 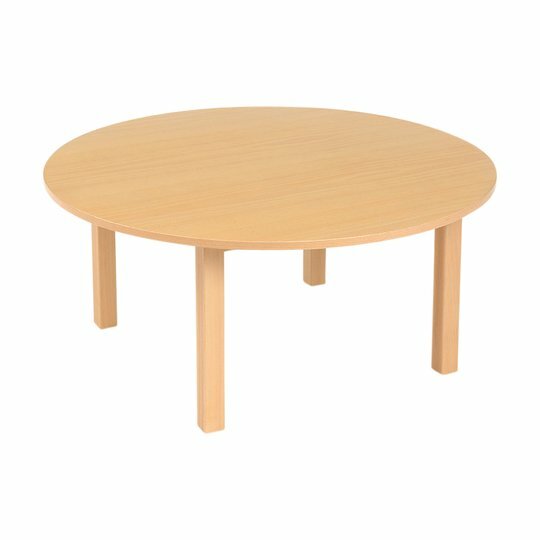 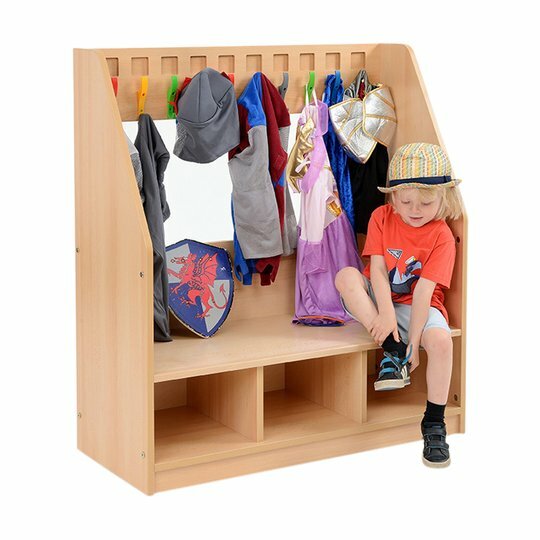 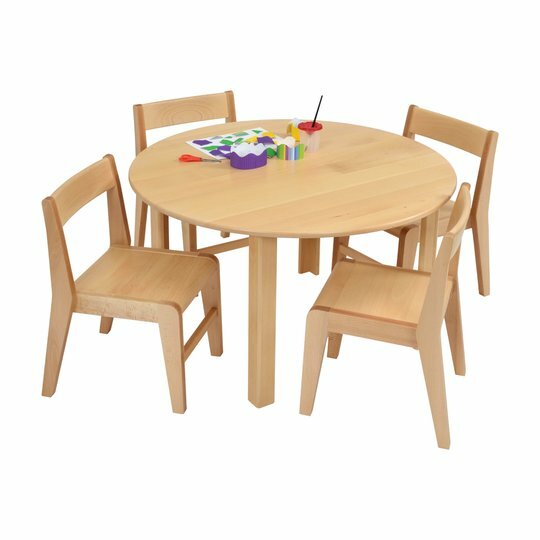 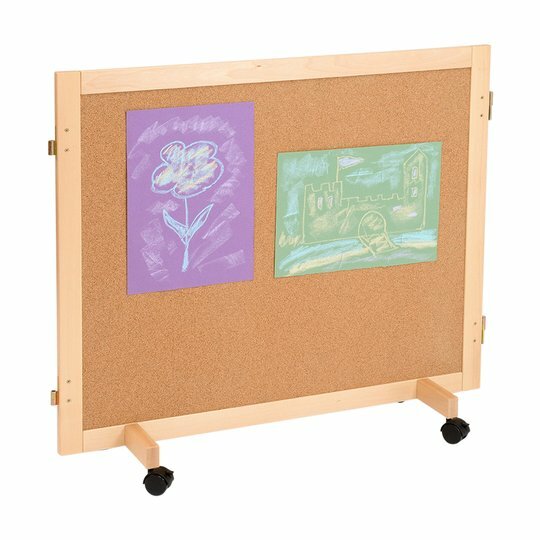 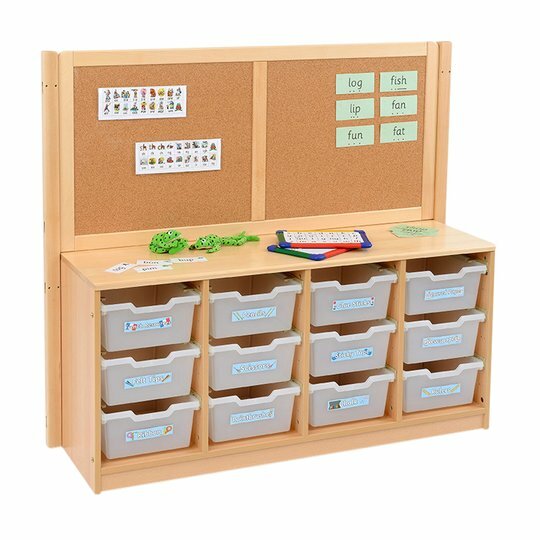 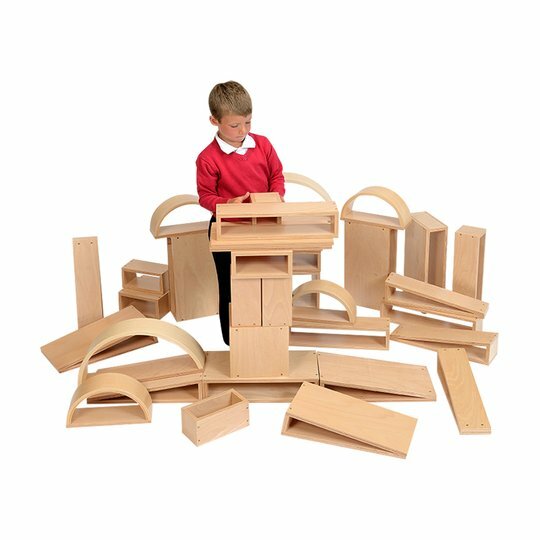 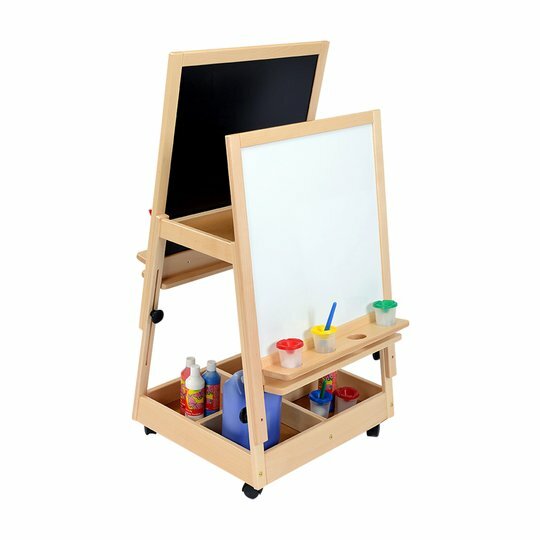 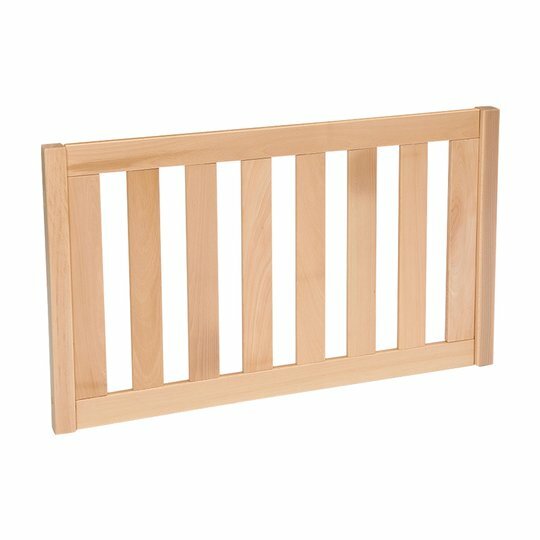 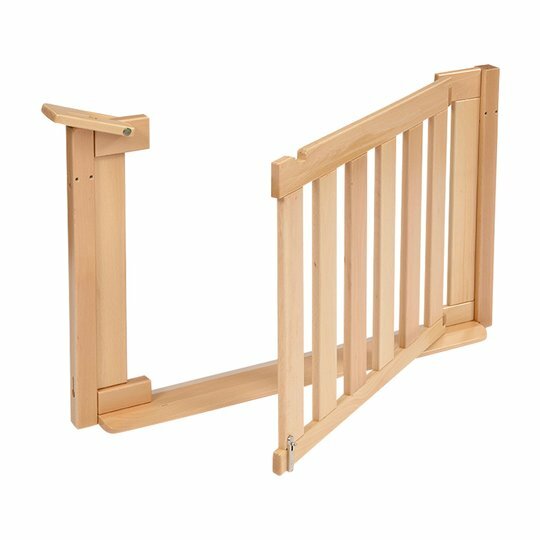 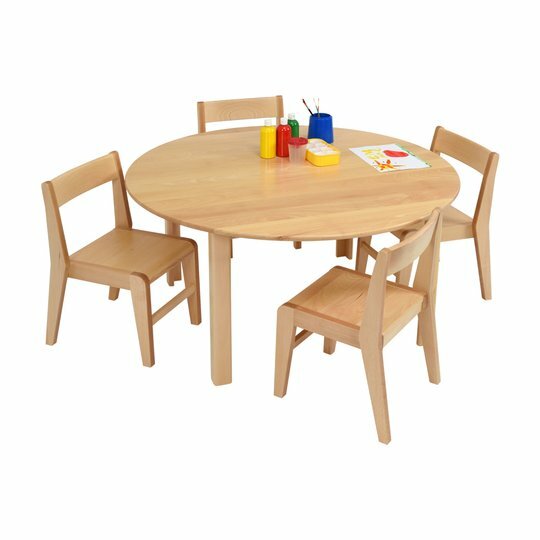 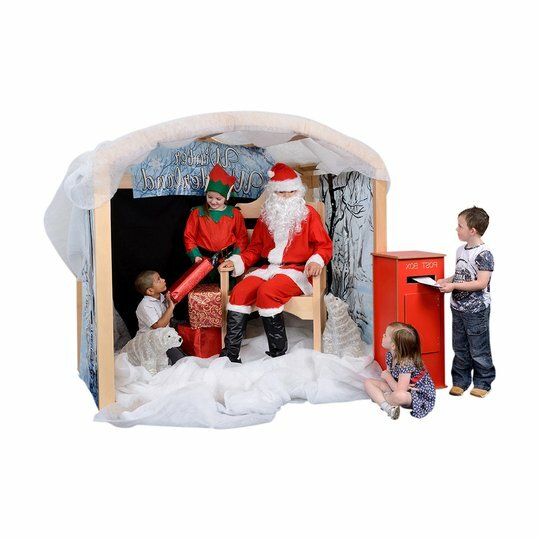 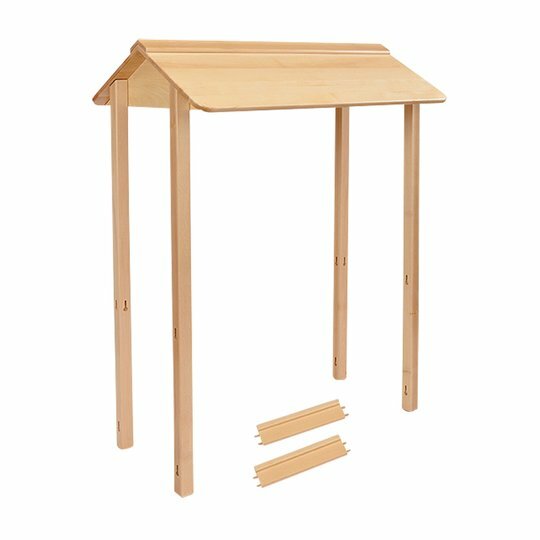 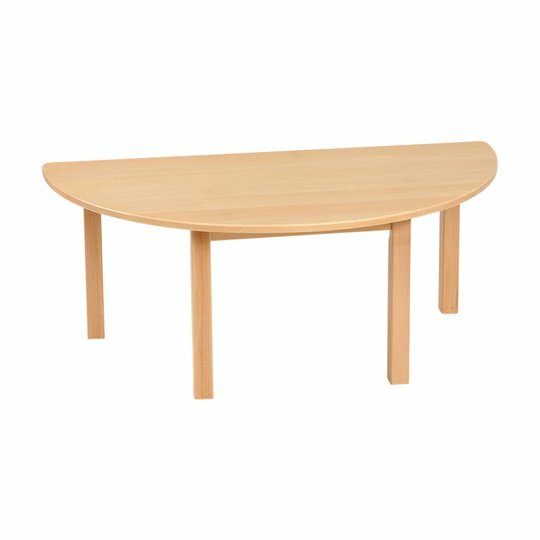 The Dressing Up unit is designed to store a variety of role play and character items. 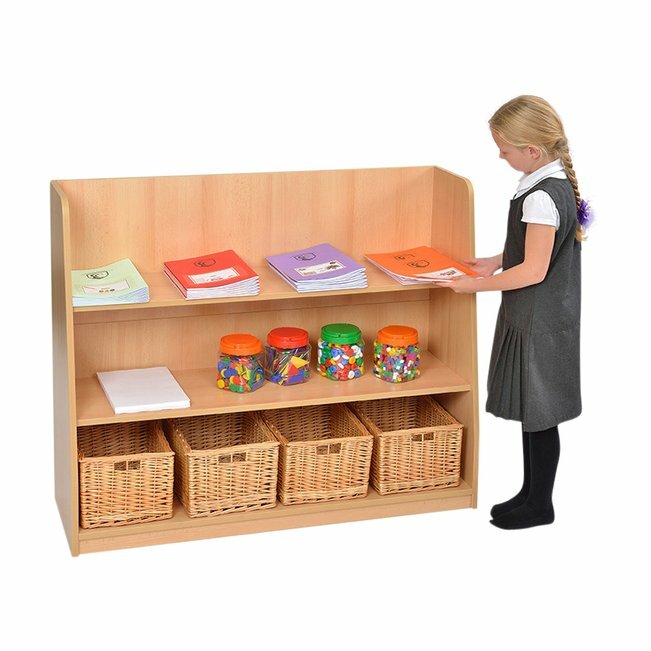 It includes open shelves at one side with a mirrored door, with recessed storage shelving behind. 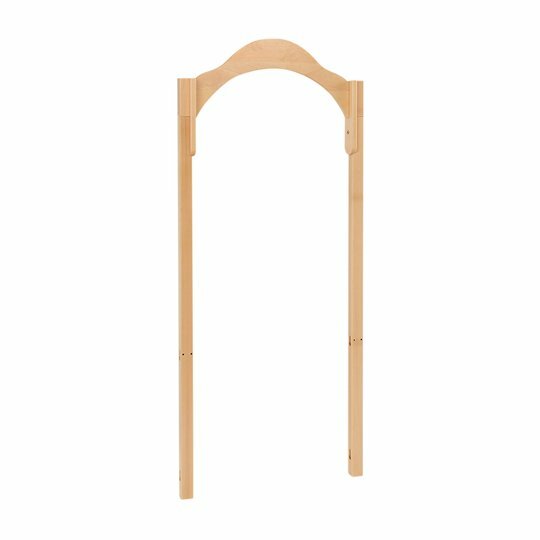 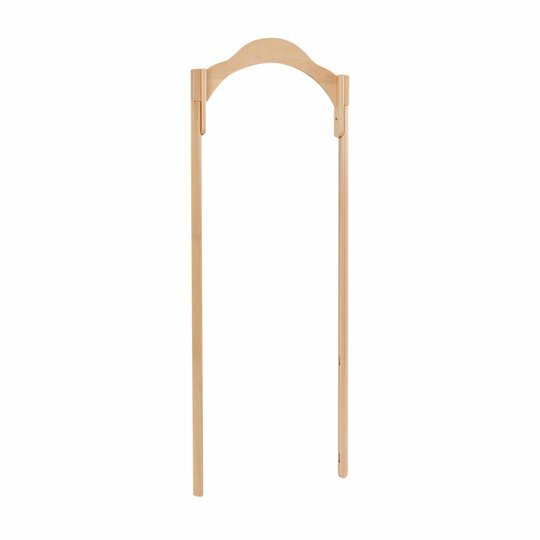 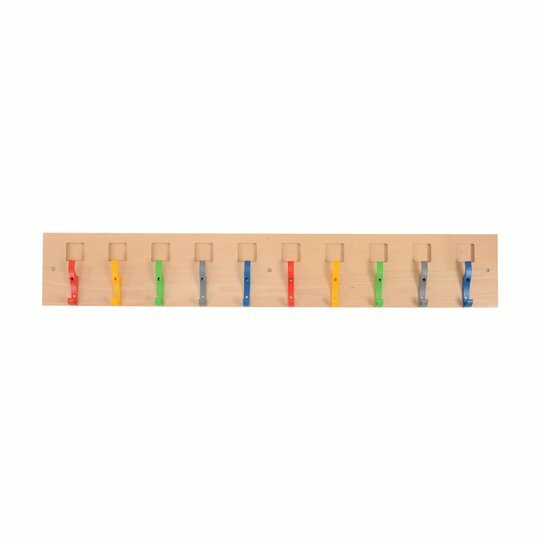 Five multi coloured hooks are also included and can be utilised for a variety of purposes. 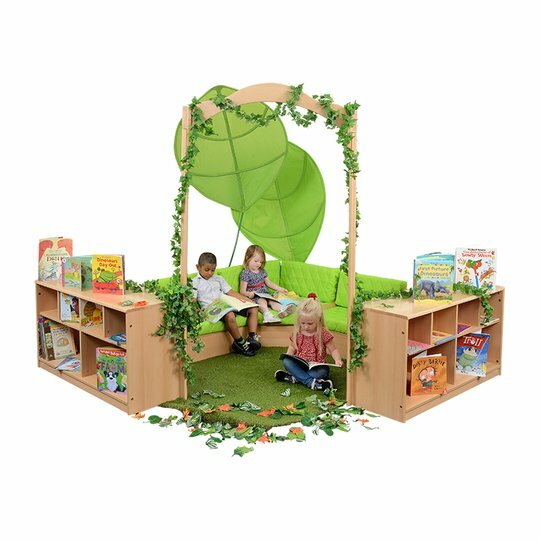 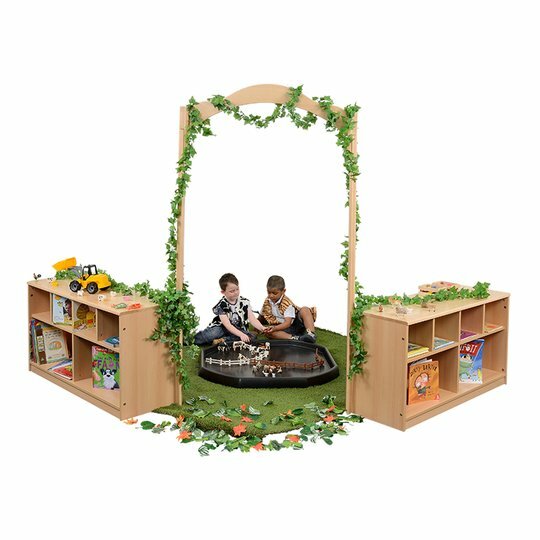 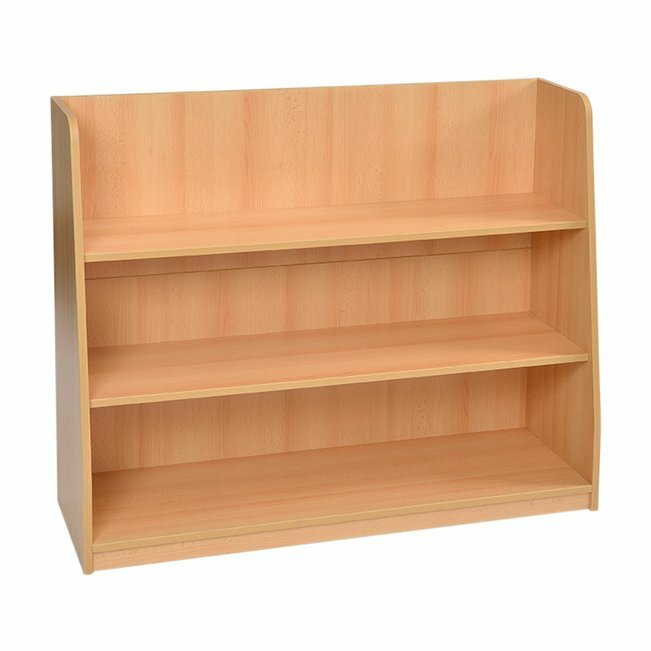 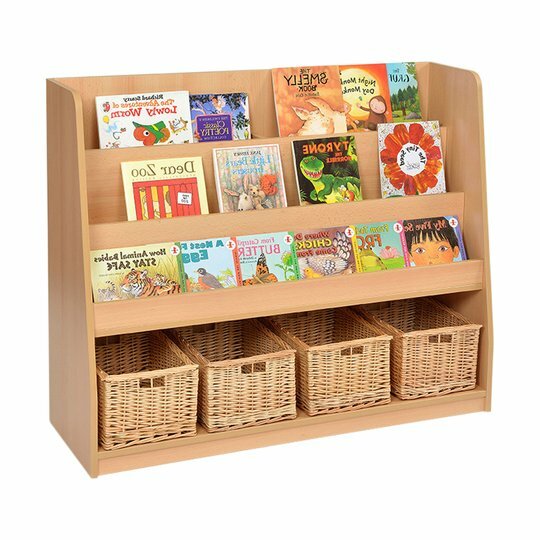 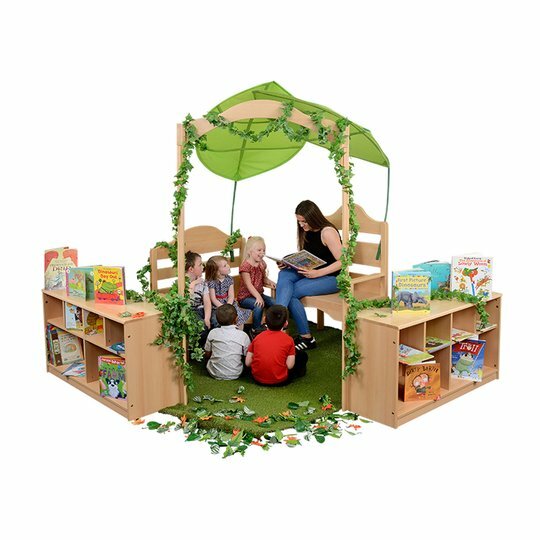 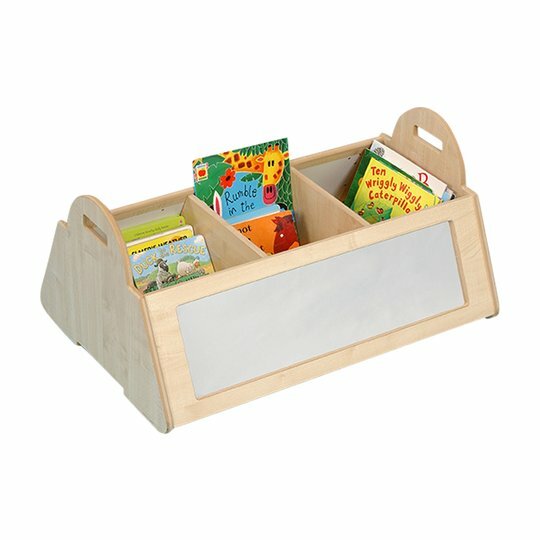 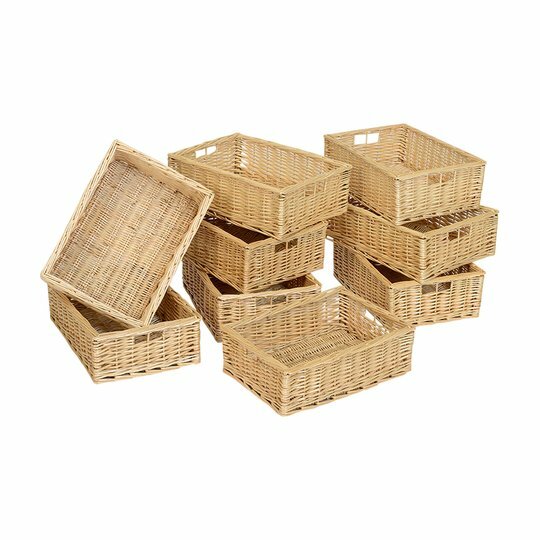 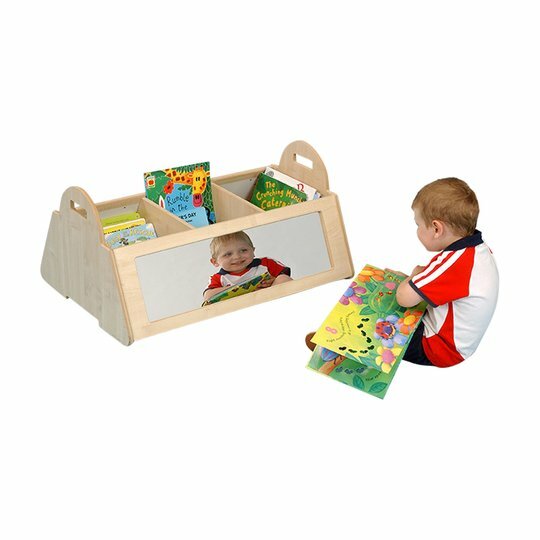 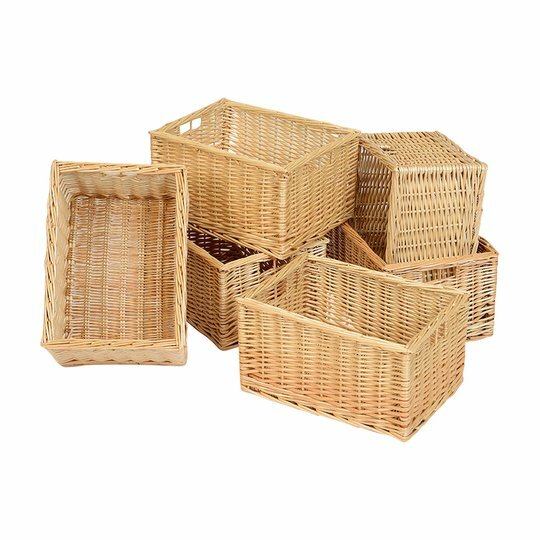 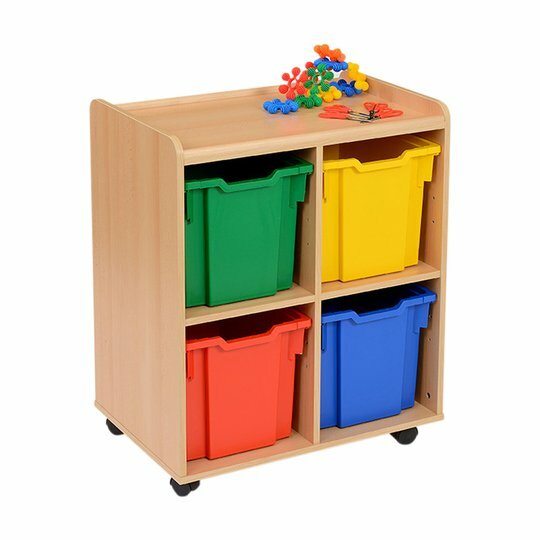 The Book Display/Storage unit is a 3 tiered front facing book display with ample storage facilities below and can be used with a combination of either coloured or clear plastic trays, of varying depth, or our top of the range willow basket to provide a more aesthetically pleasing and environmentally alternative to plastic. 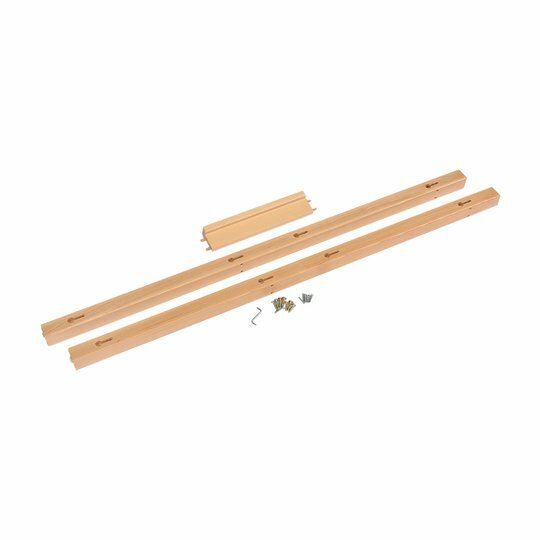 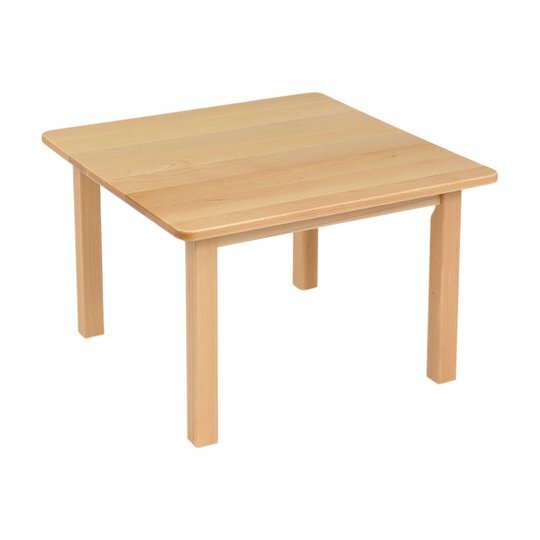 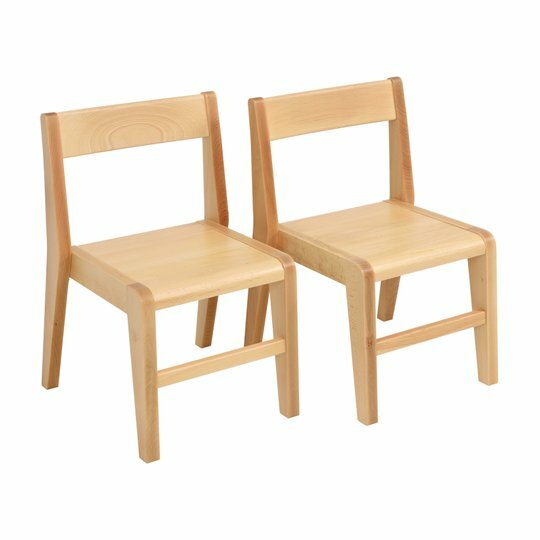 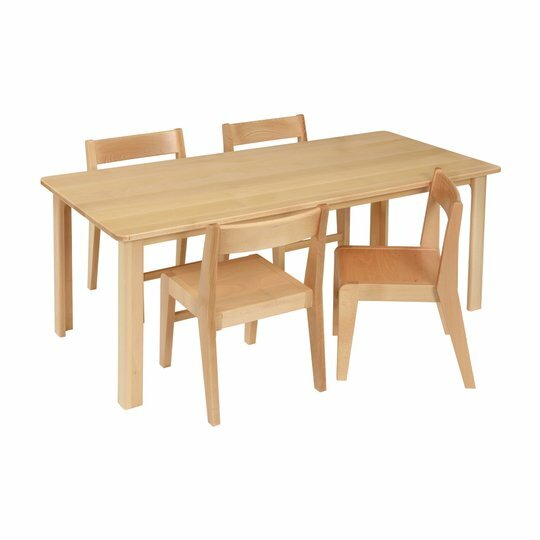 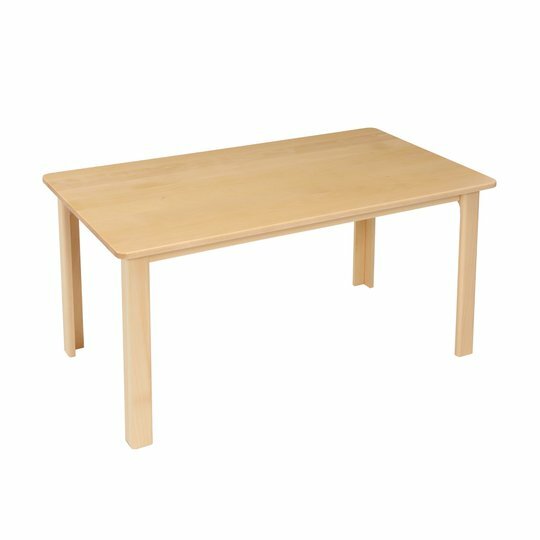 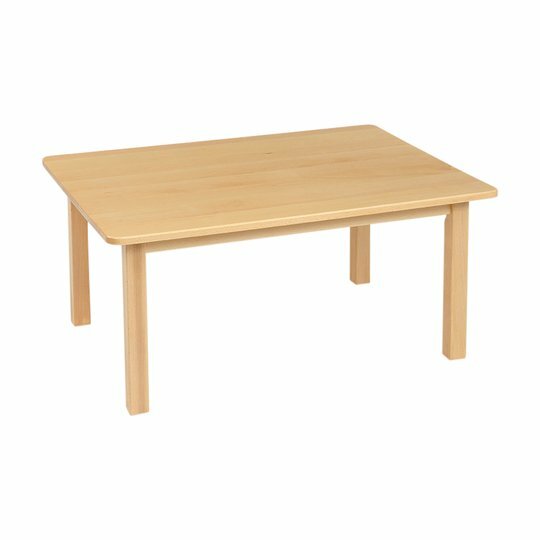 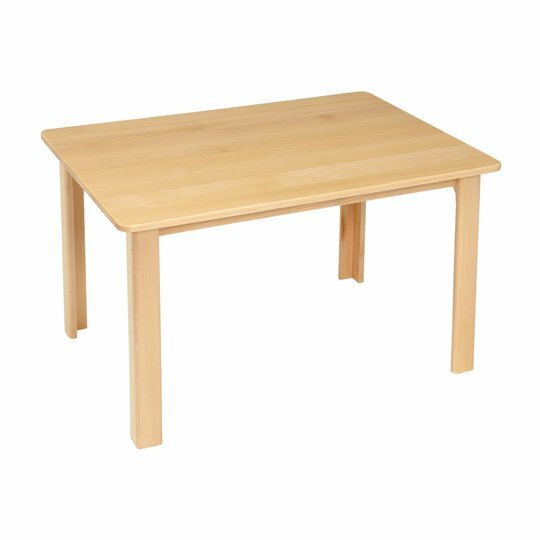 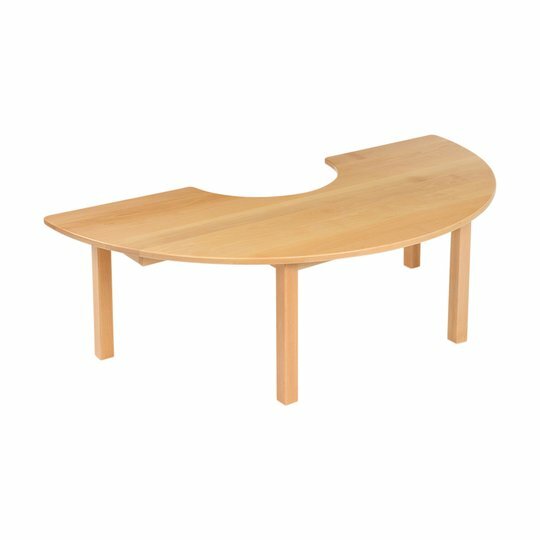 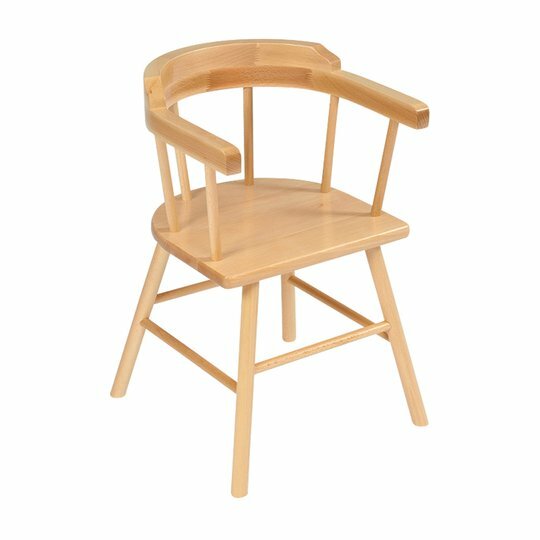 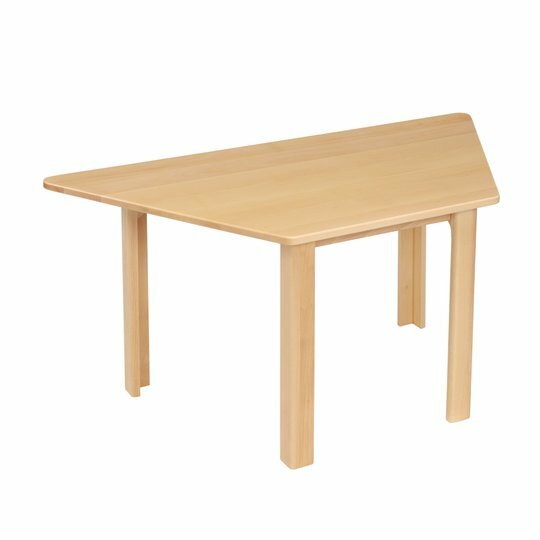 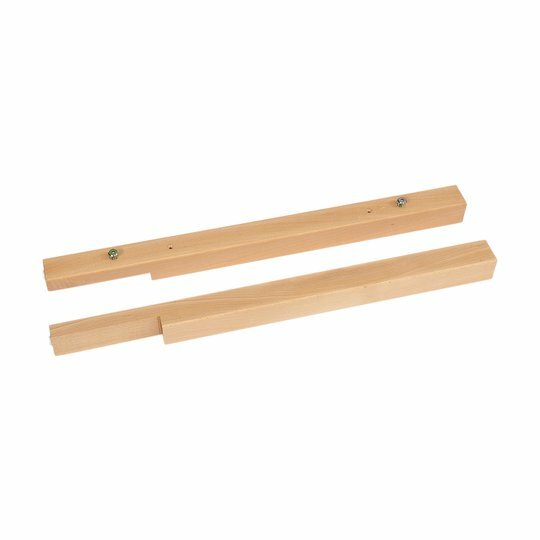 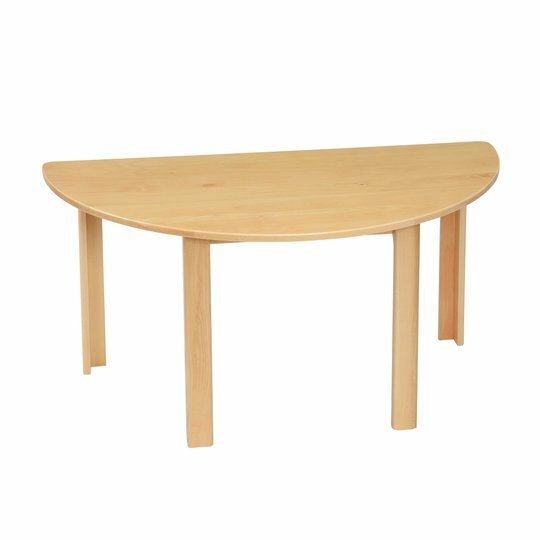 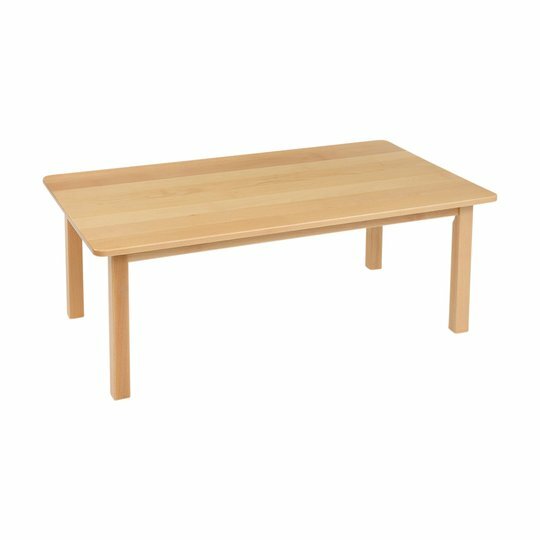 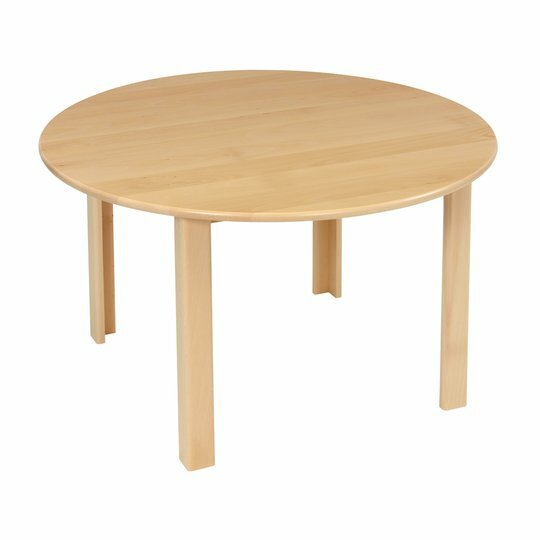 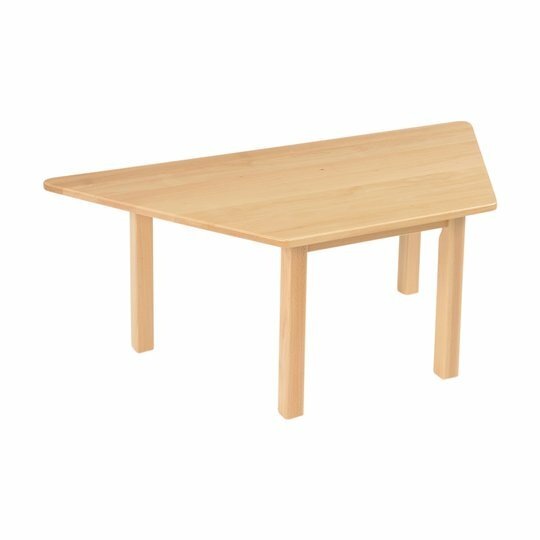 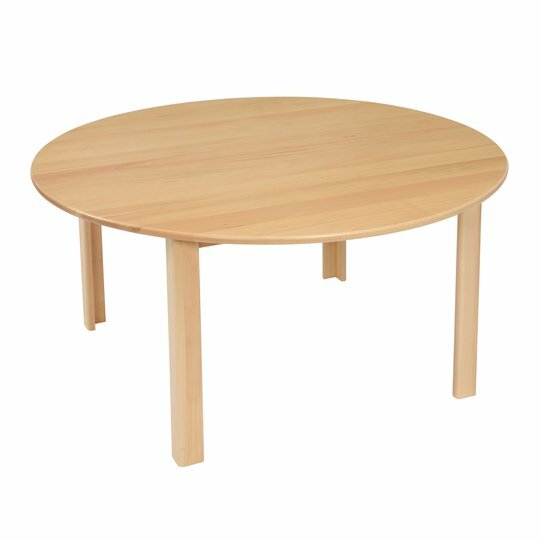 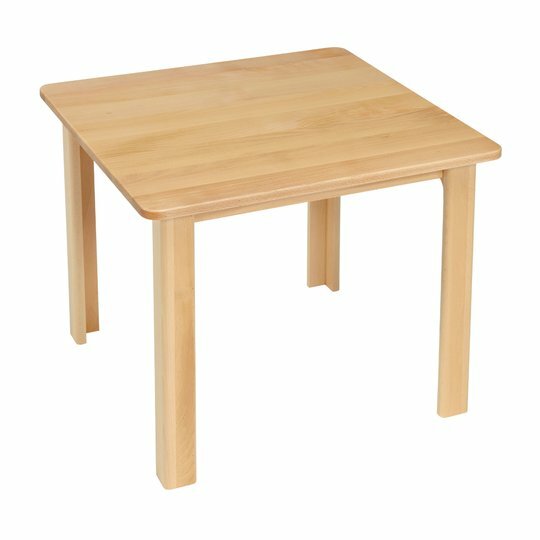 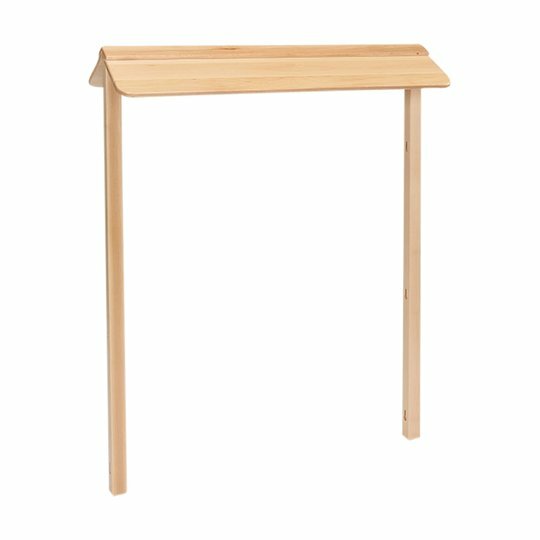 (To be ordered separately).